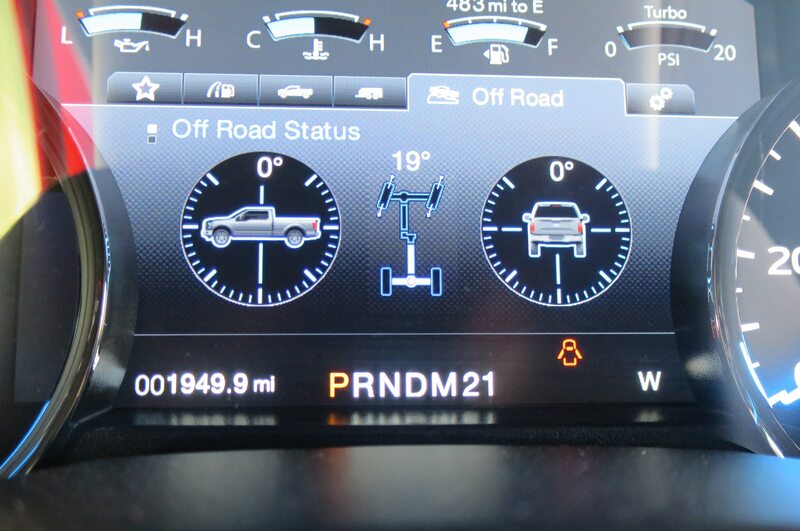 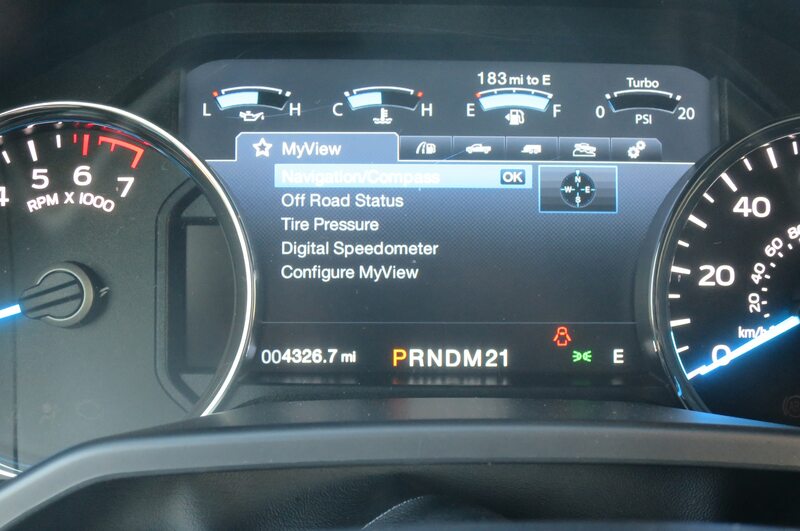 Although tuner Mustangs are most certainly its forte, Roush dips its toes into other projects as well. The Roush 2015 Ford F-150 is the newest creation, adding a meaner look, new sound, and upgraded suspension to the standard all-aluminum pickup. 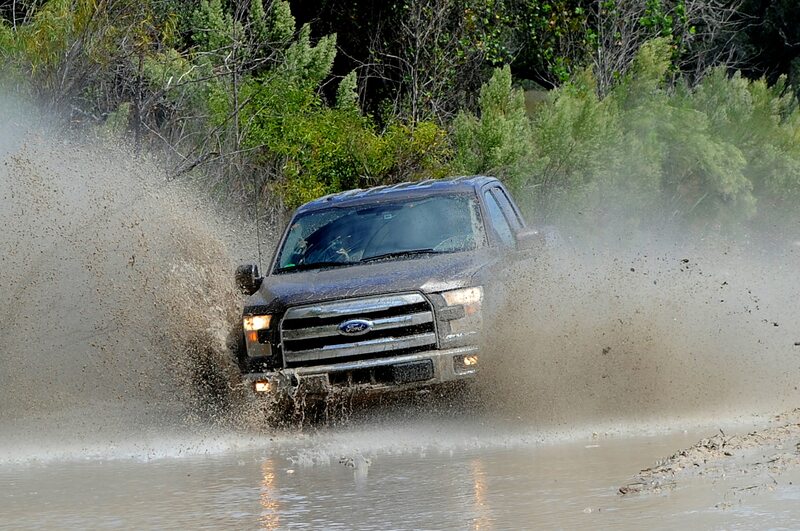 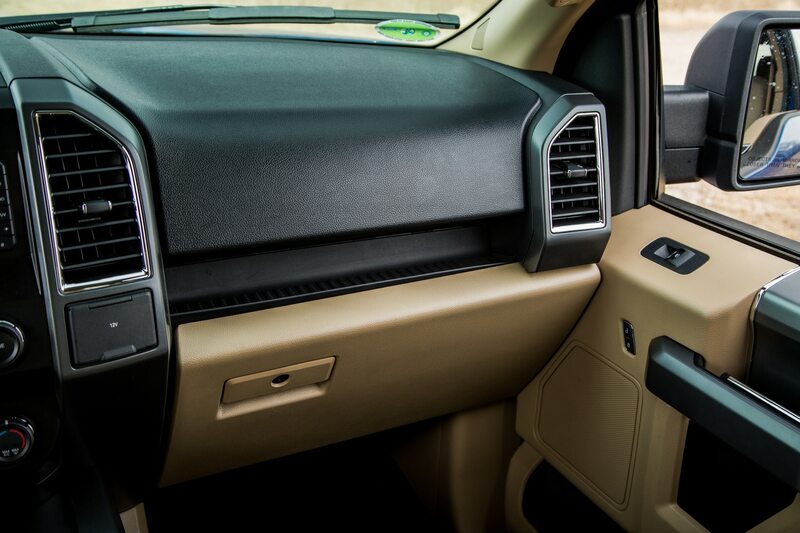 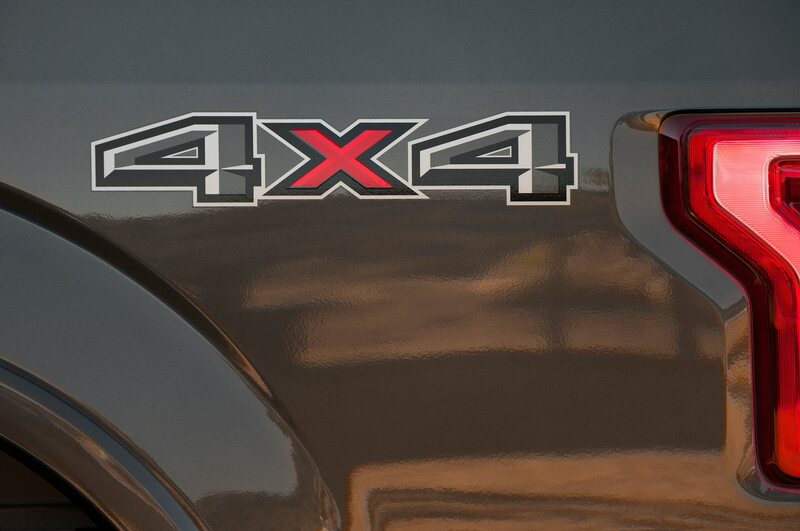 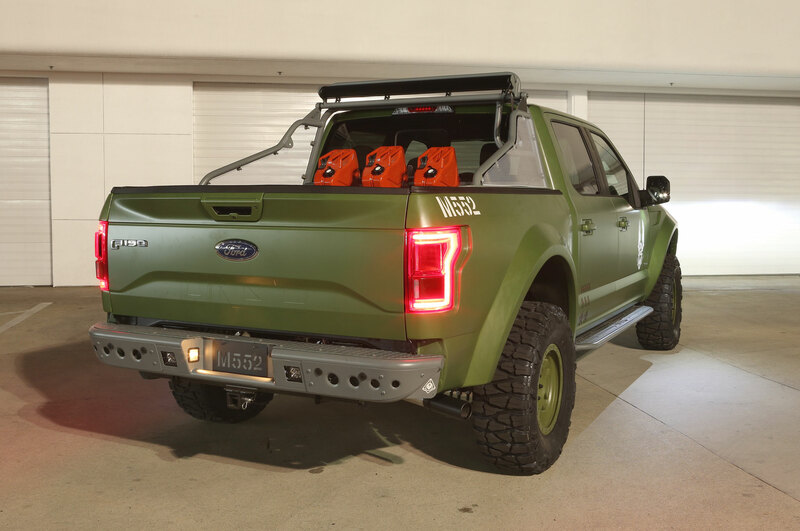 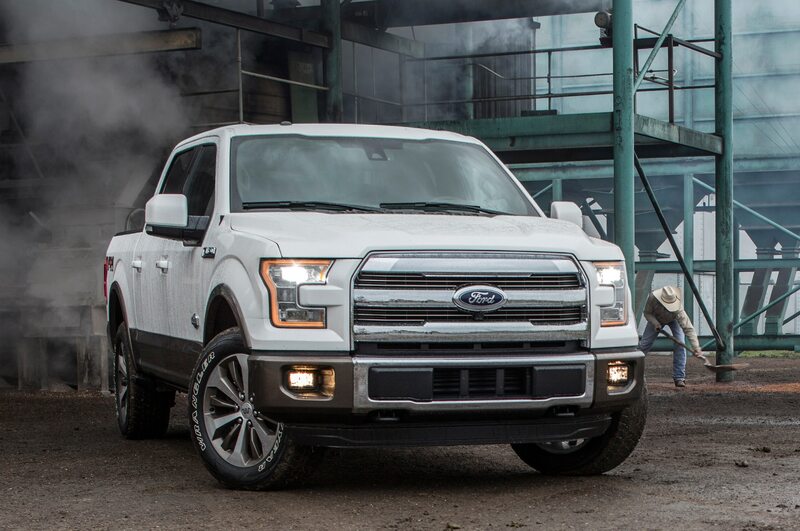 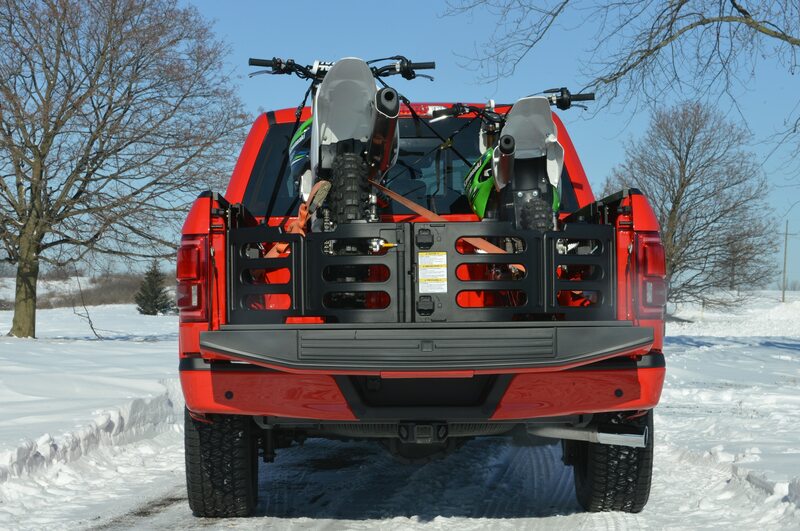 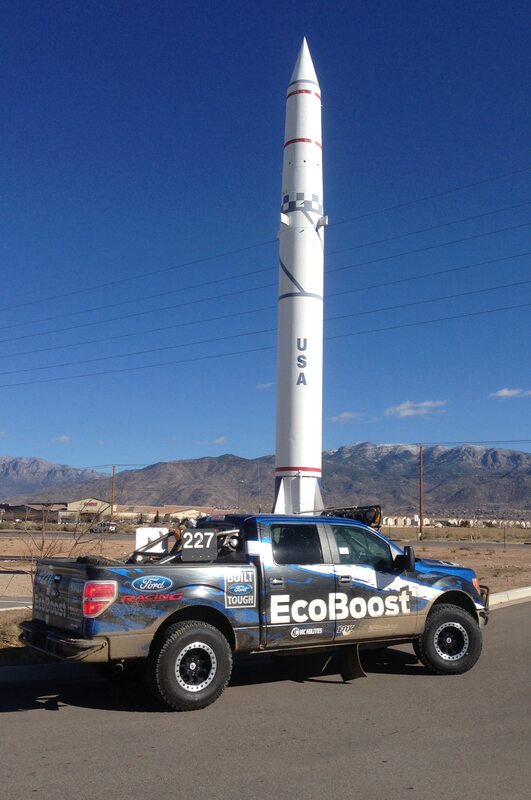 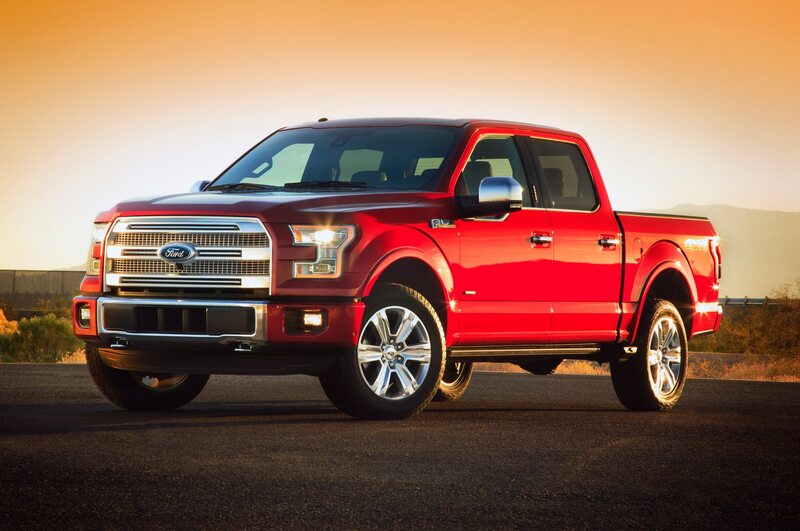 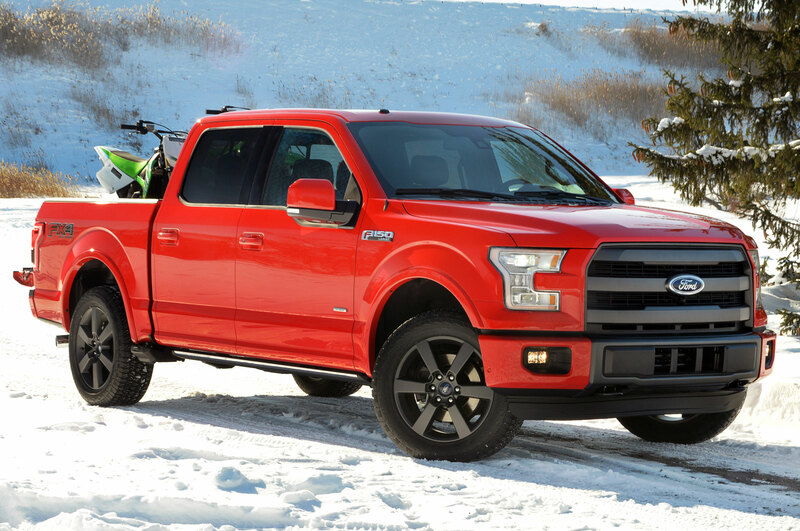 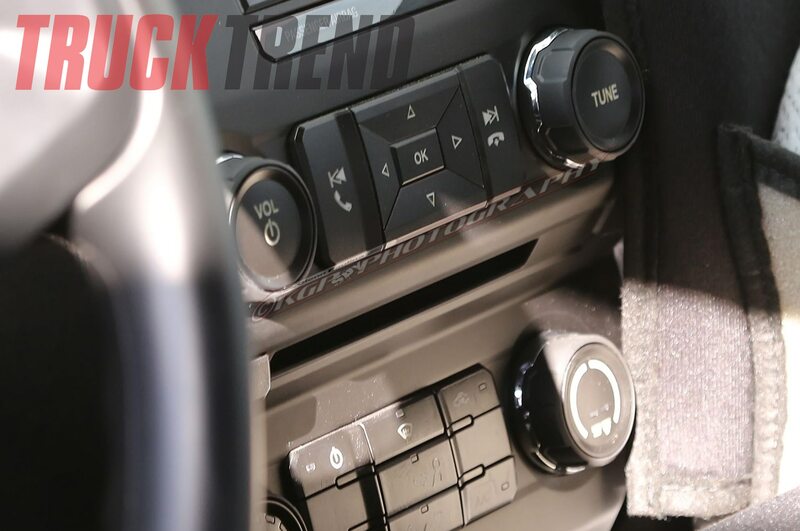 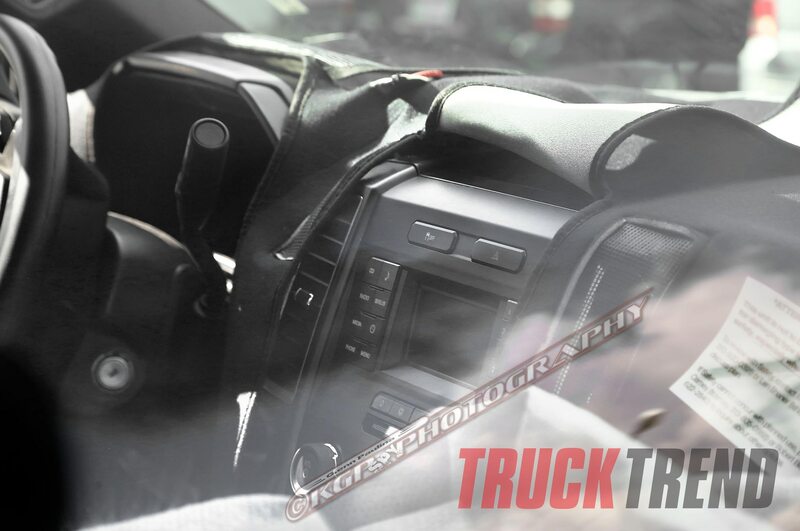 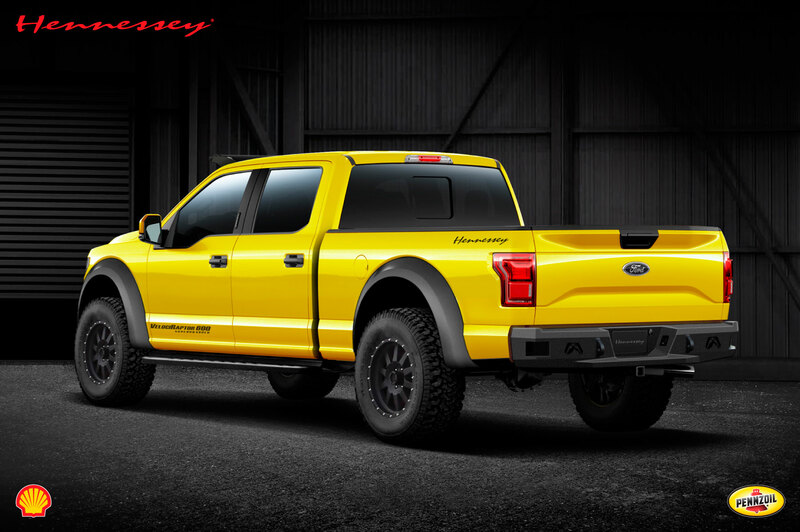 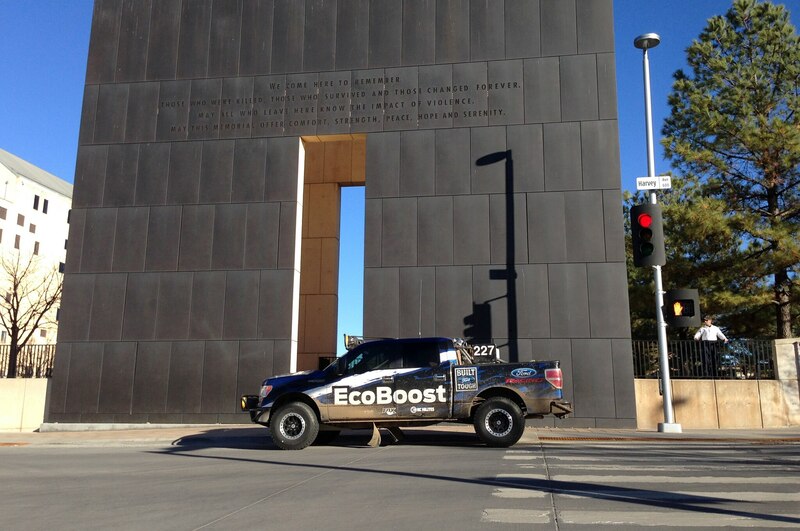 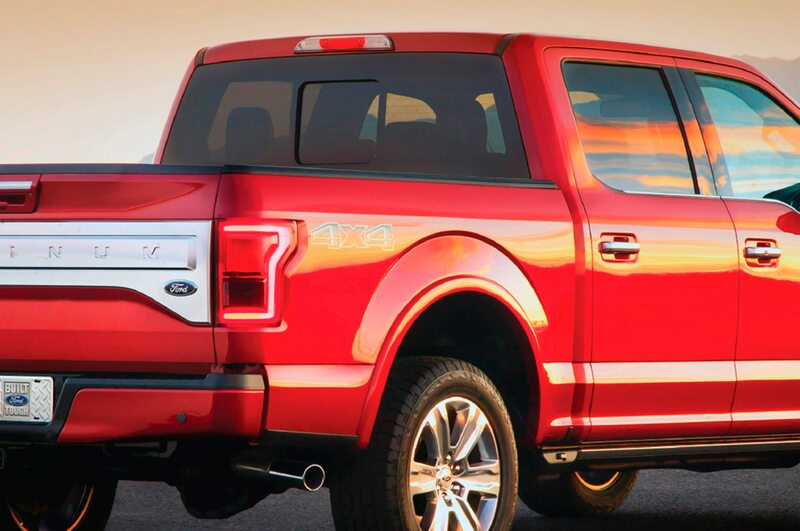 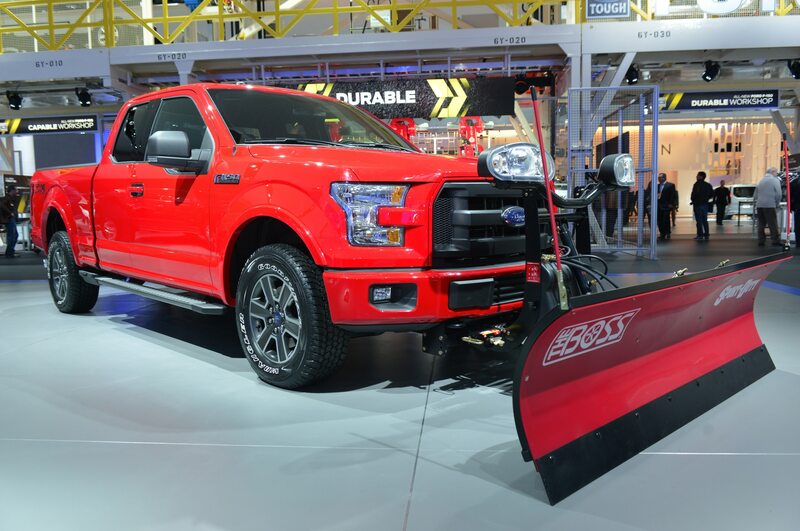 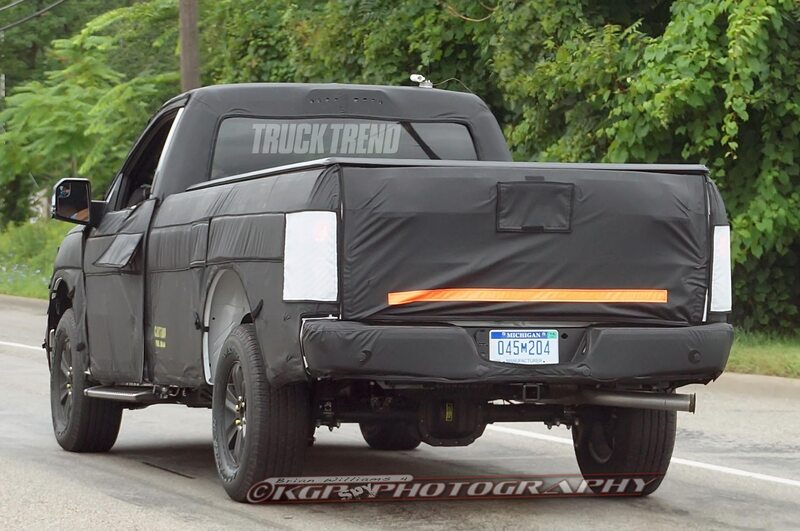 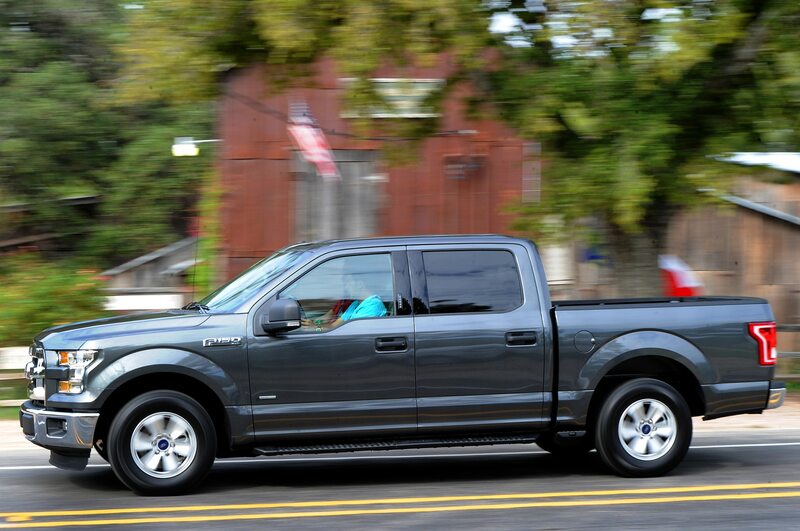 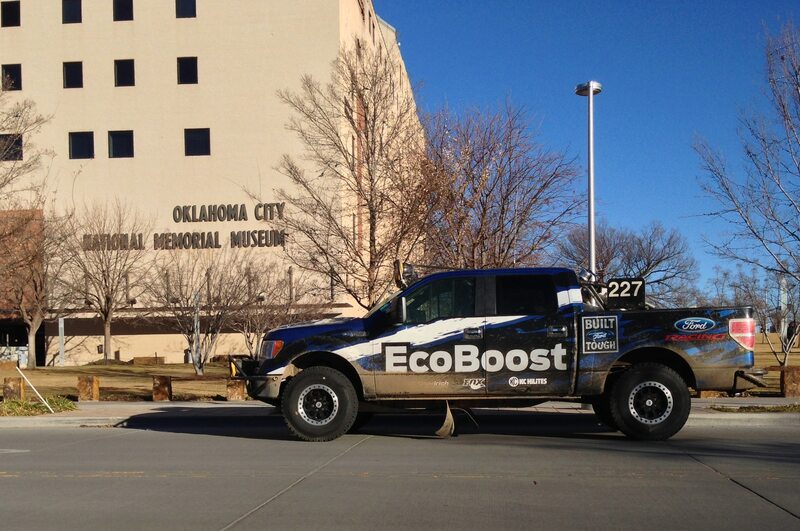 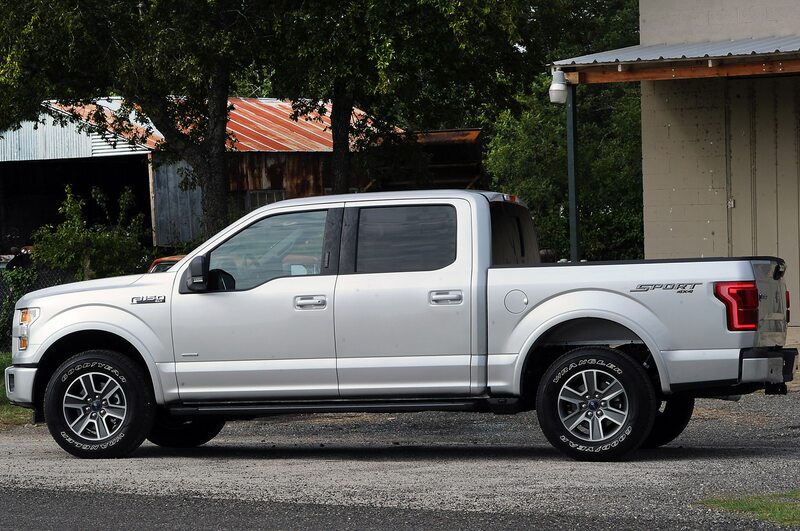 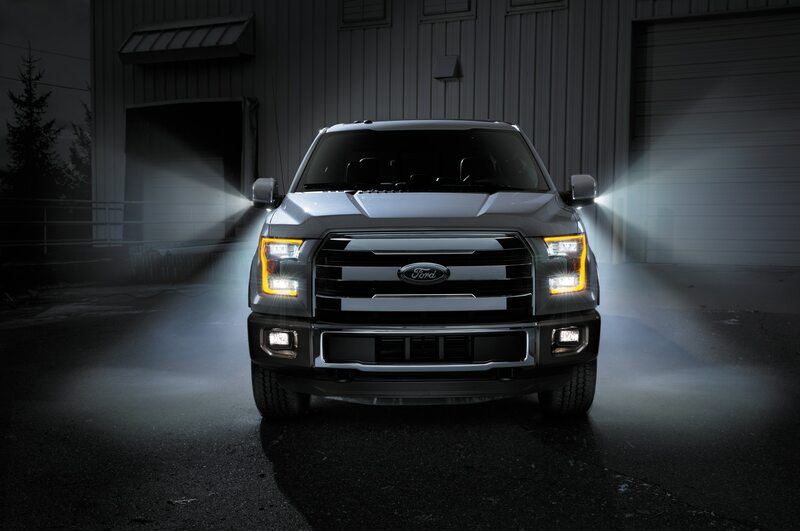 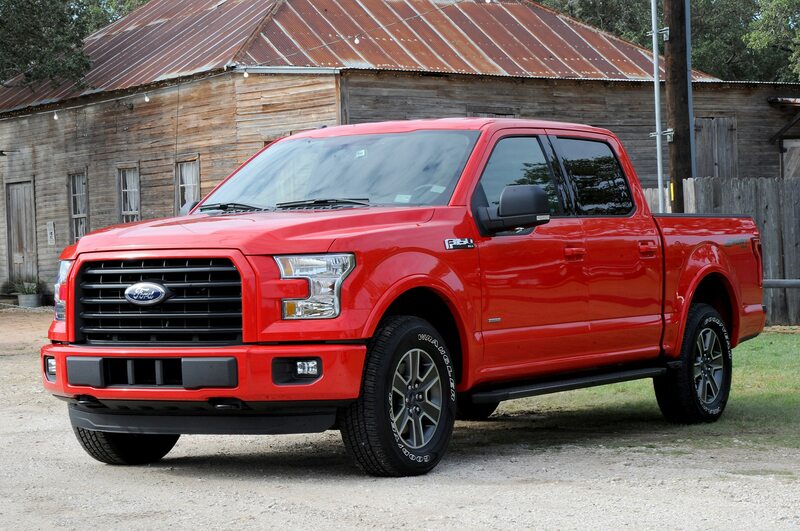 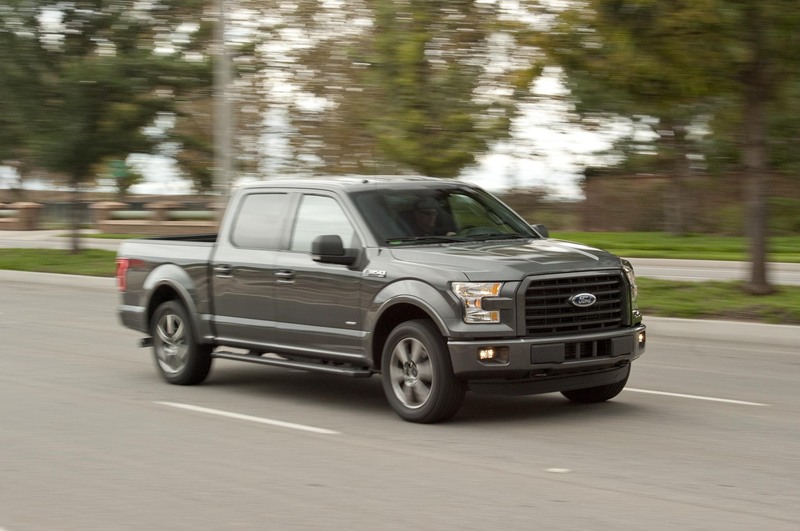 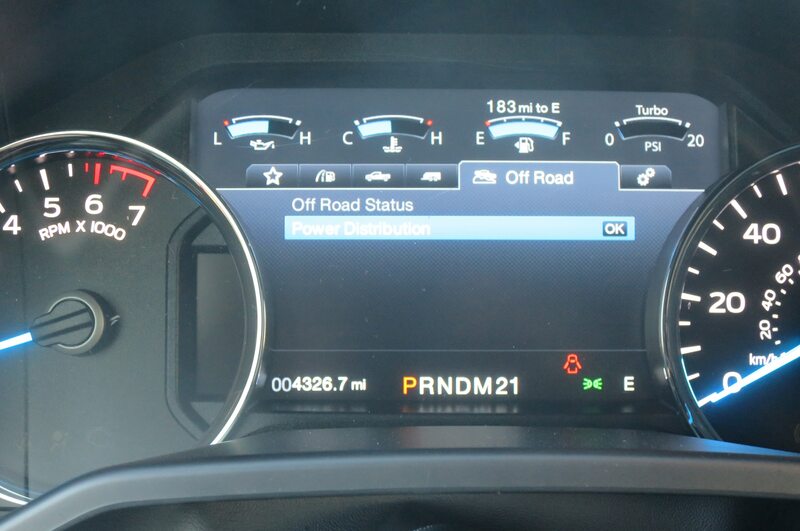 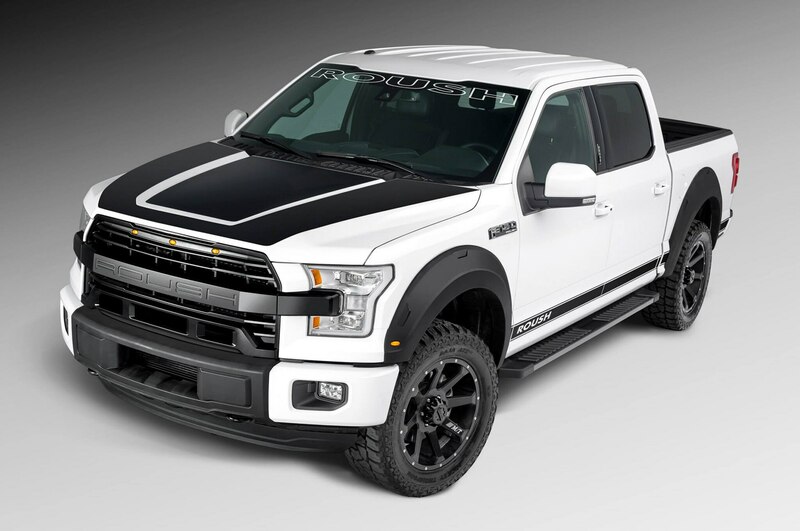 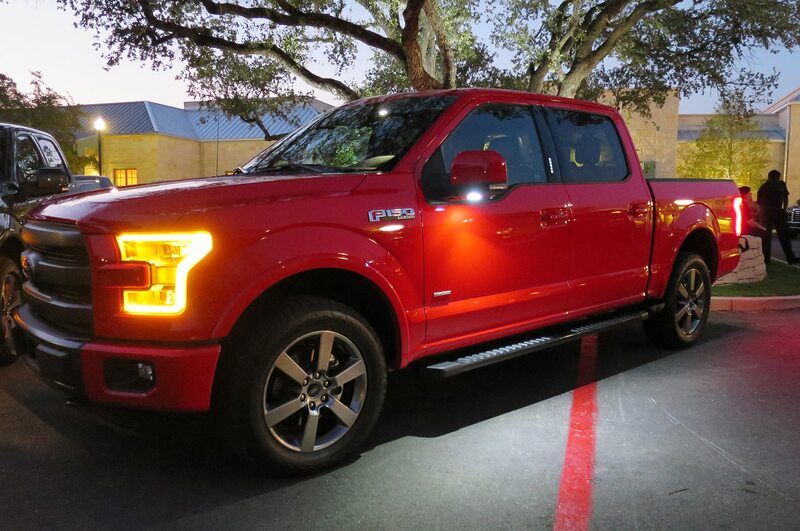 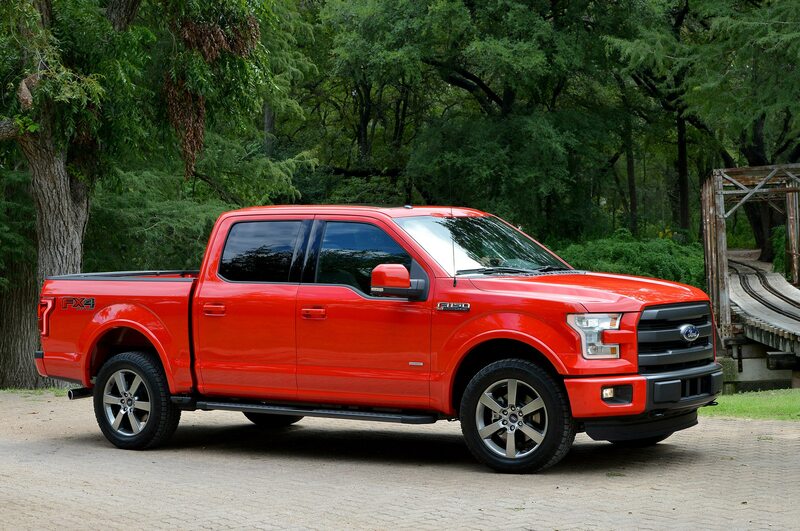 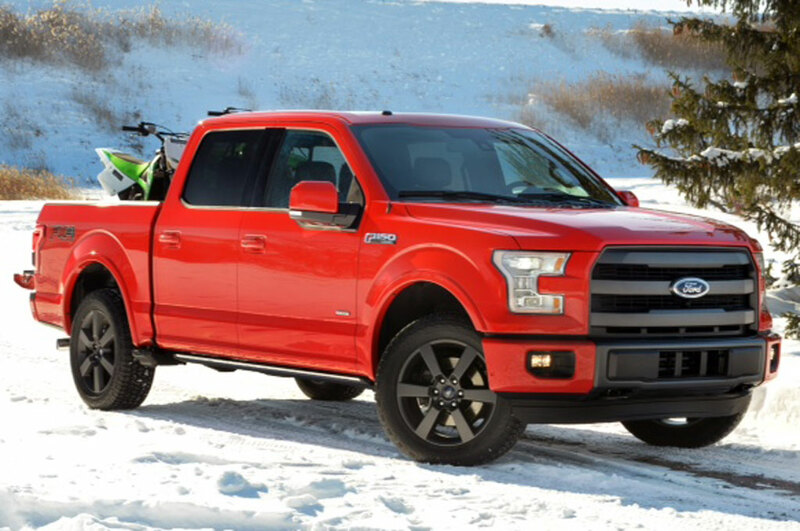 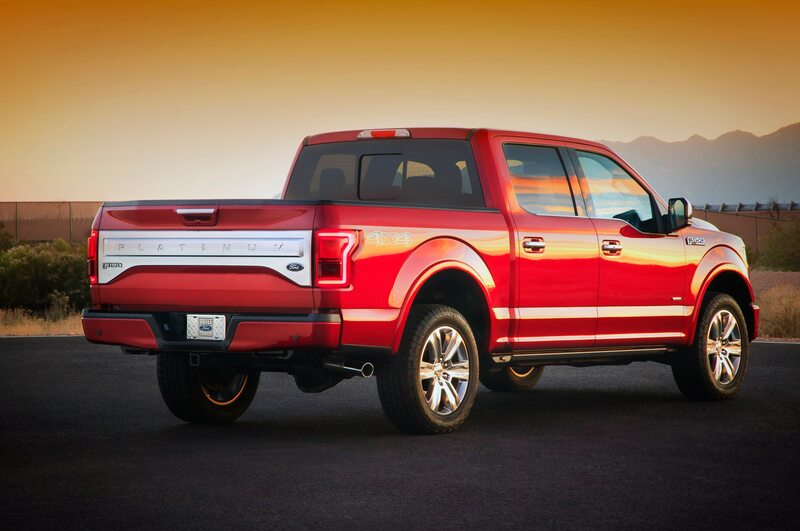 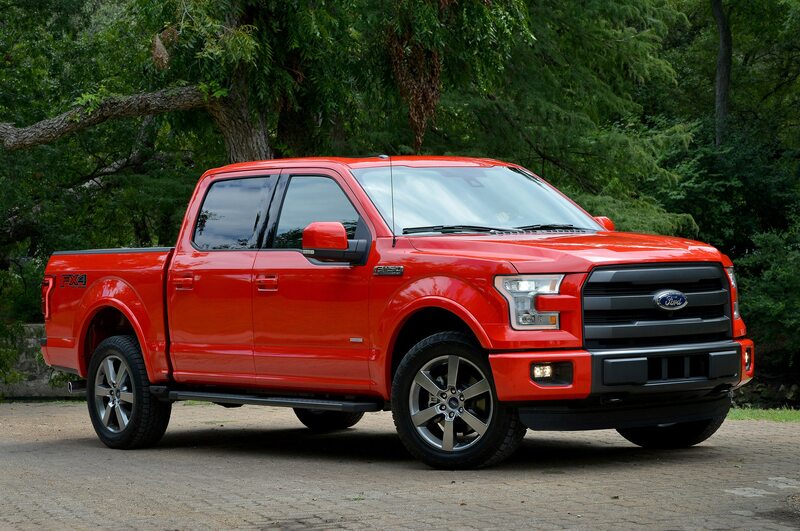 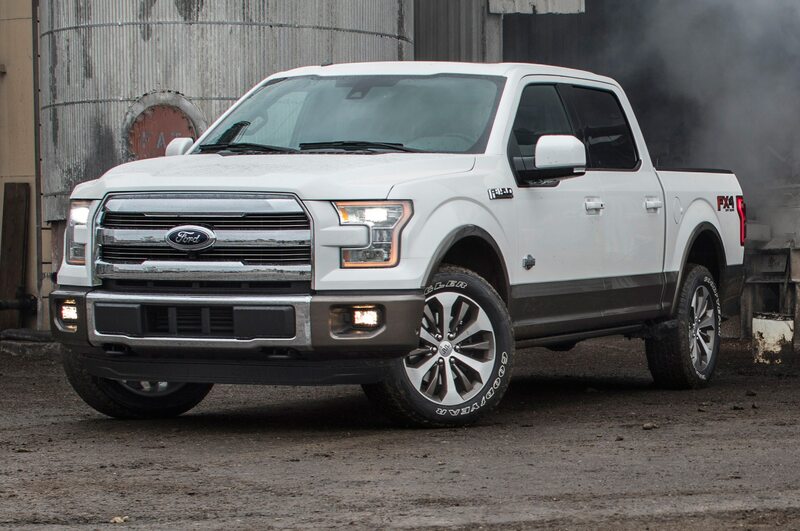 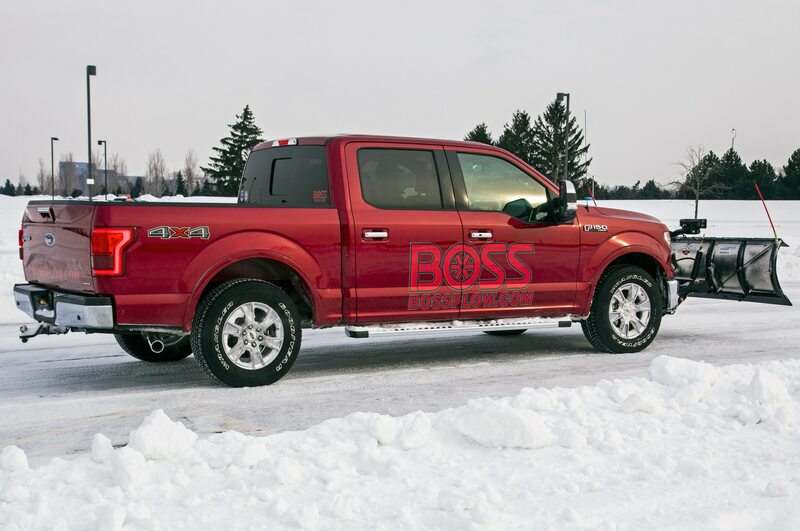 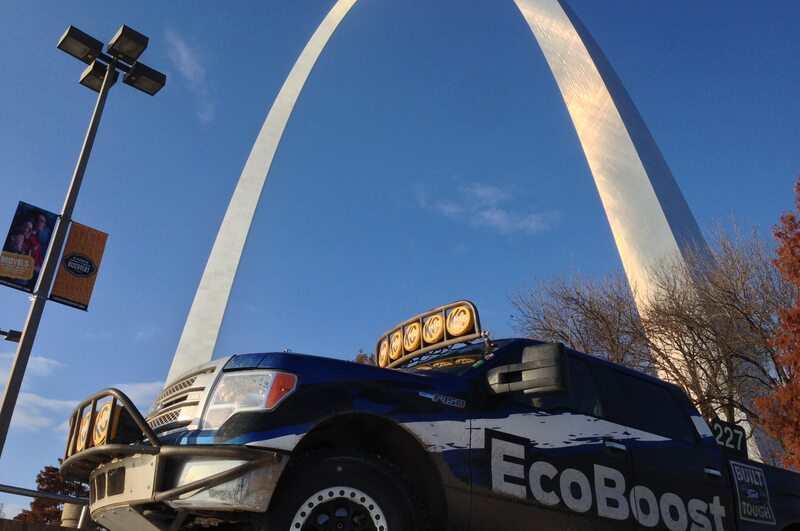 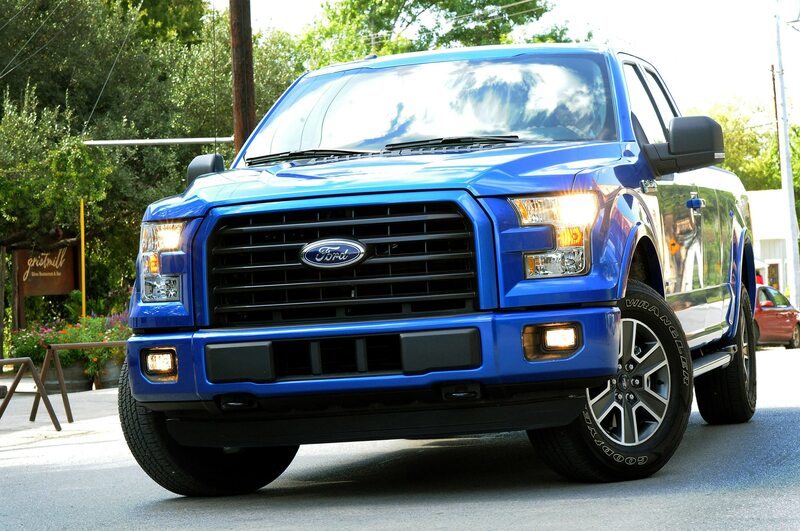 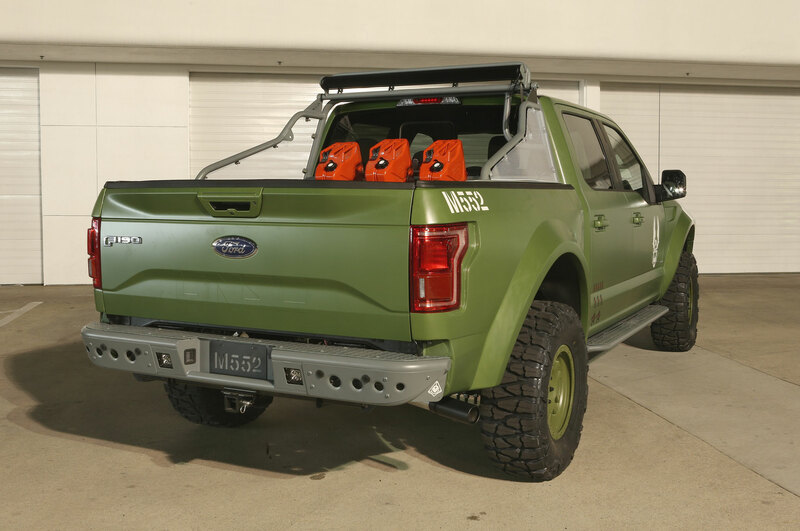 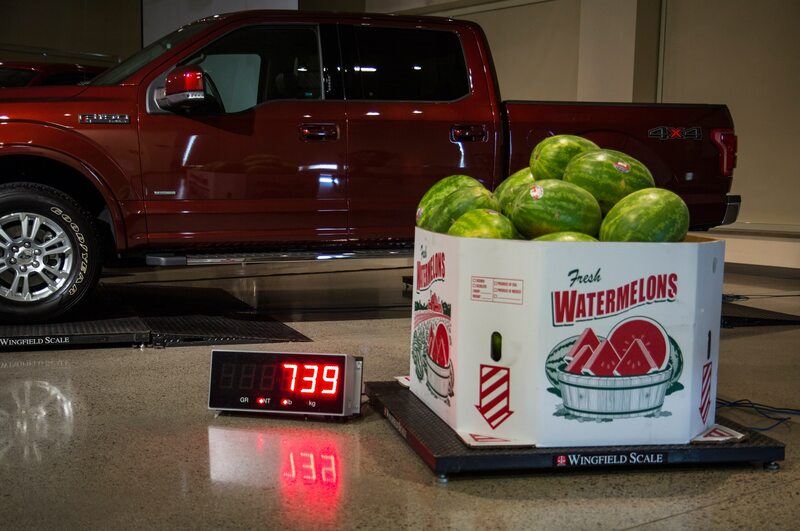 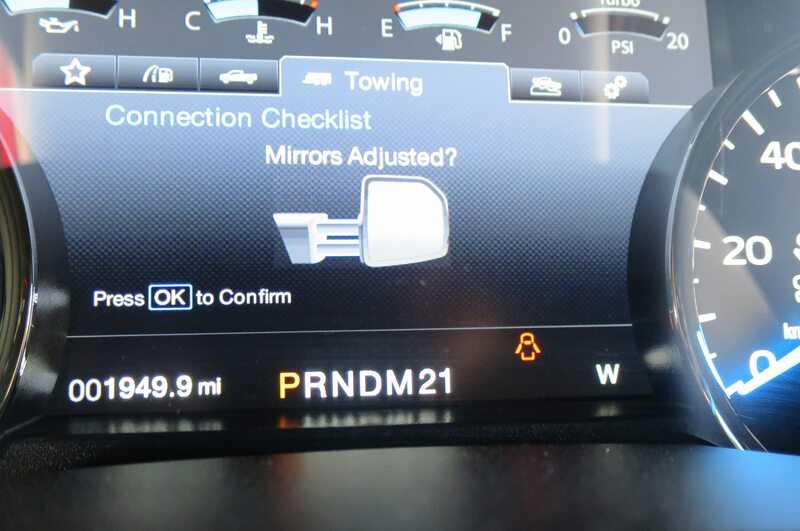 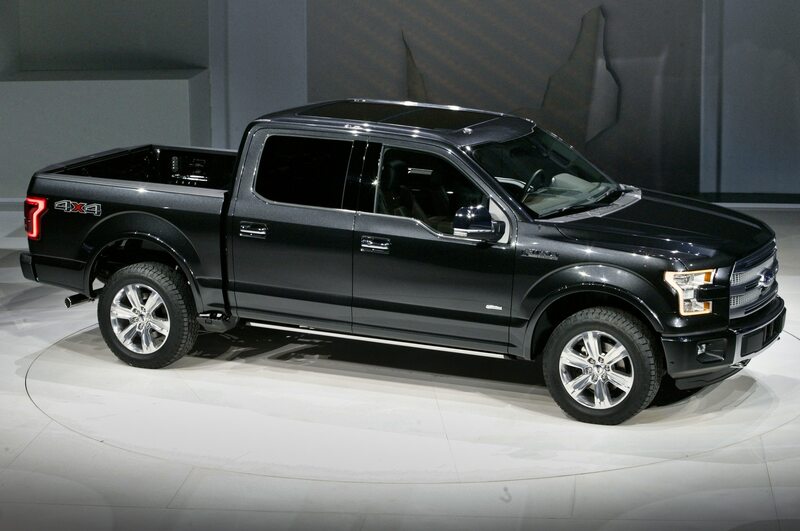 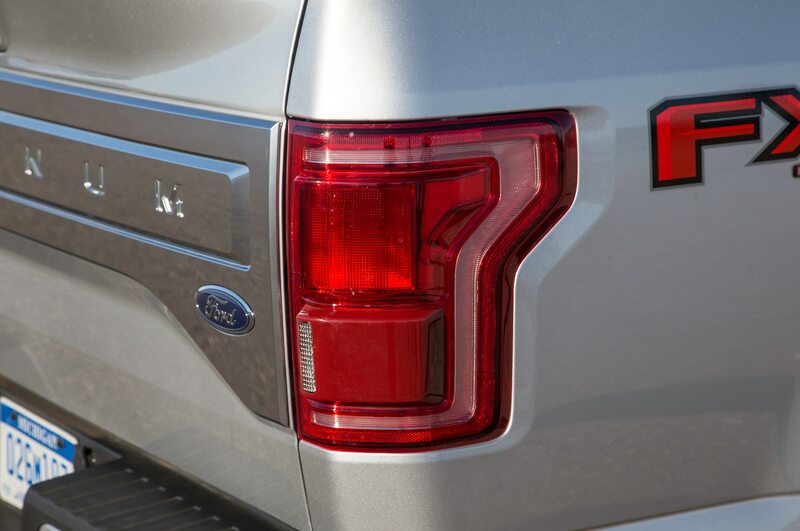 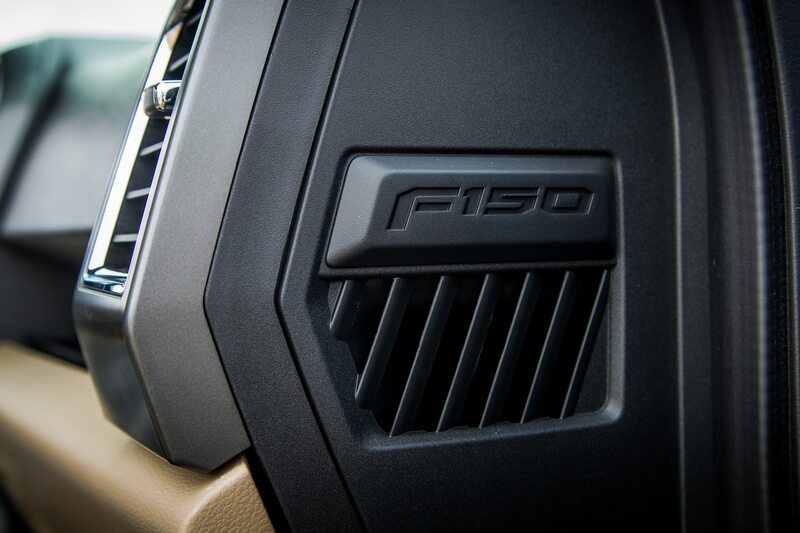 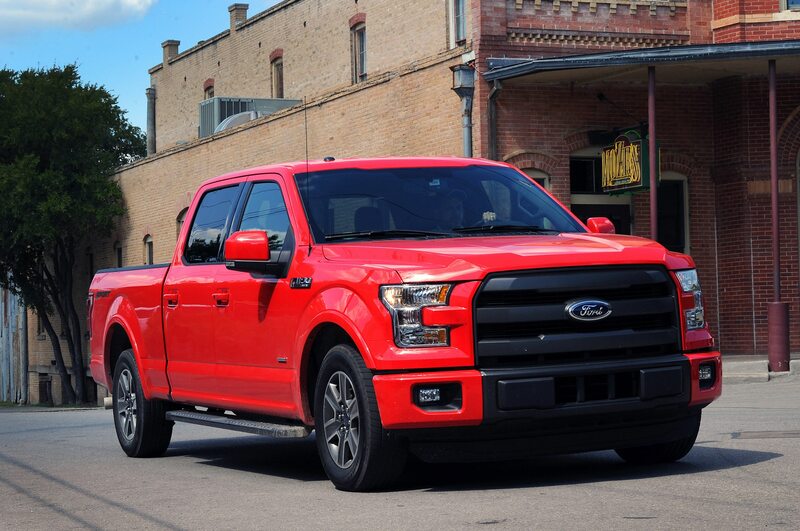 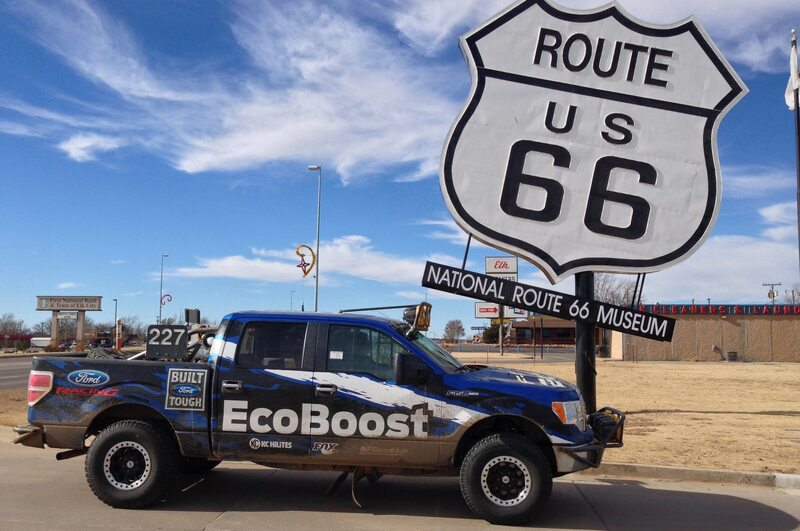 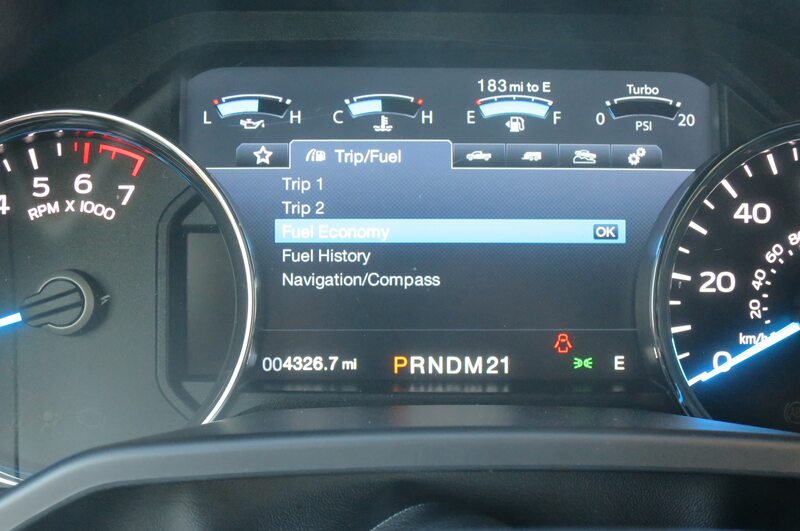 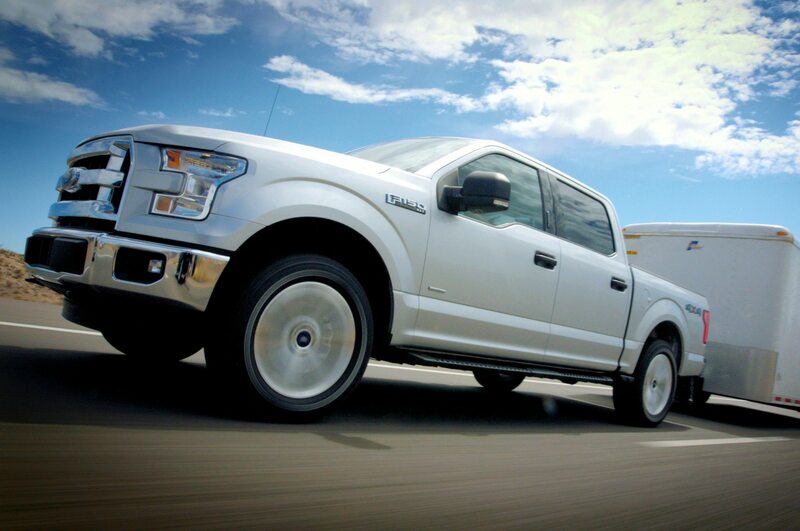 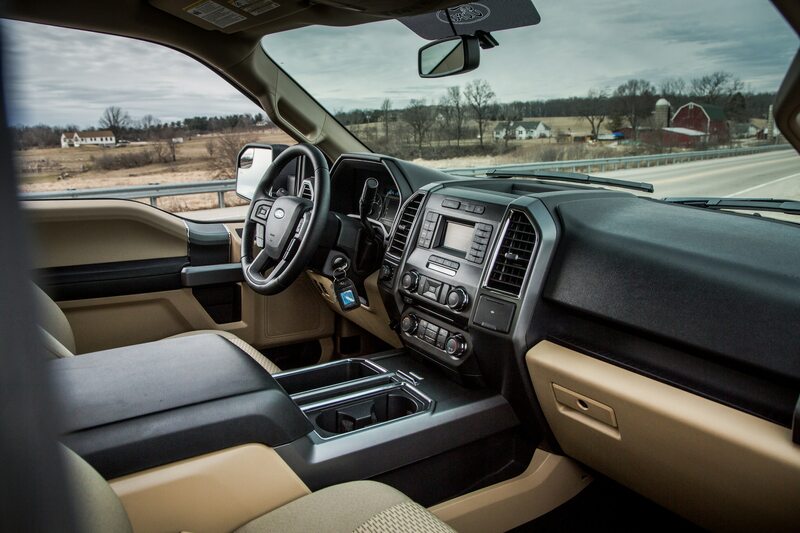 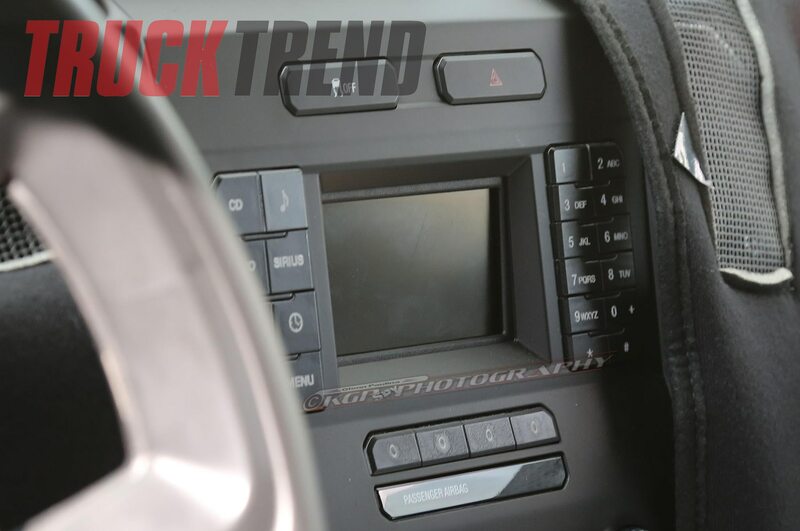 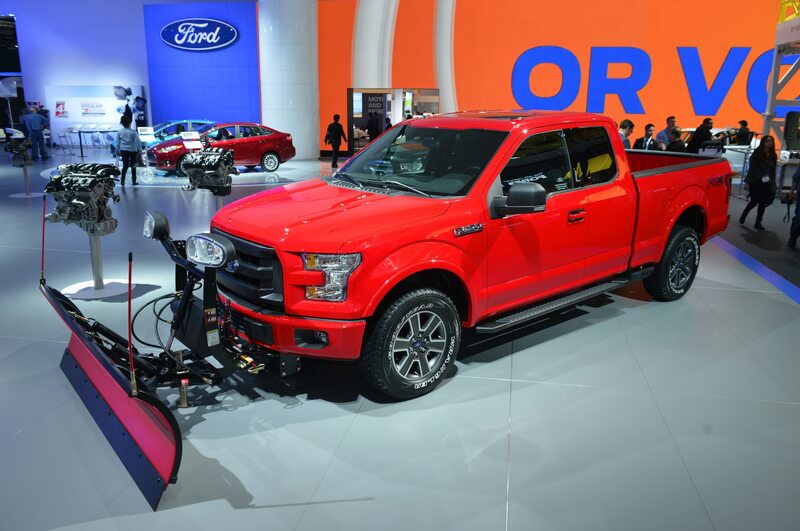 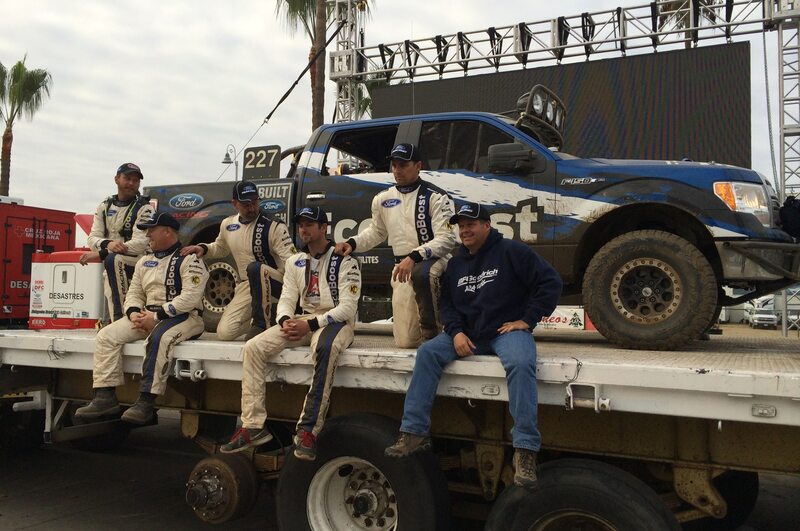 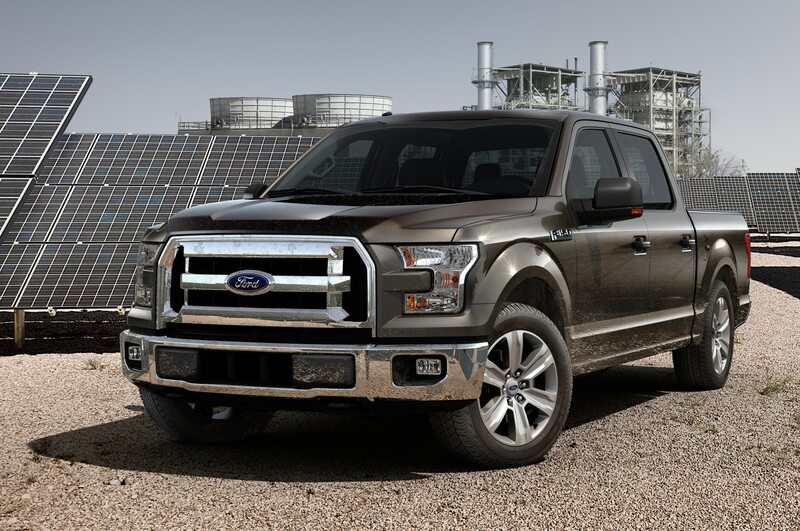 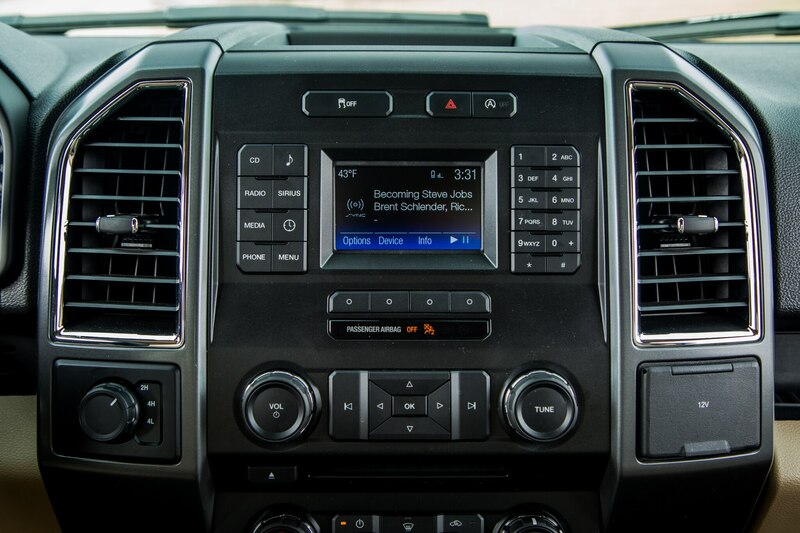 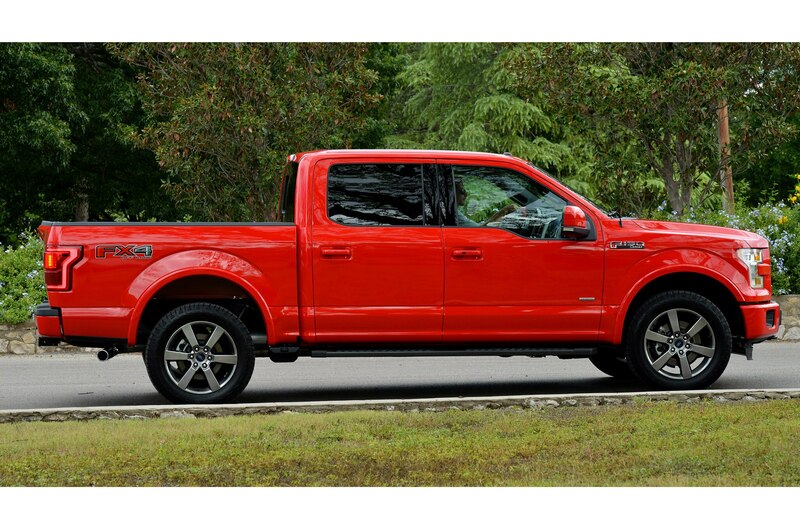 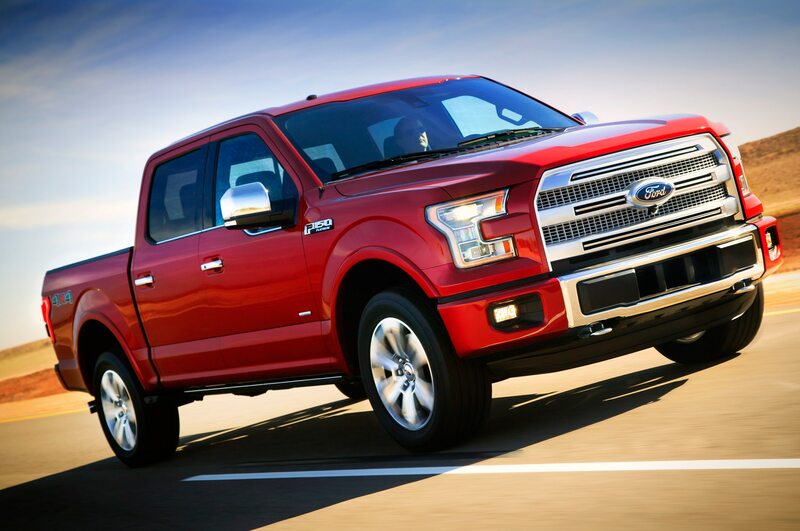 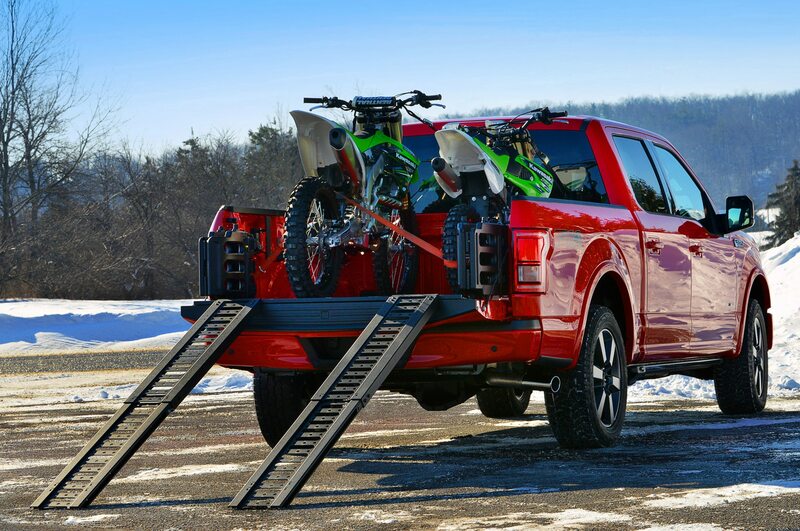 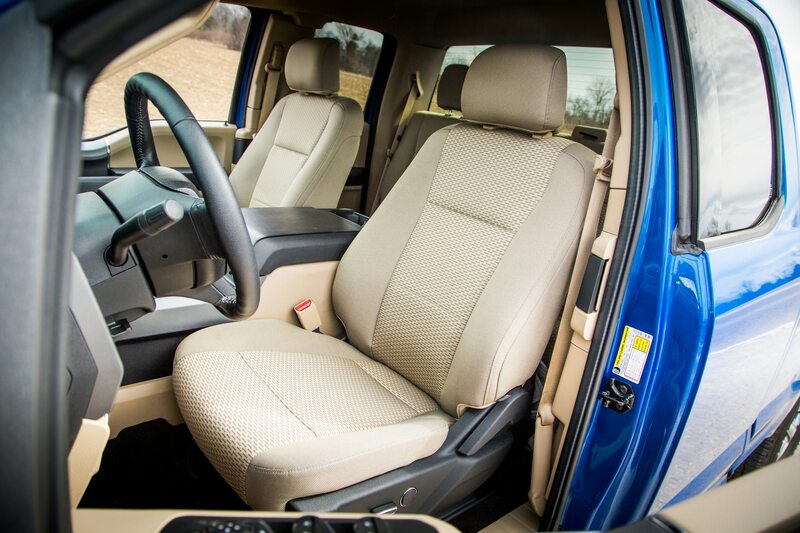 If Roush was going for aggressive with this outfitted 2015 Ford F-150, they nailed it. 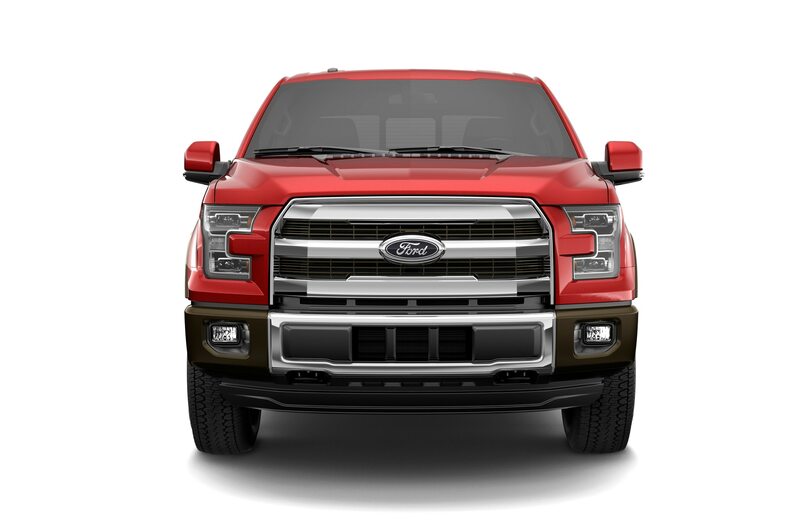 A new front grille with clearance lights, a front bumper cover, fender flares, and a black hood graphic give it a tough face, while additional graphics along the side and tailgate finish the visual overhaul. 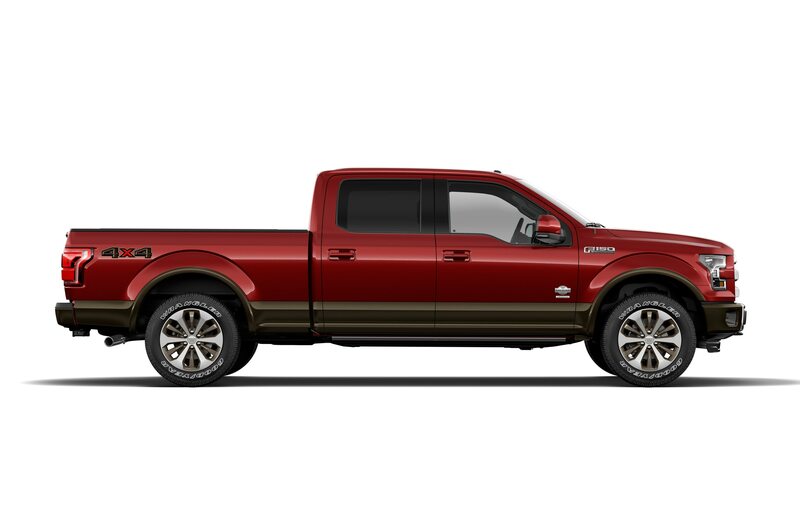 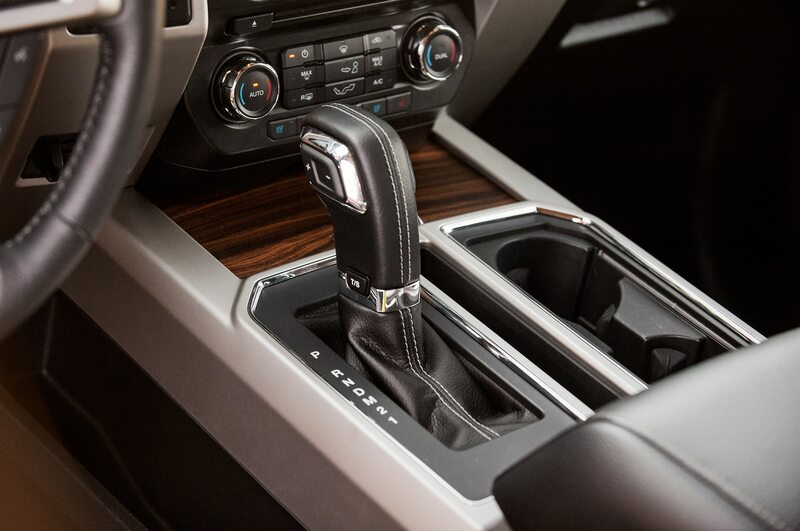 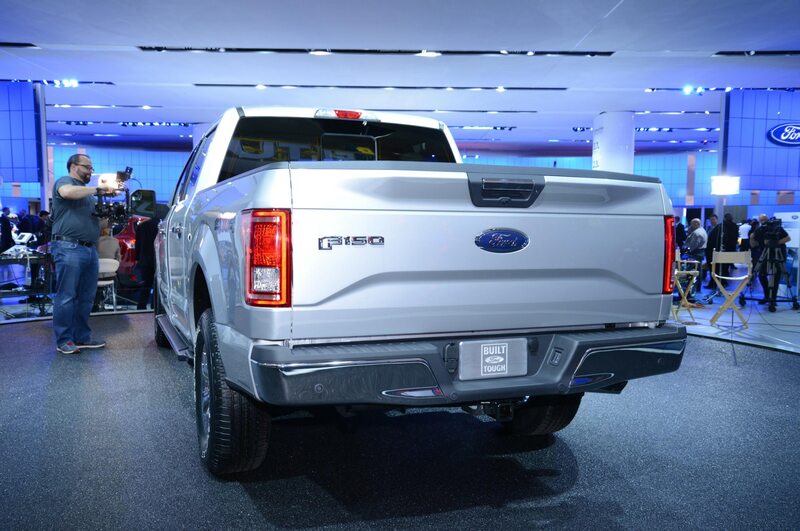 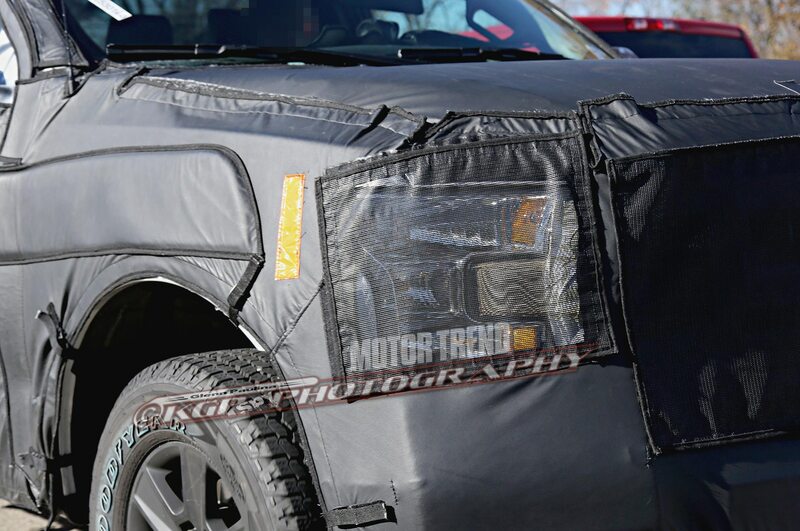 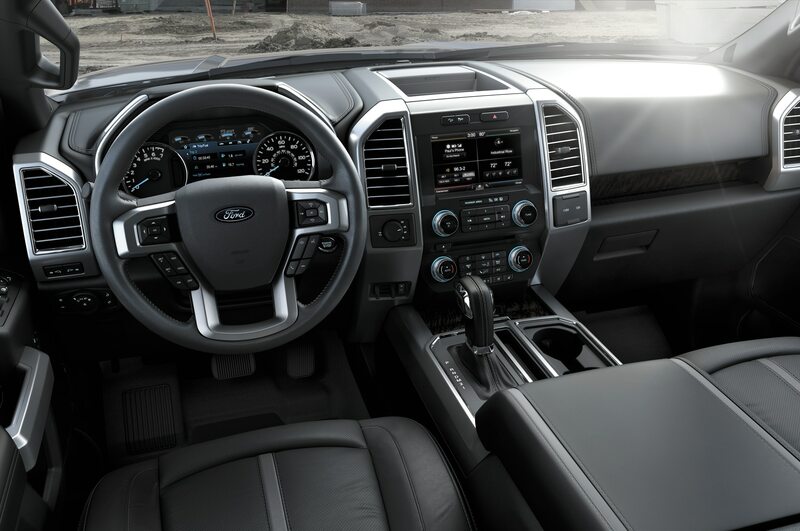 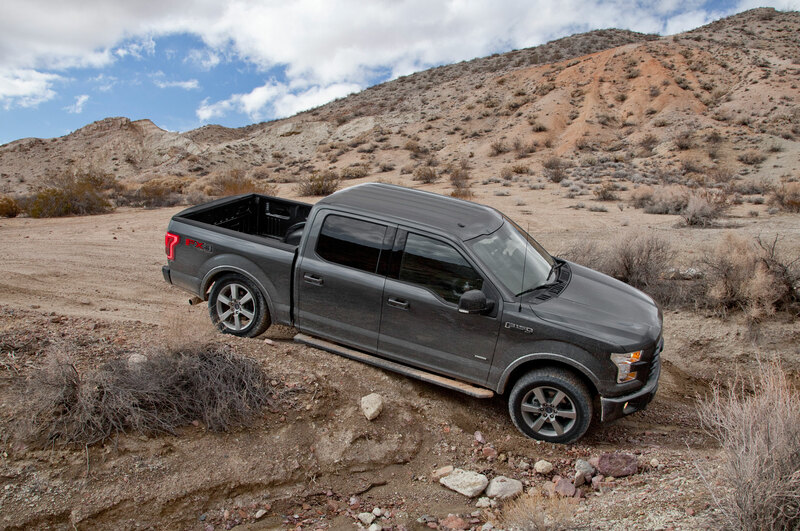 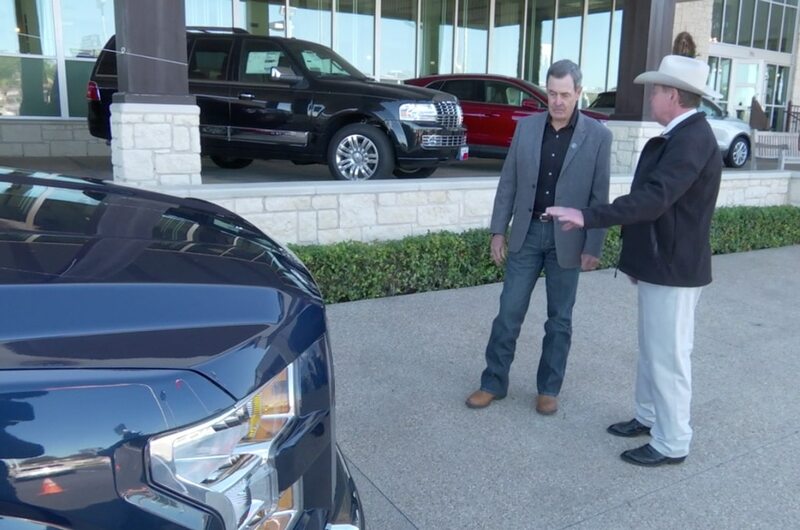 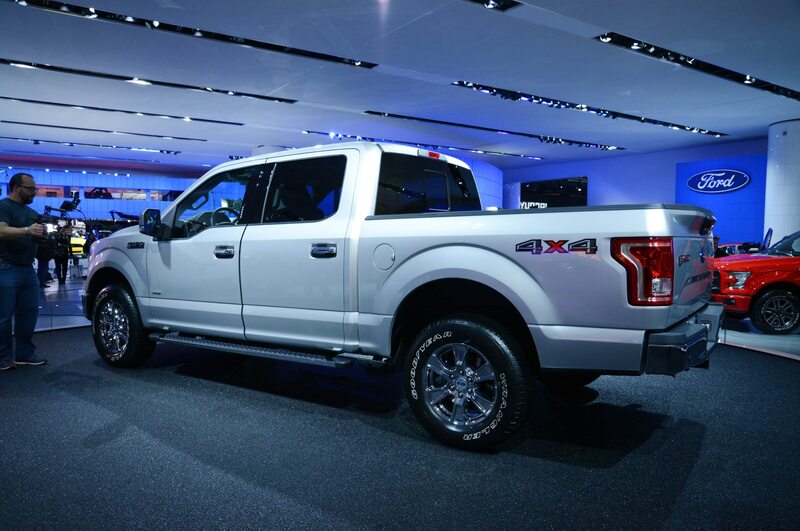 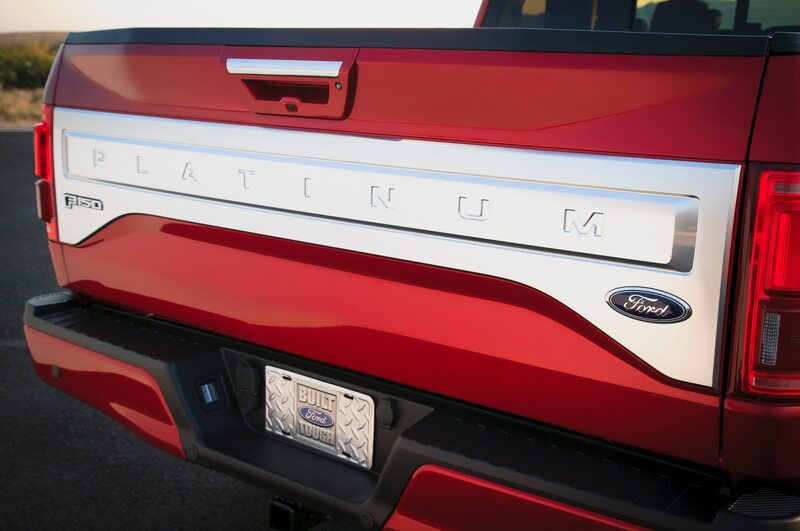 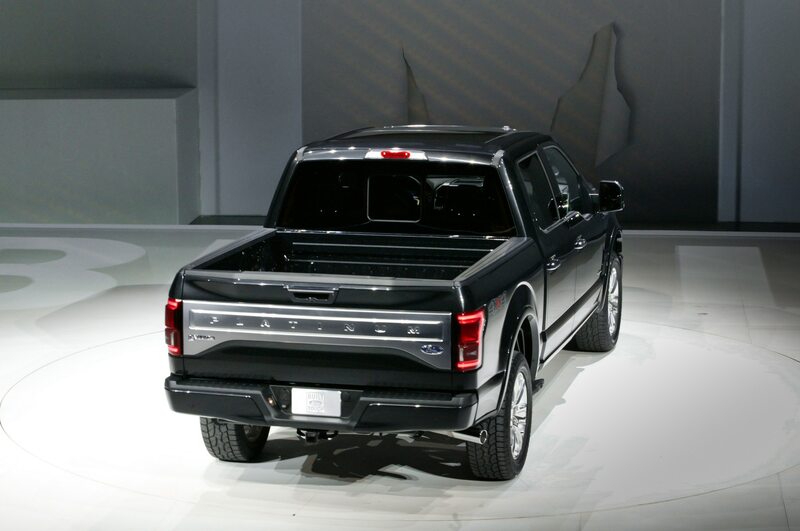 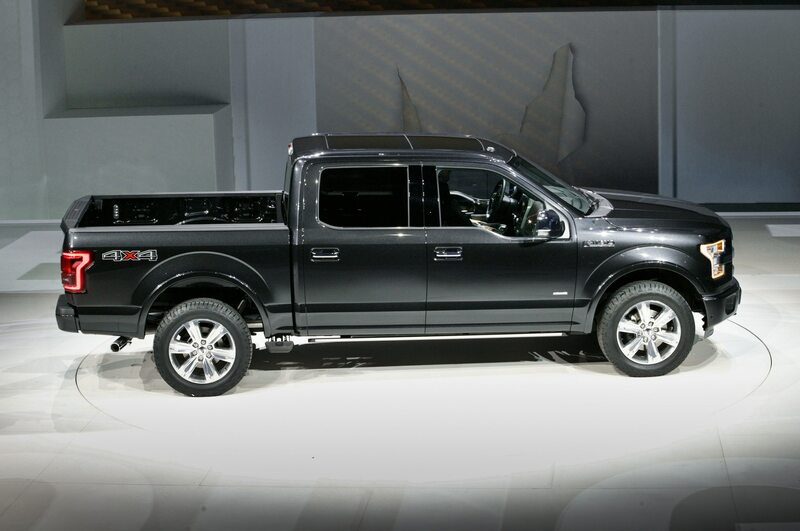 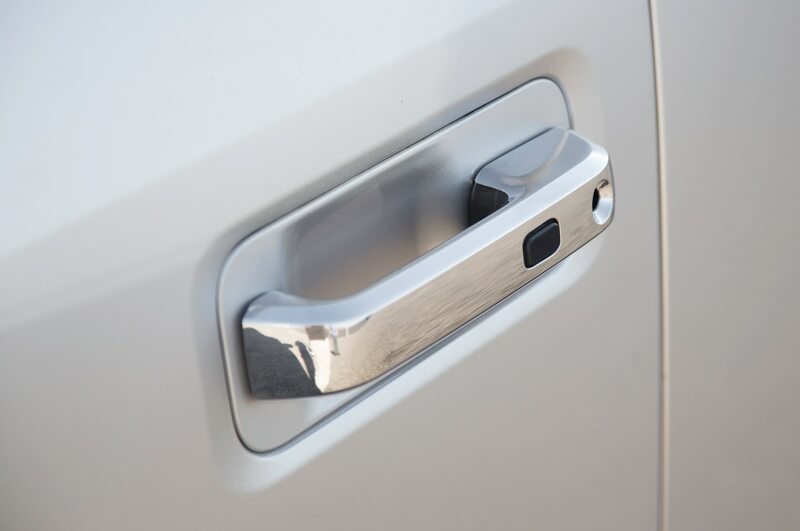 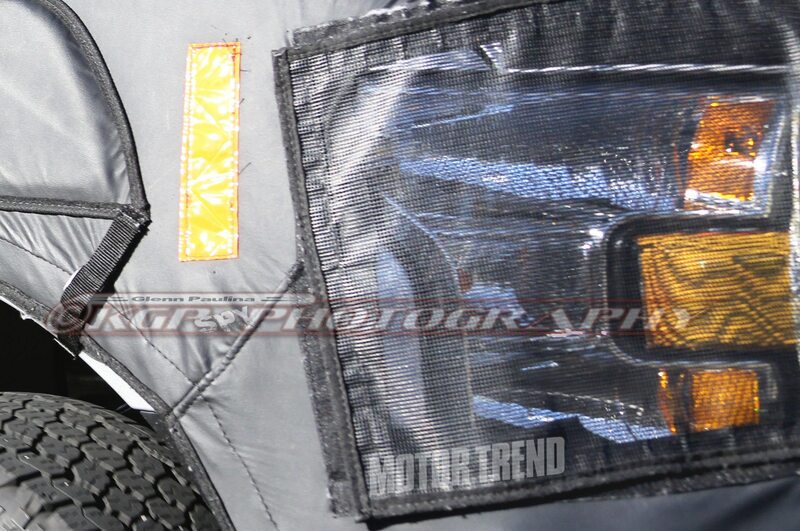 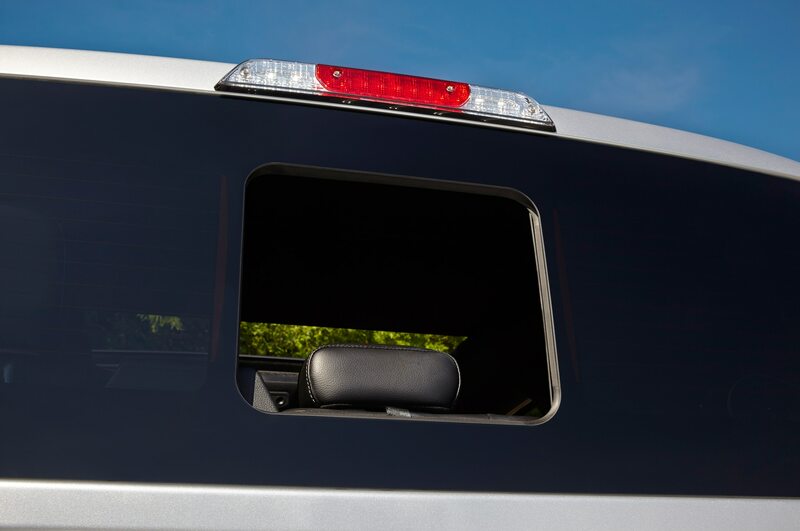 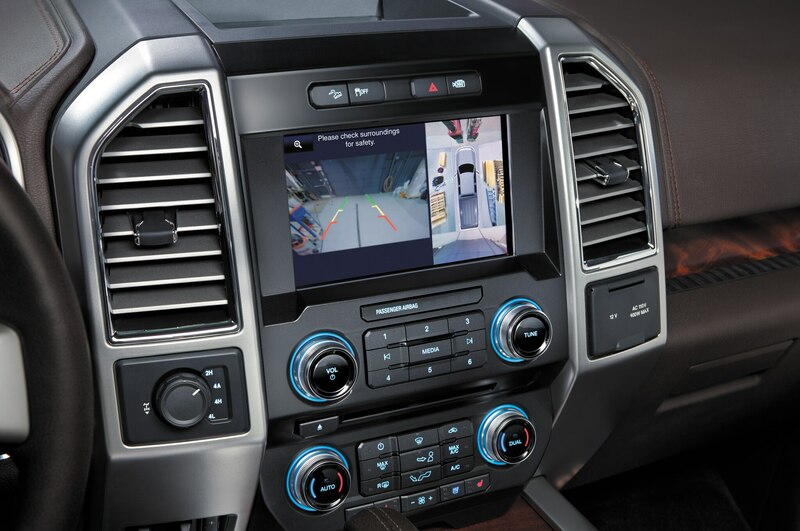 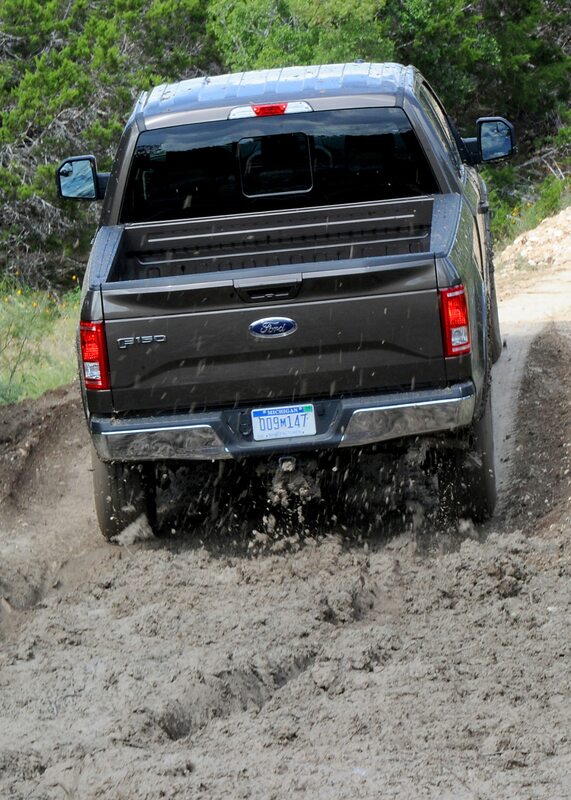 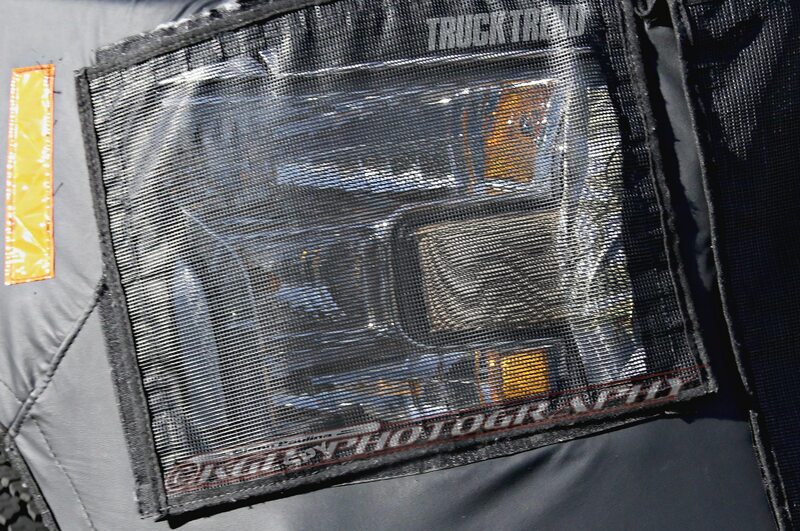 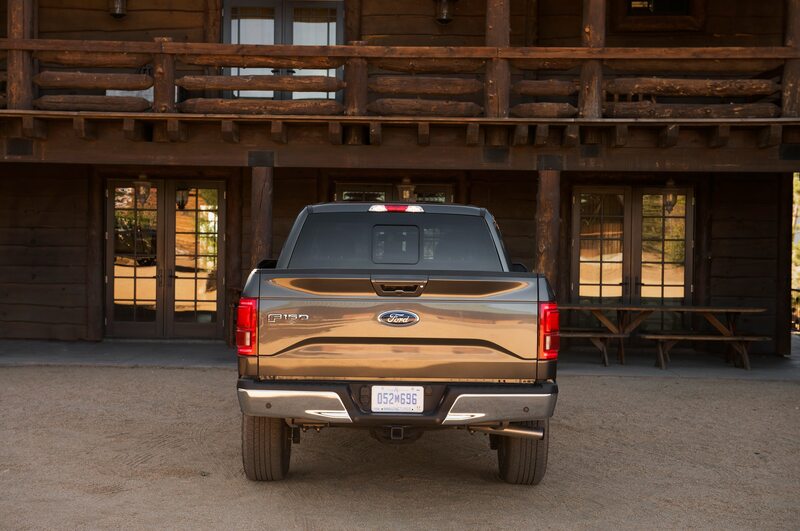 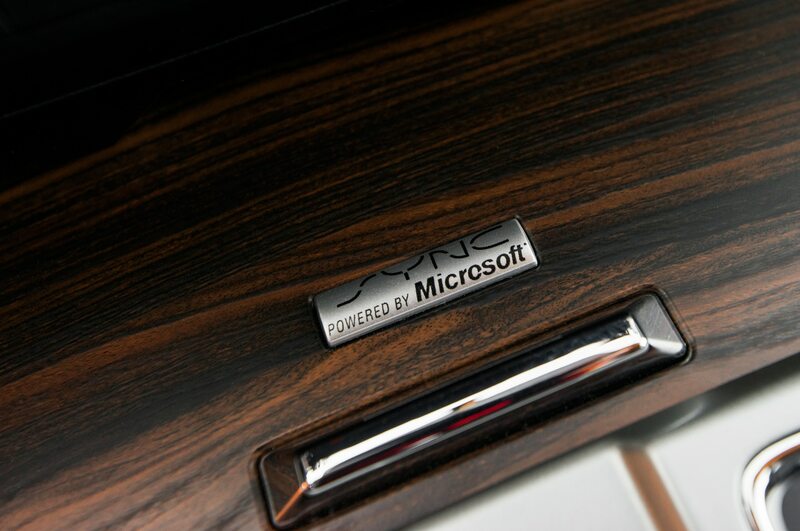 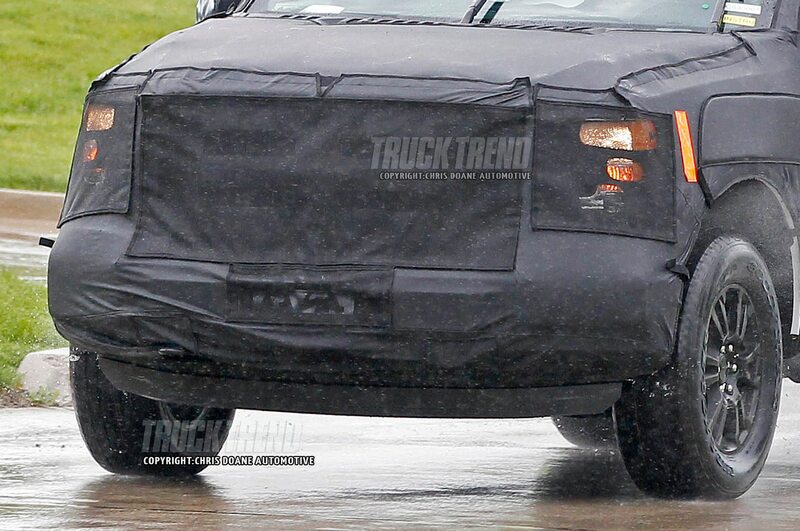 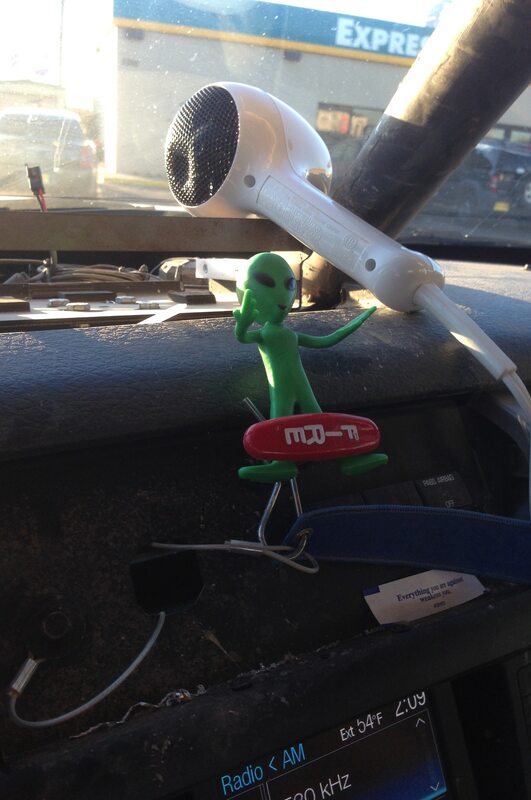 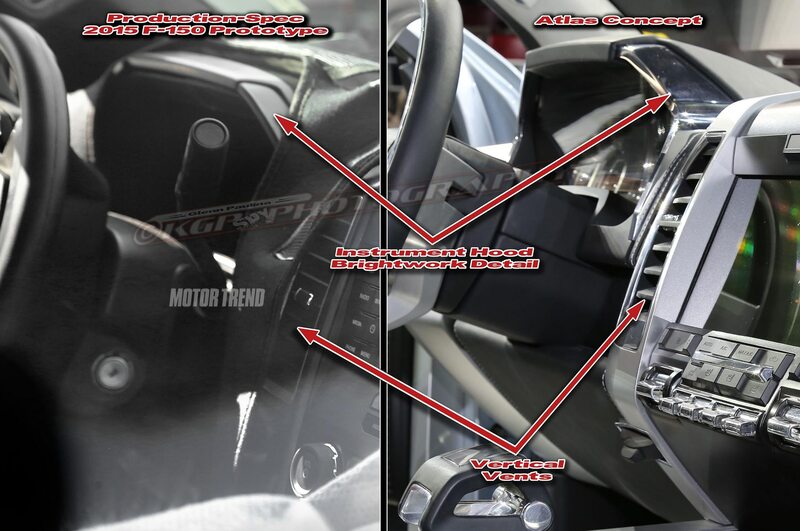 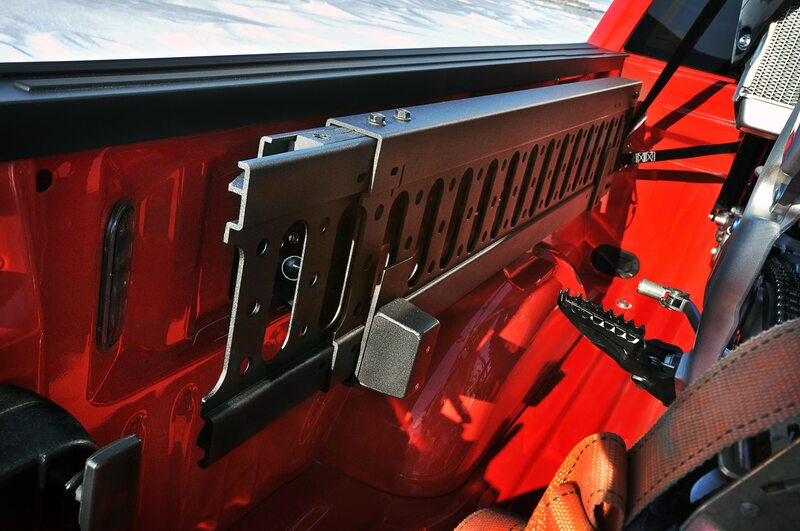 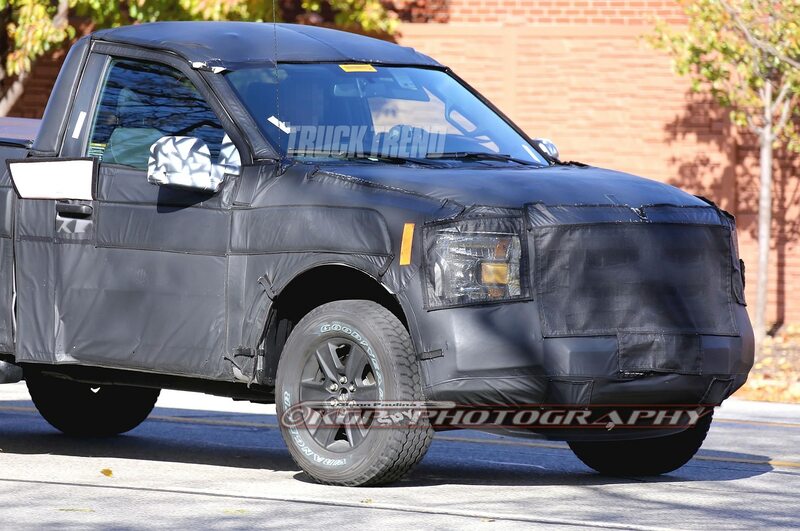 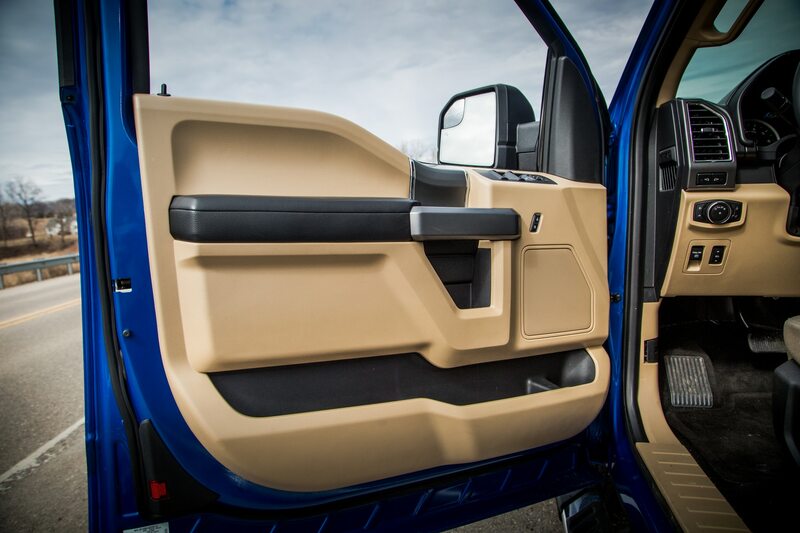 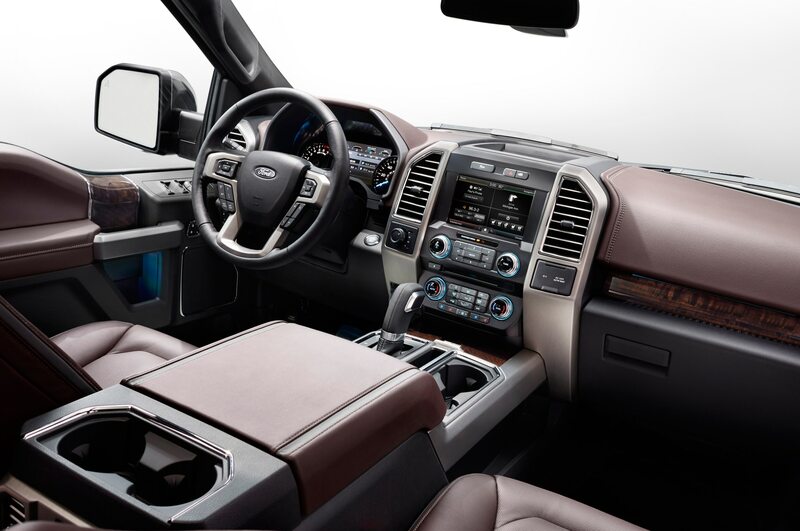 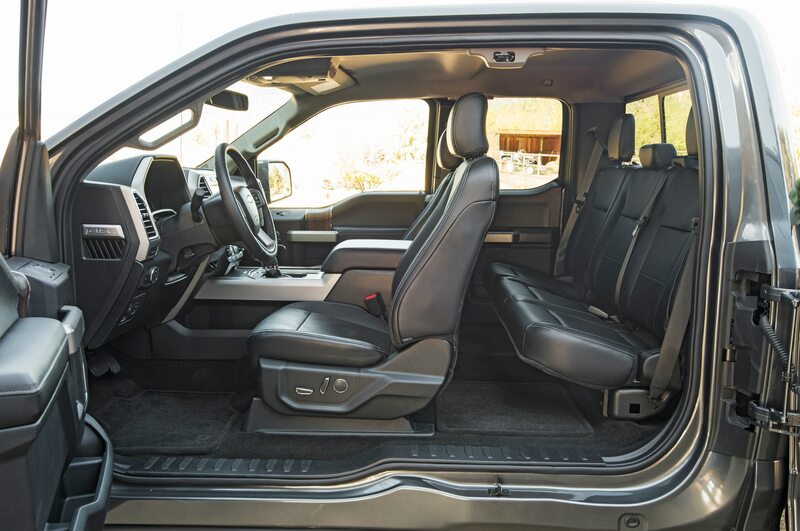 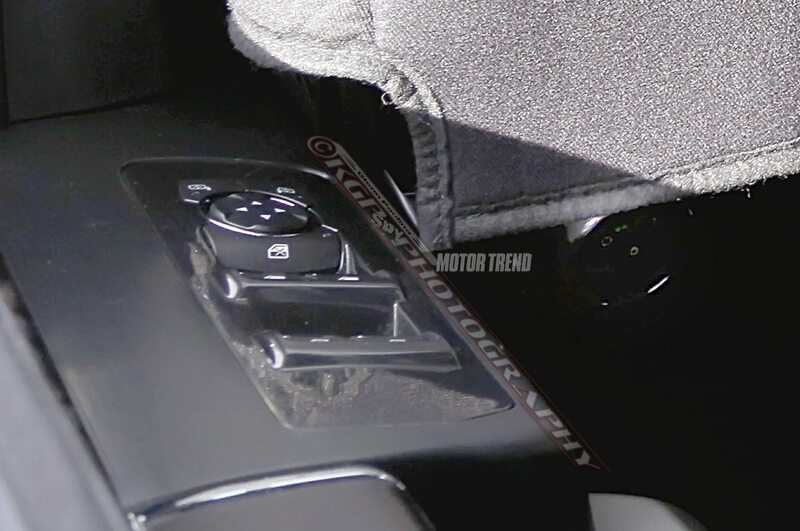 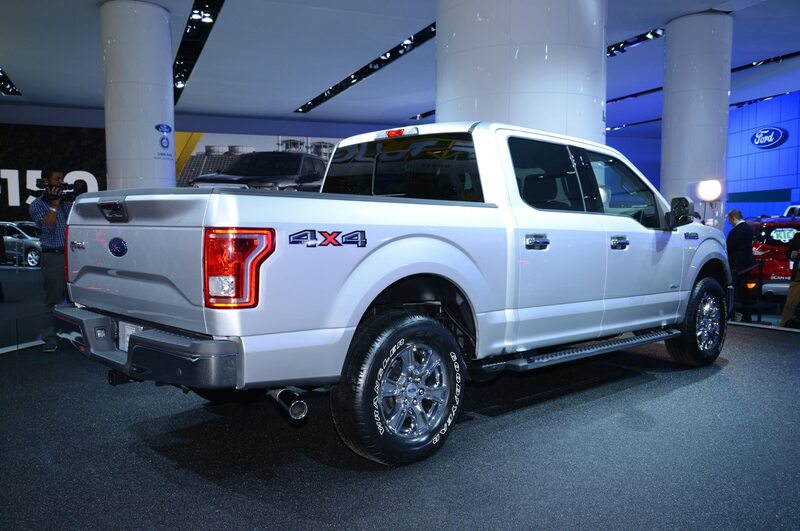 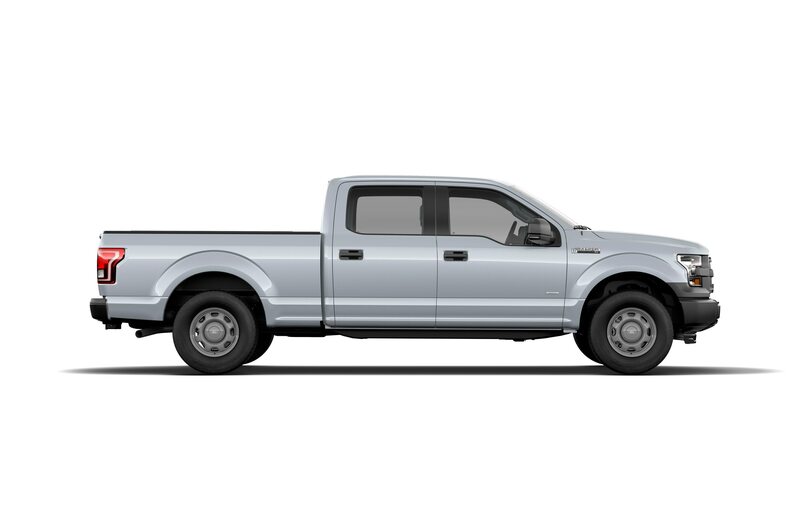 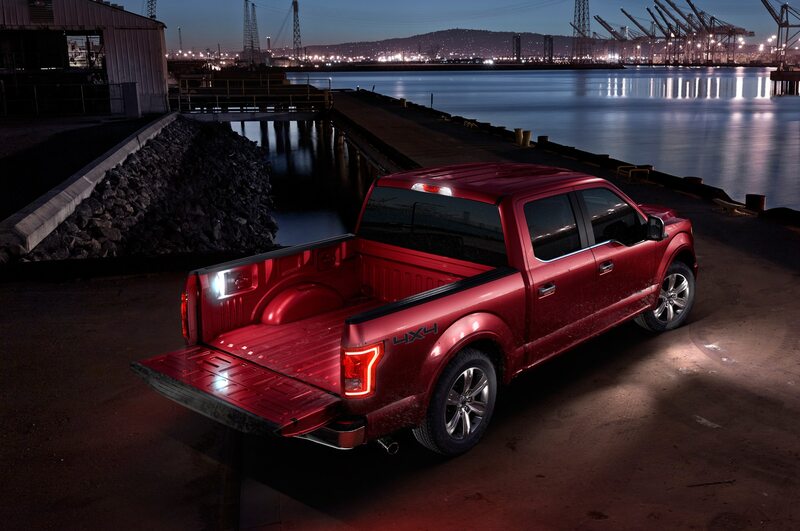 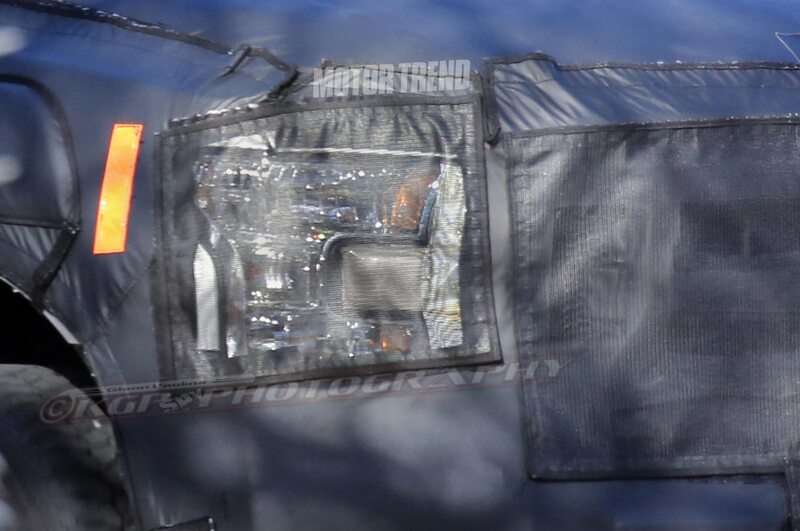 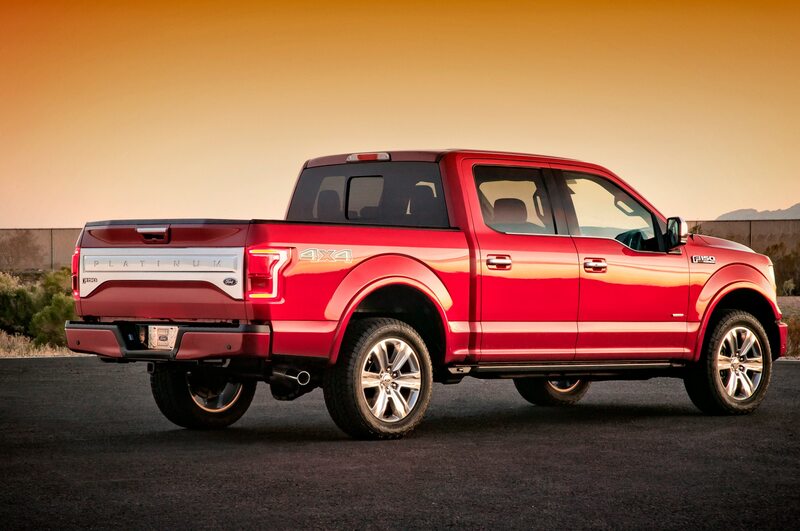 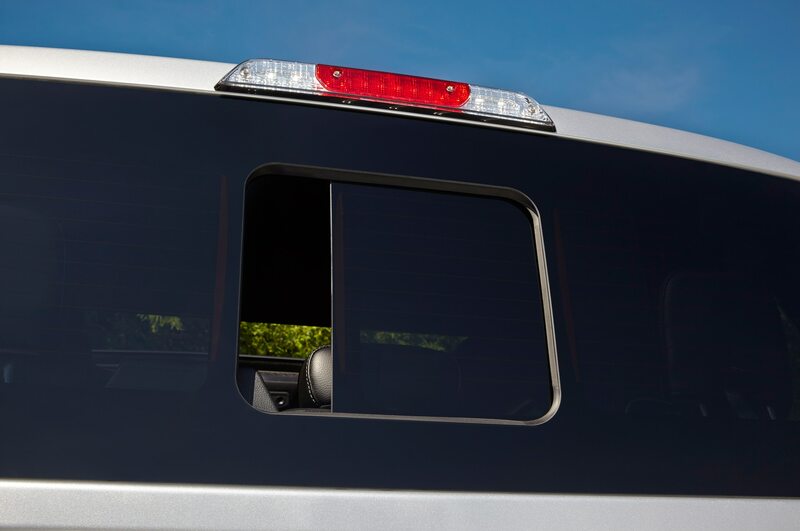 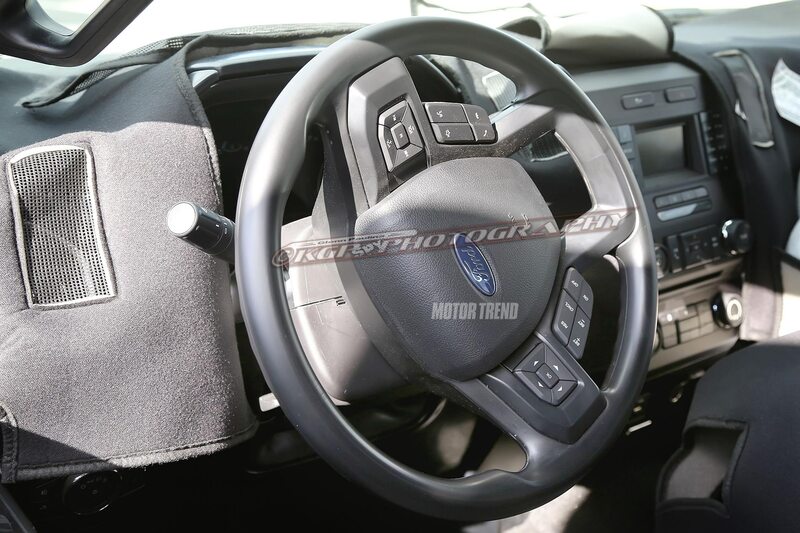 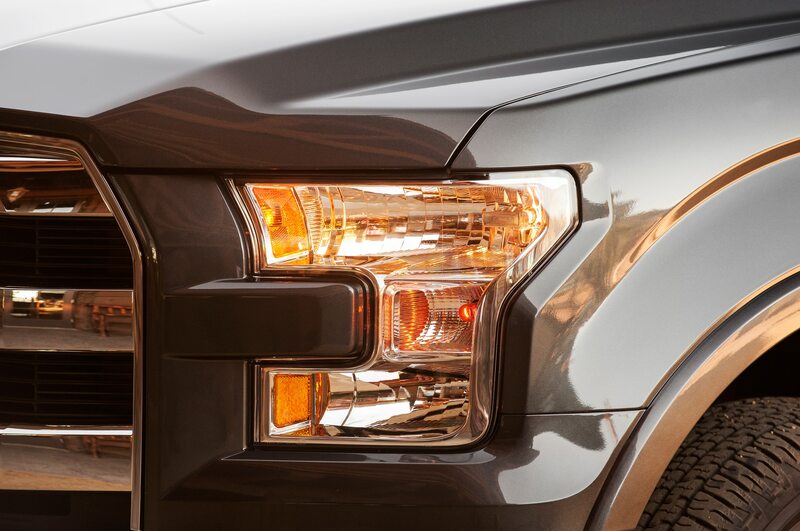 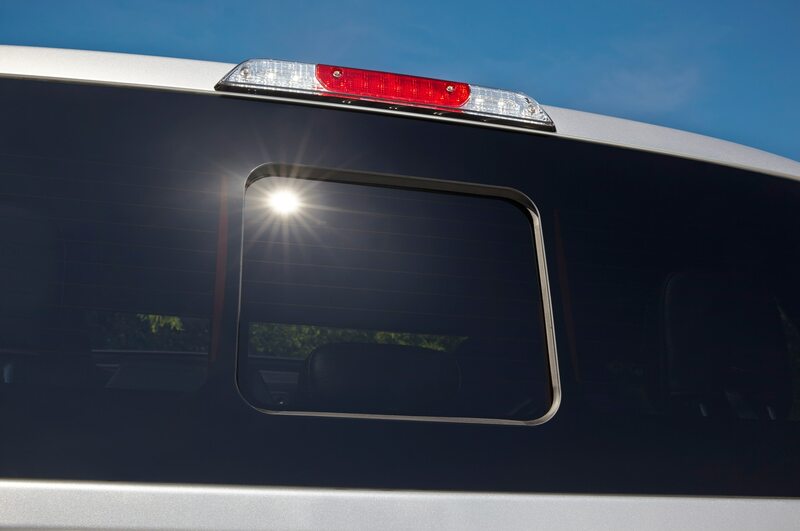 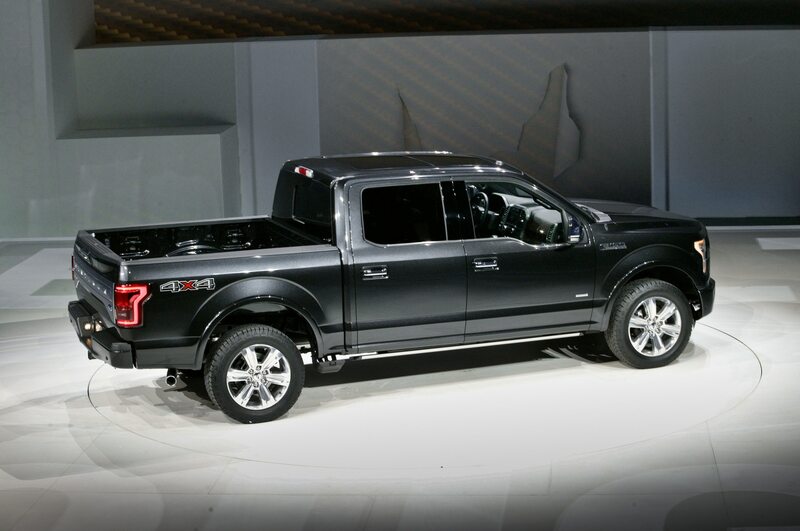 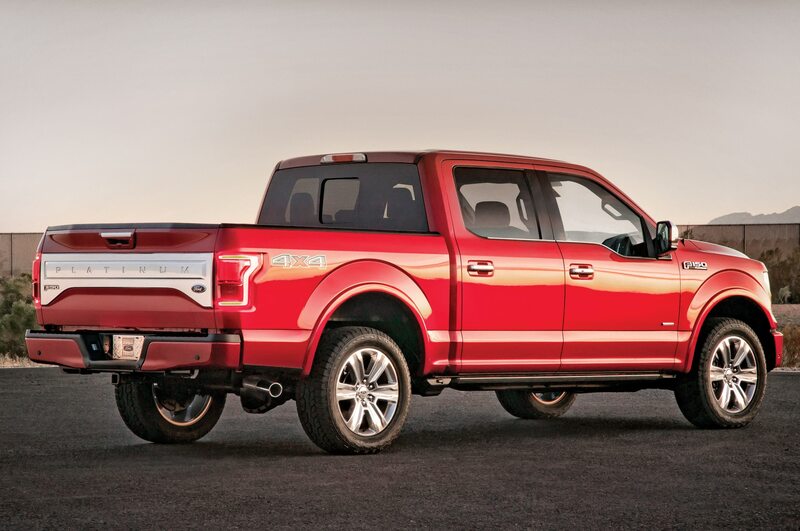 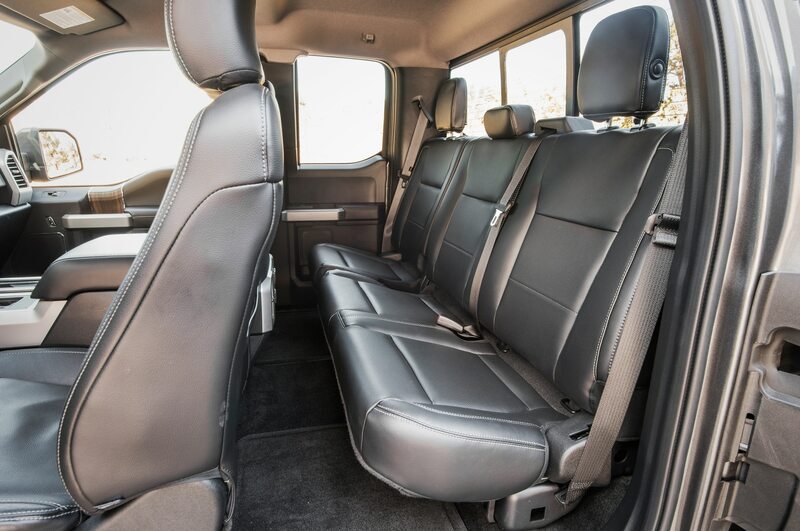 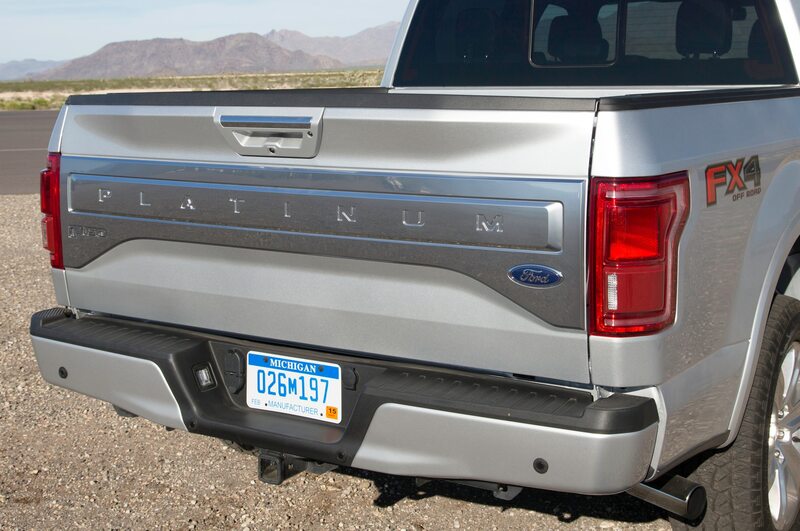 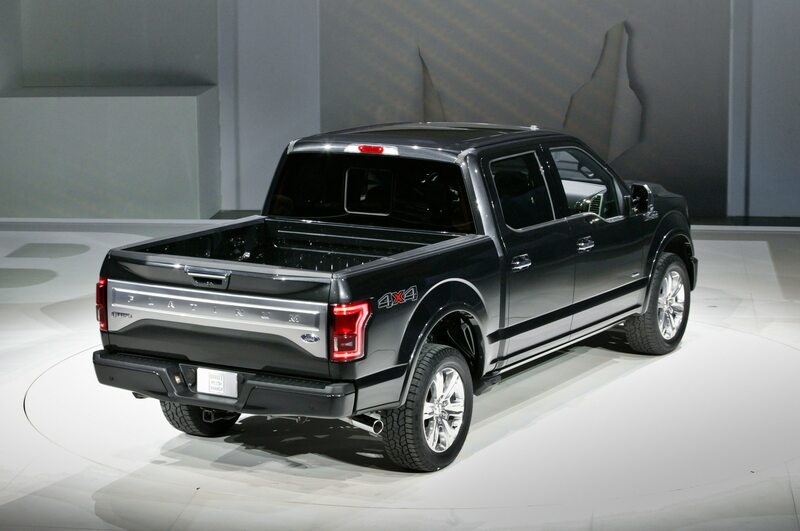 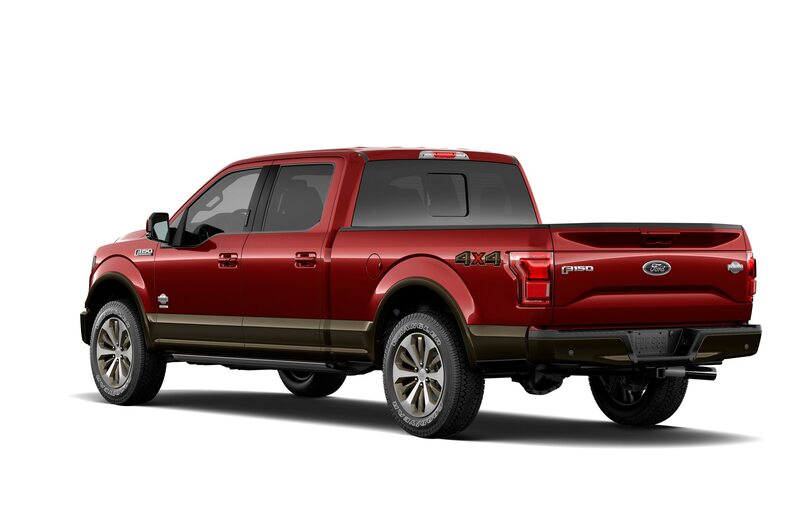 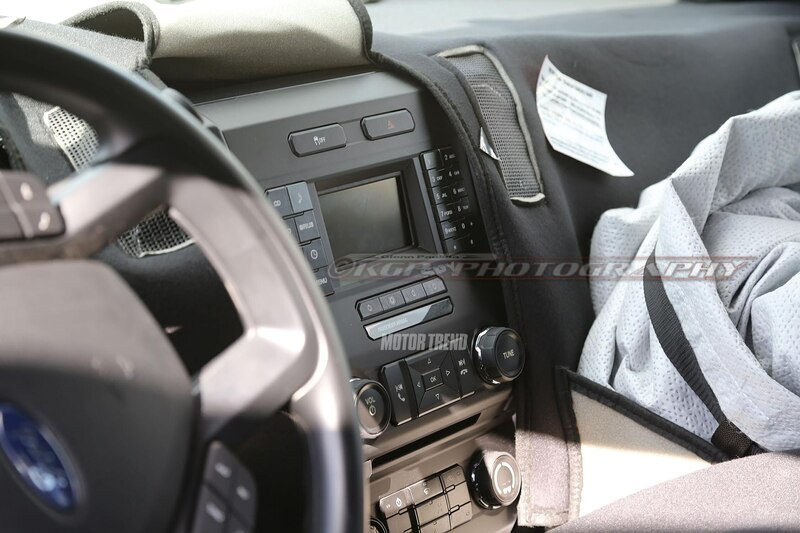 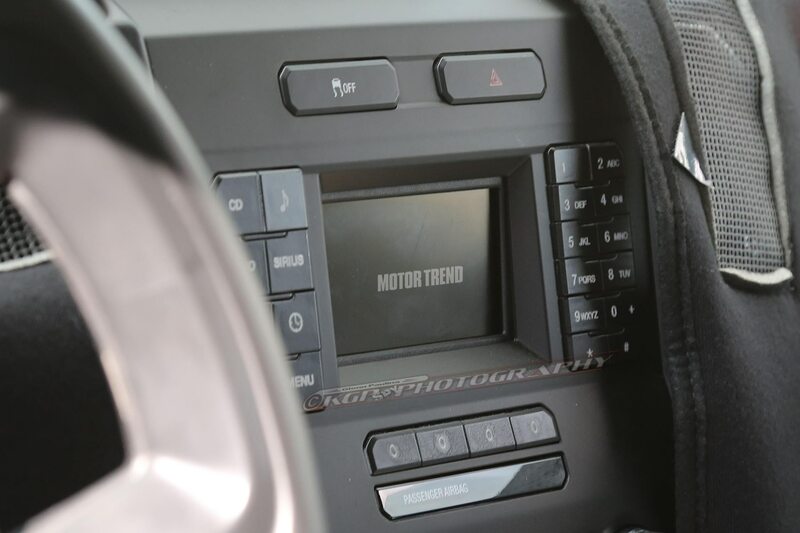 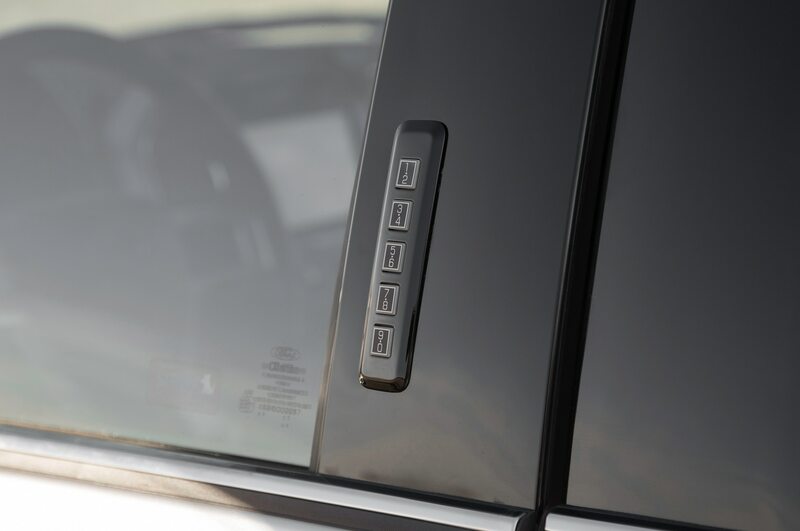 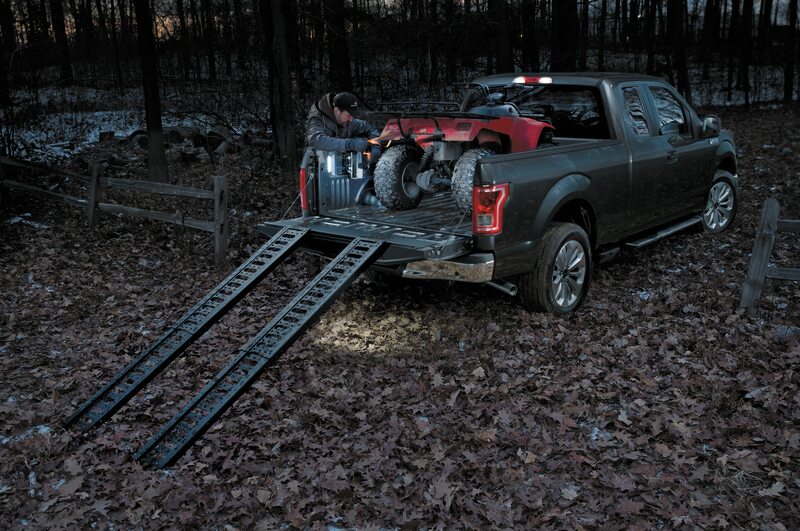 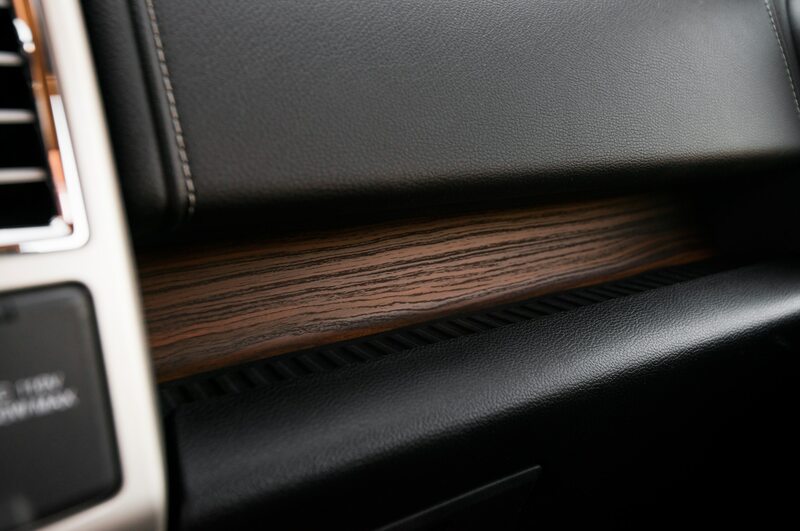 There’s also an R-shaped square hitch cover, WeatherTech floor liners, and an optional Roush soft tonneau cover. 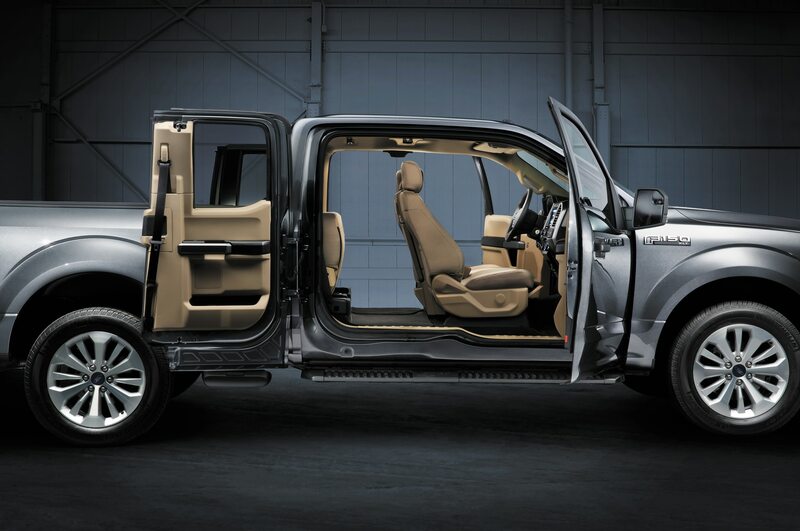 The upgrades are more than just skin-deep, however. 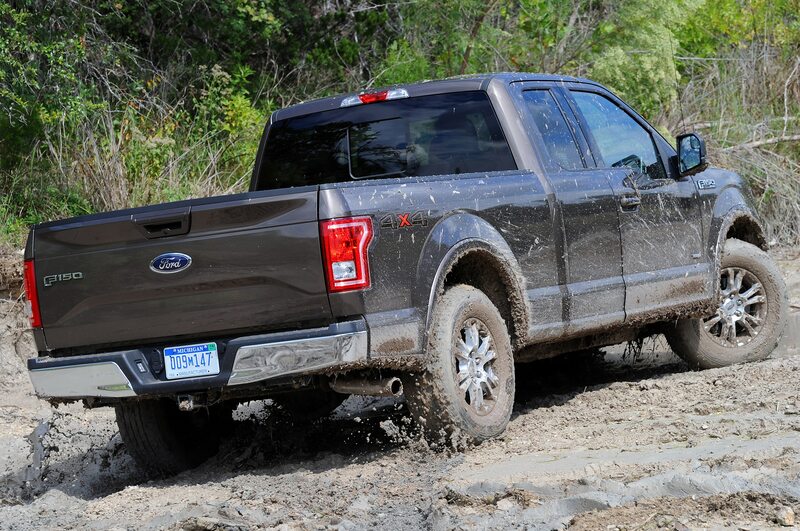 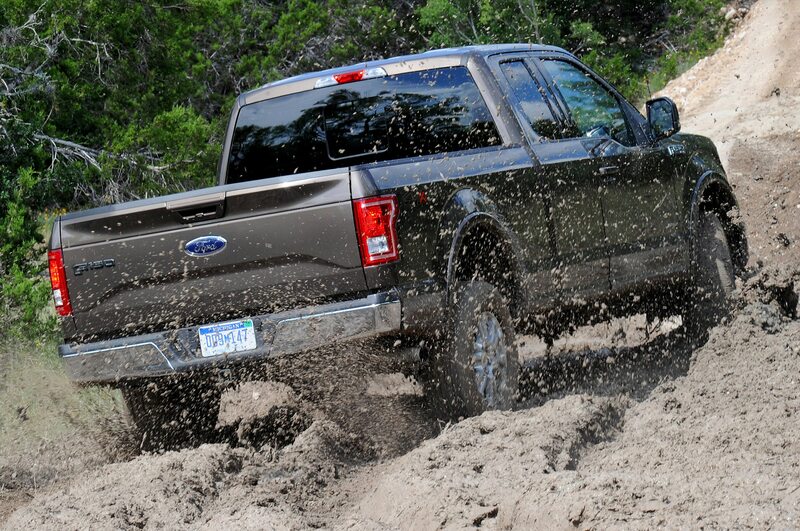 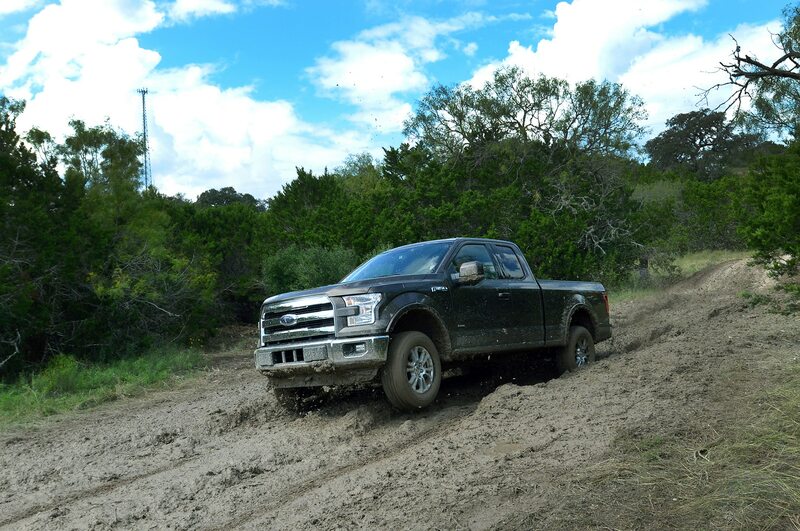 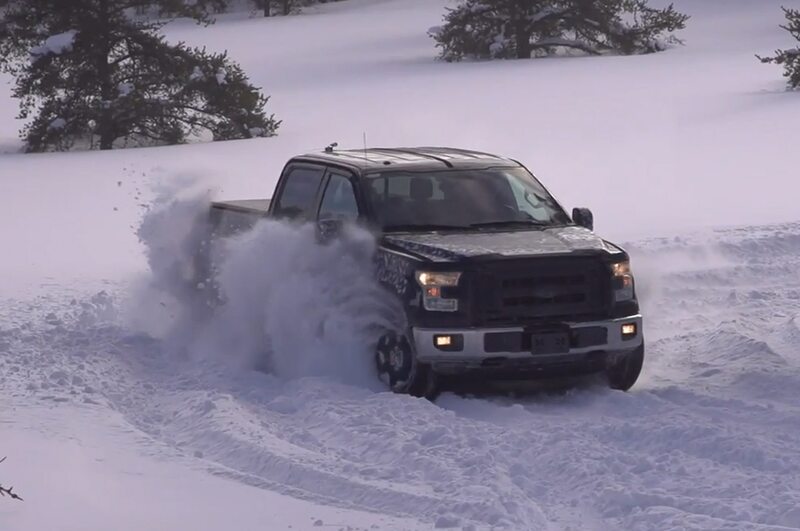 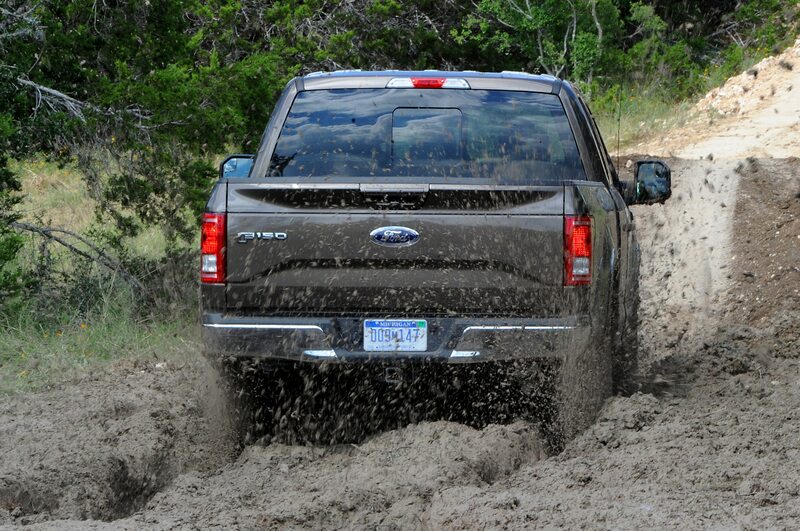 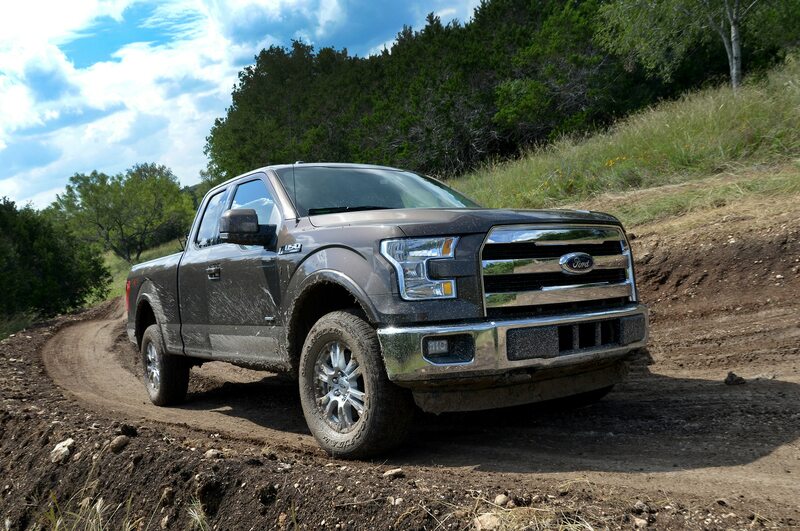 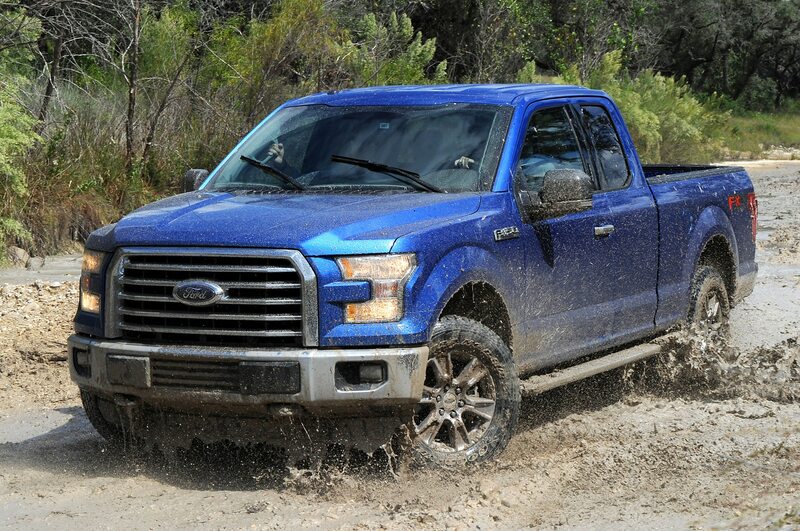 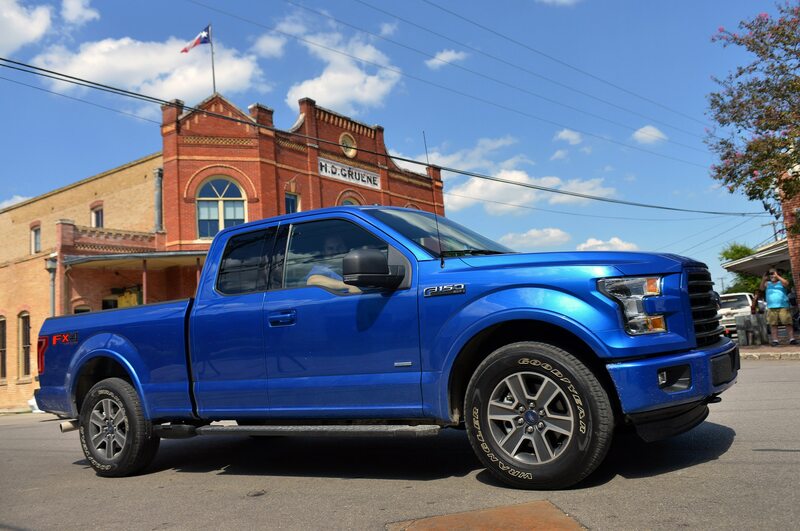 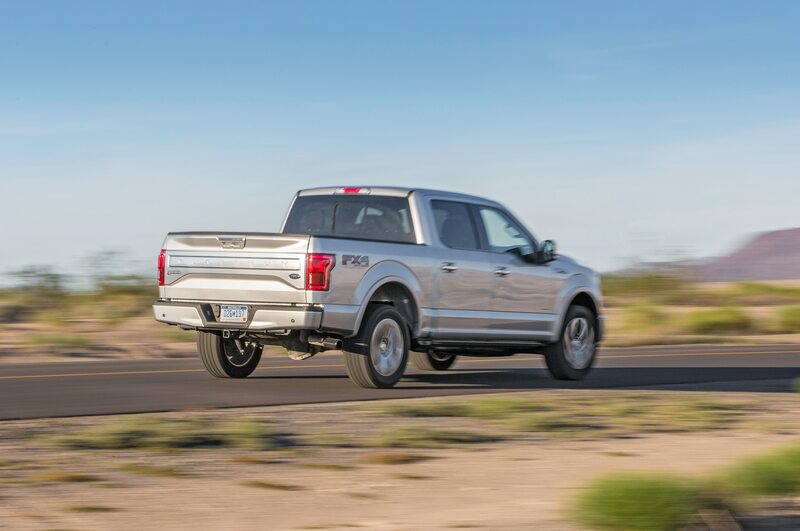 The Roush 2015 Ford F-150 adds 20-inch wheels with rugged 305/55 tires all around, and Roush teamed up with Fox for its no-nonsense suspension. 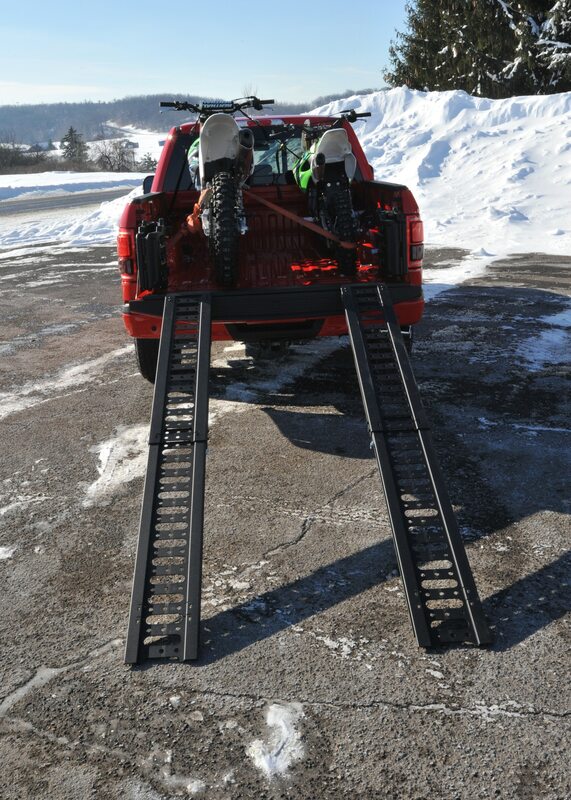 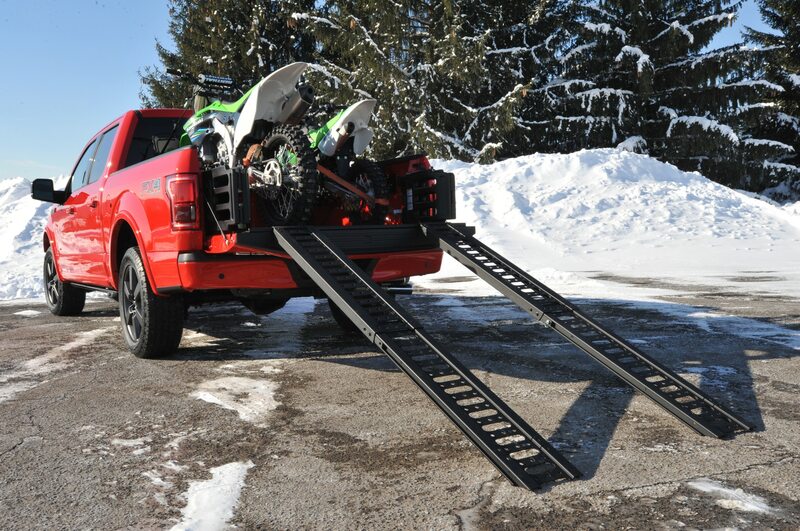 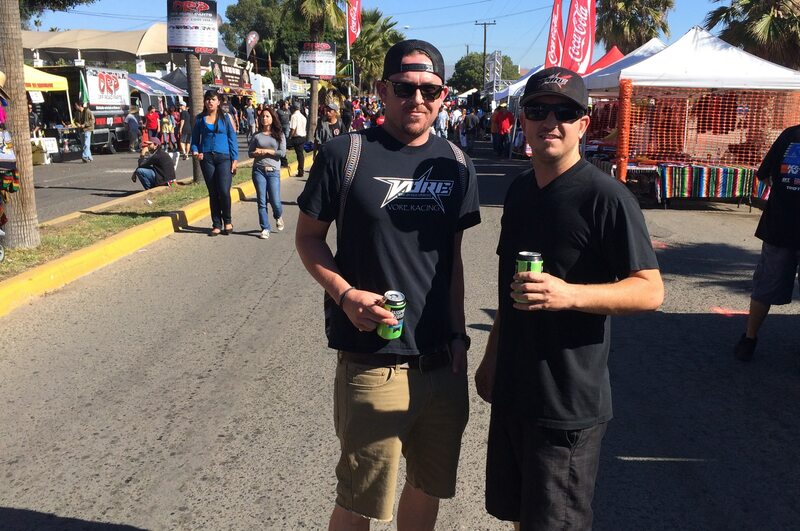 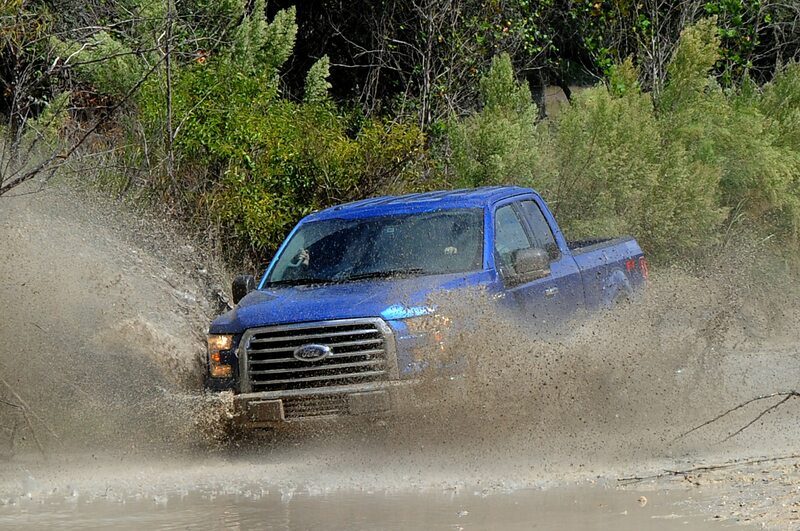 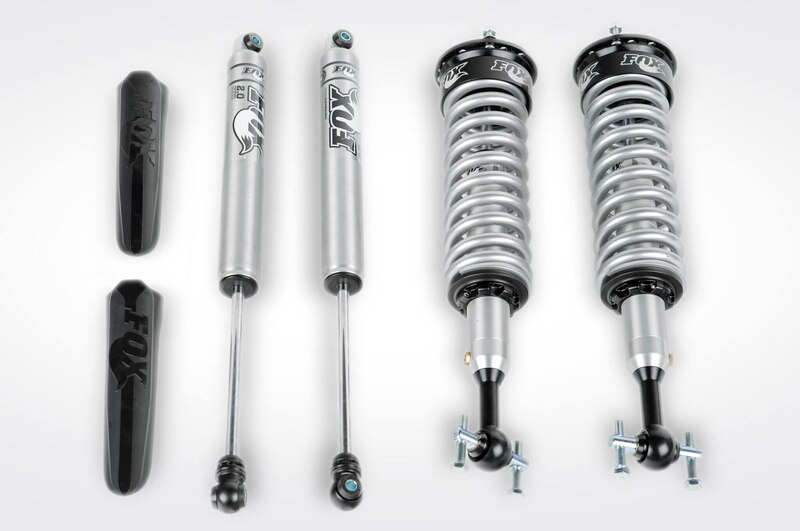 The Fox 2.0 Performance Series suspension adds coilovers and shocks with boots. 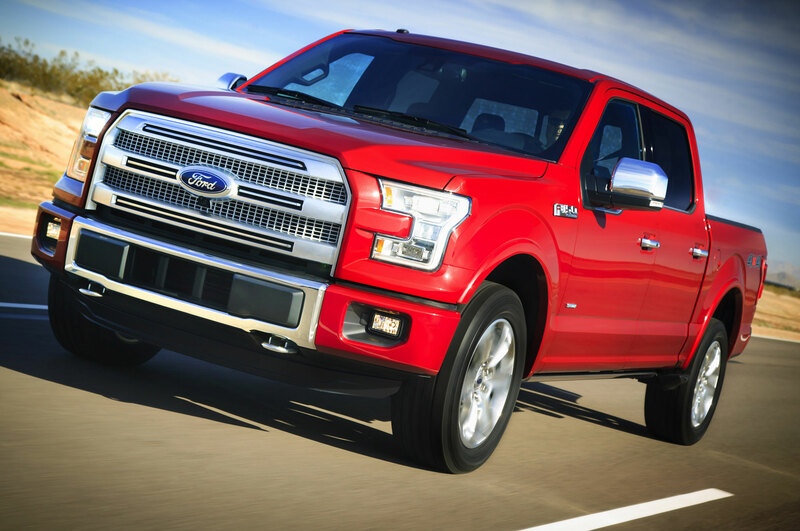 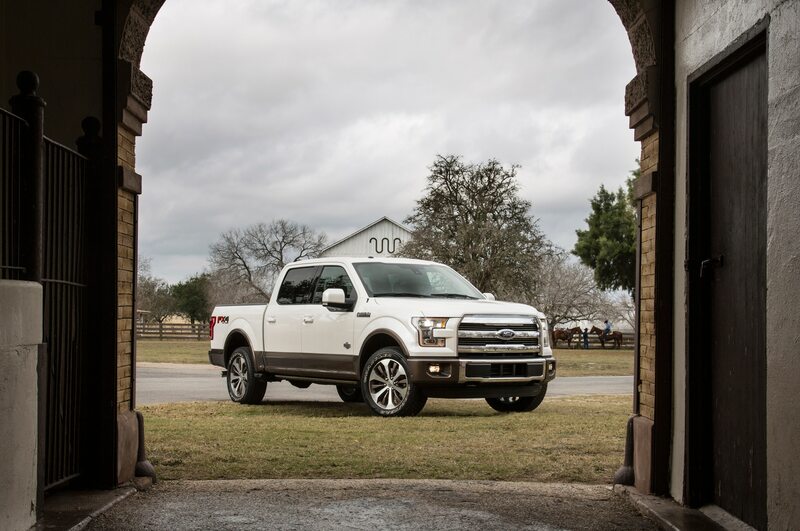 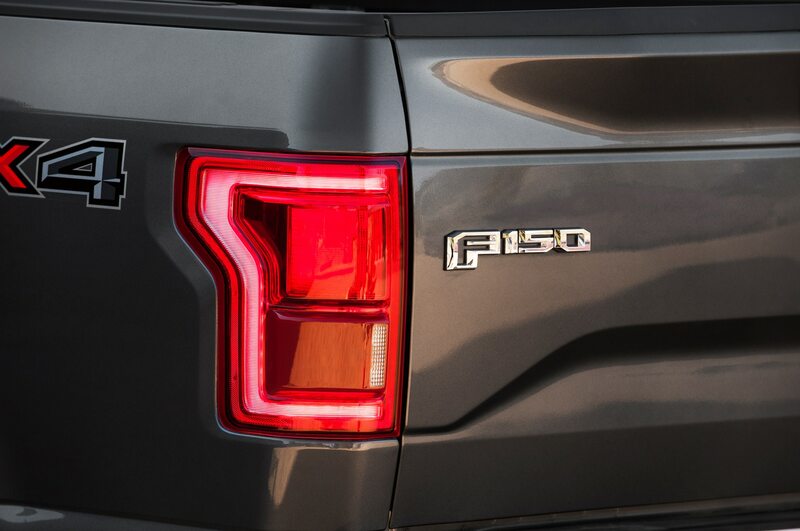 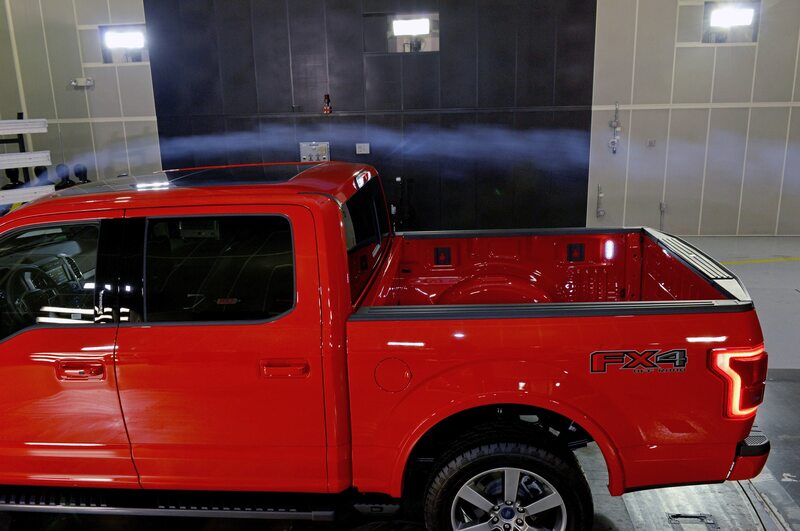 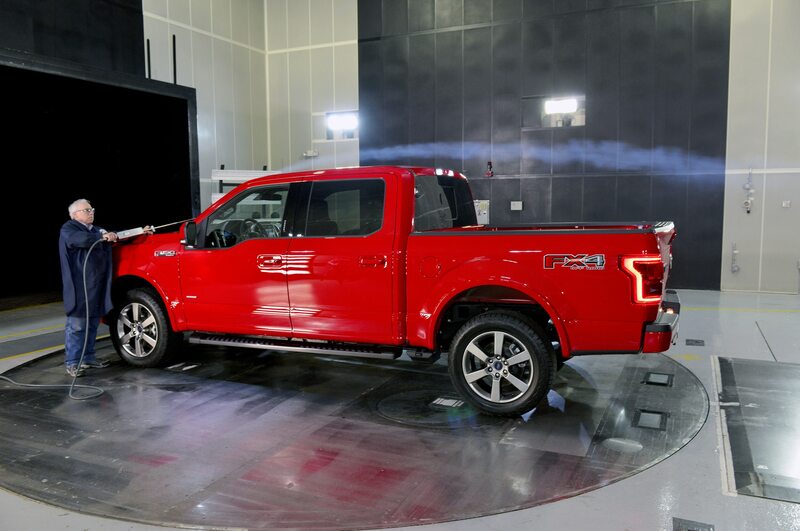 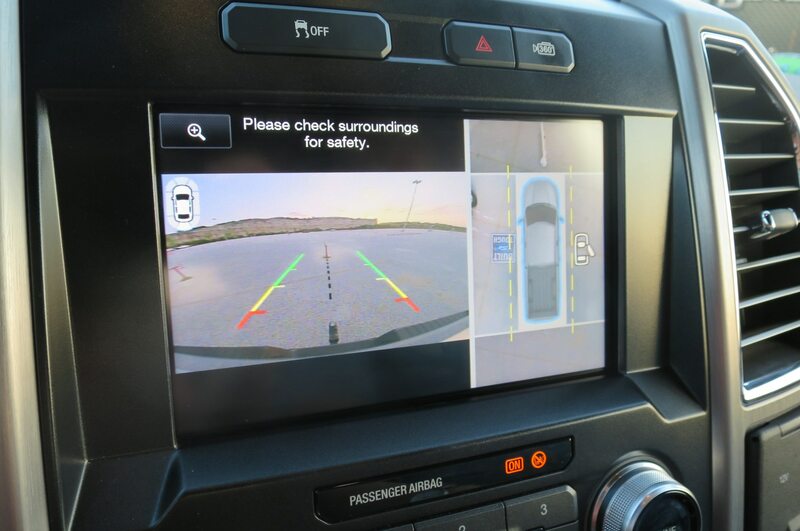 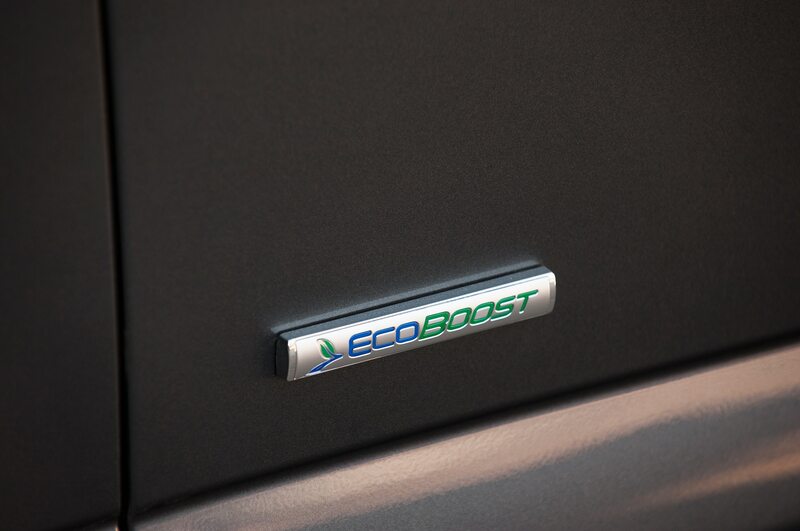 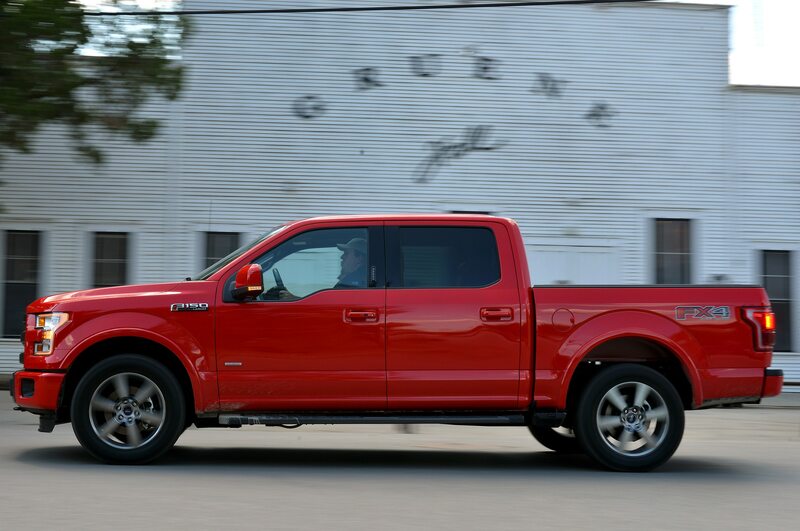 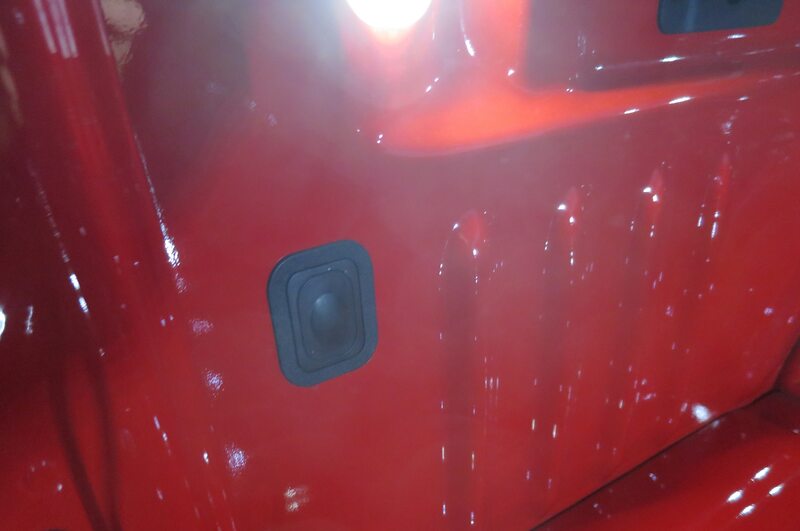 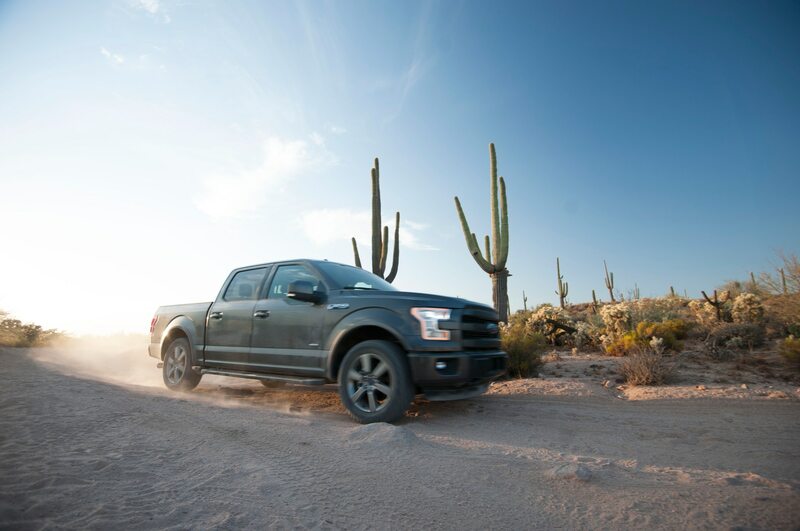 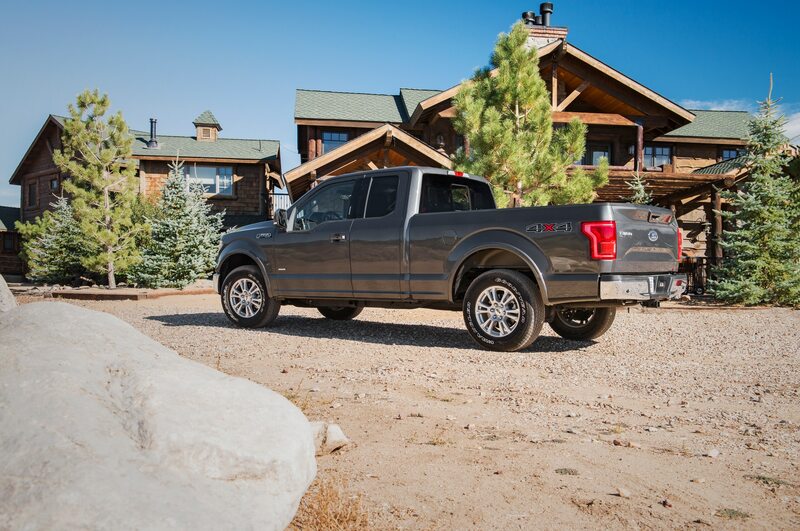 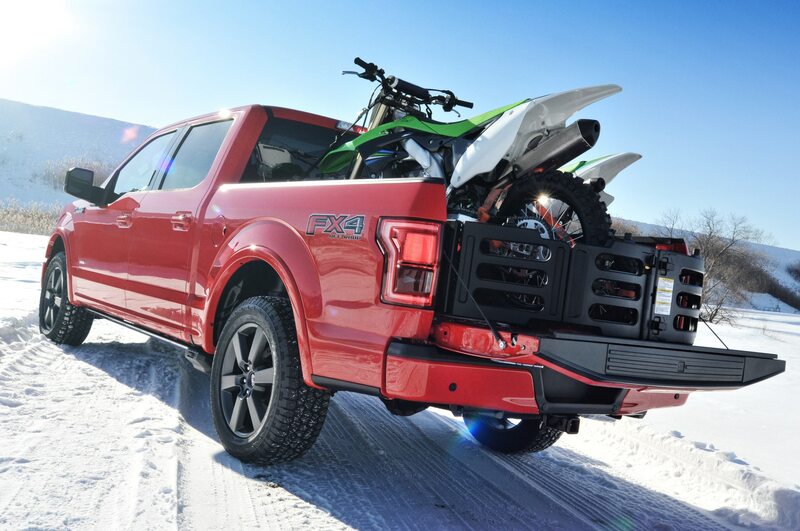 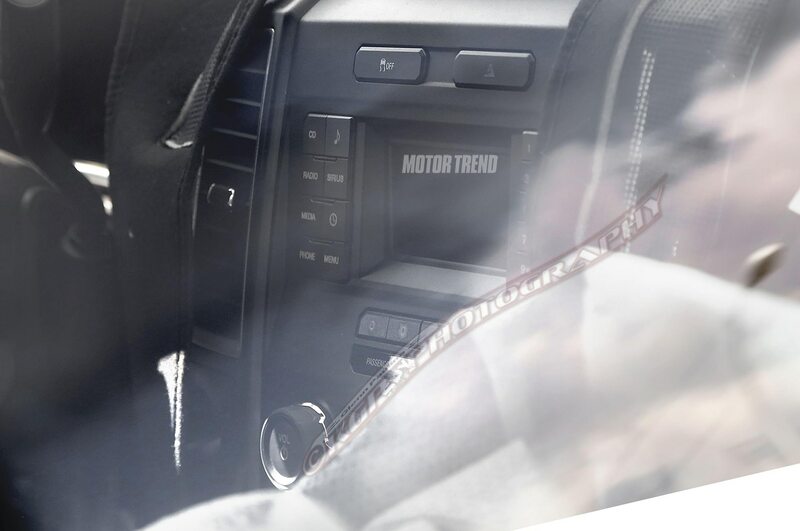 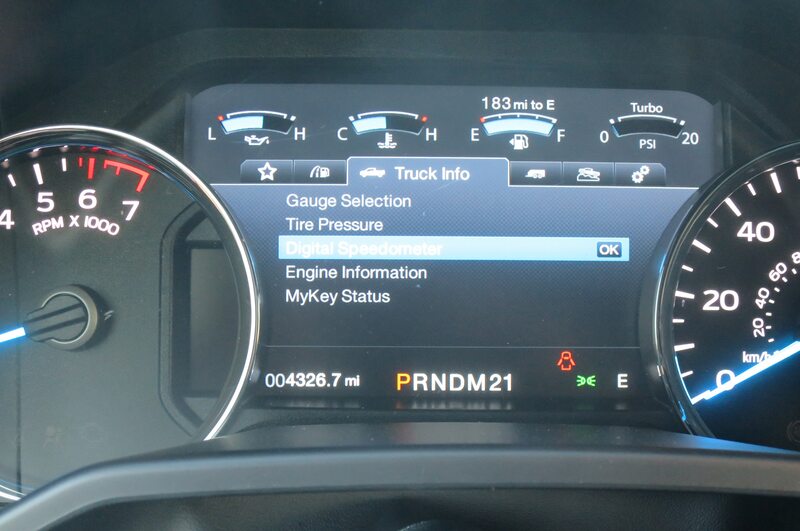 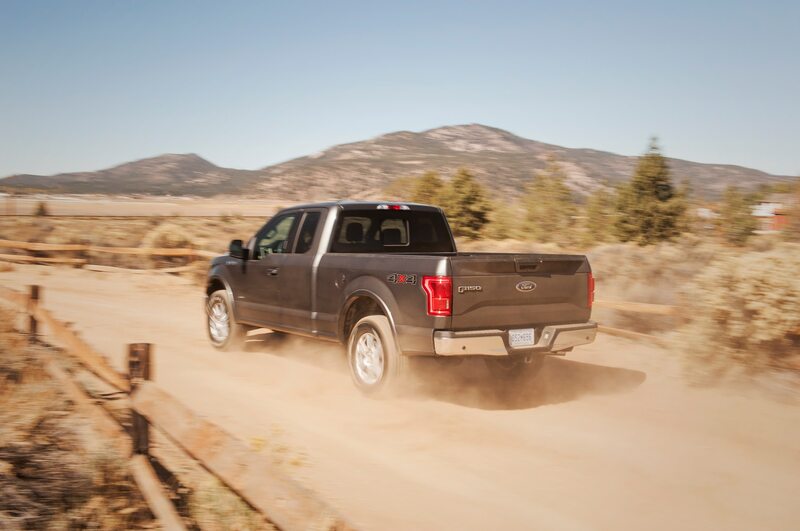 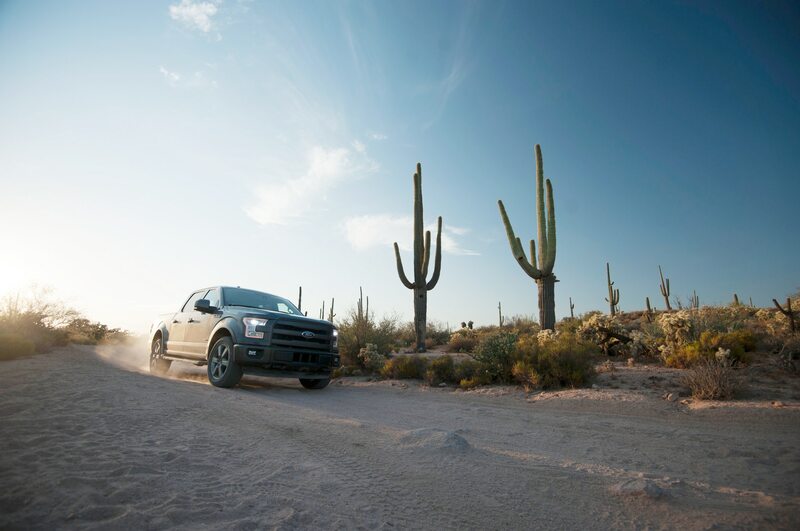 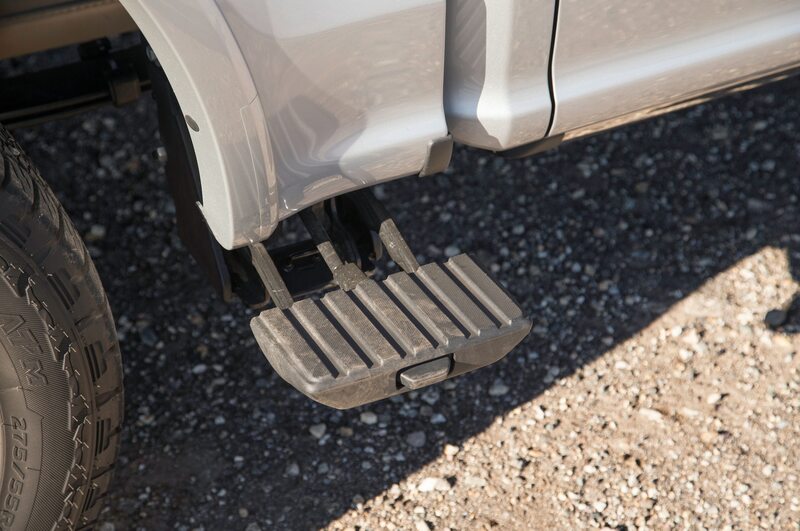 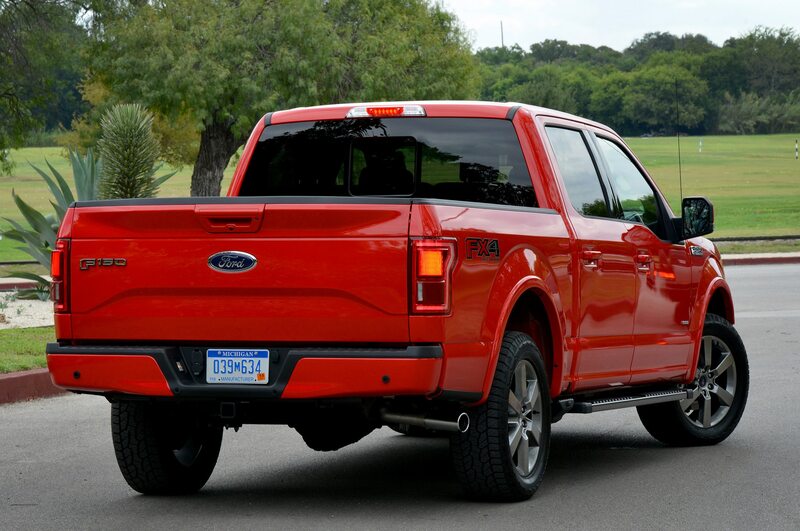 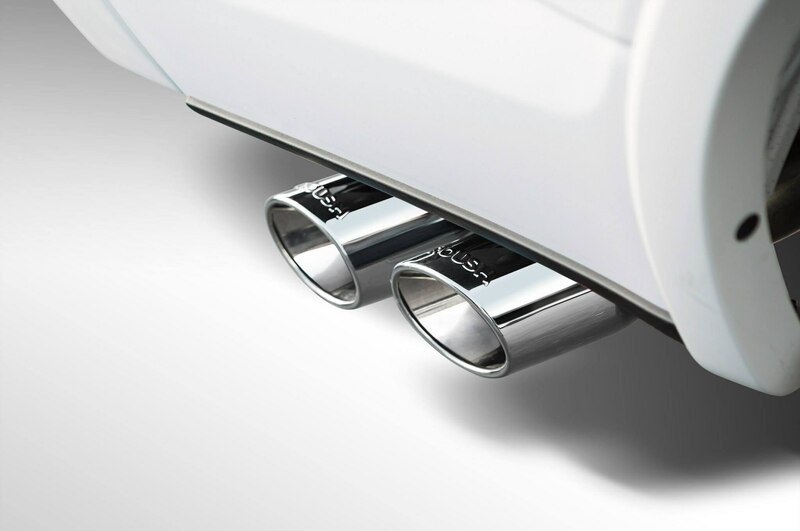 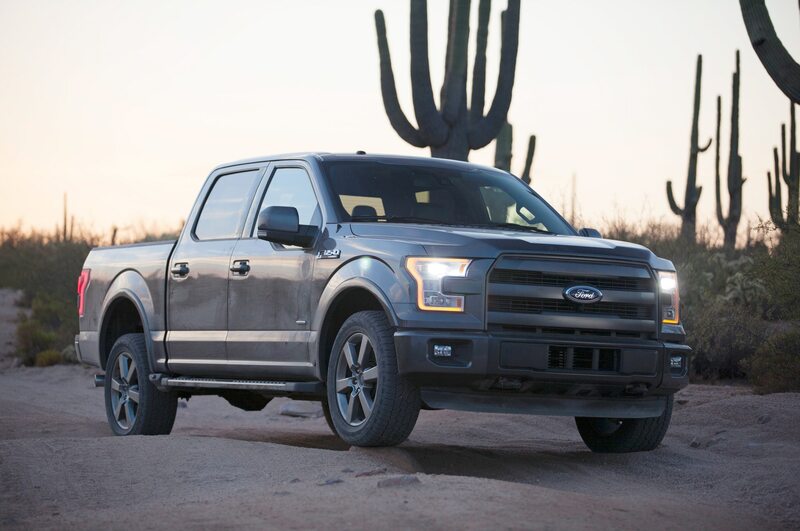 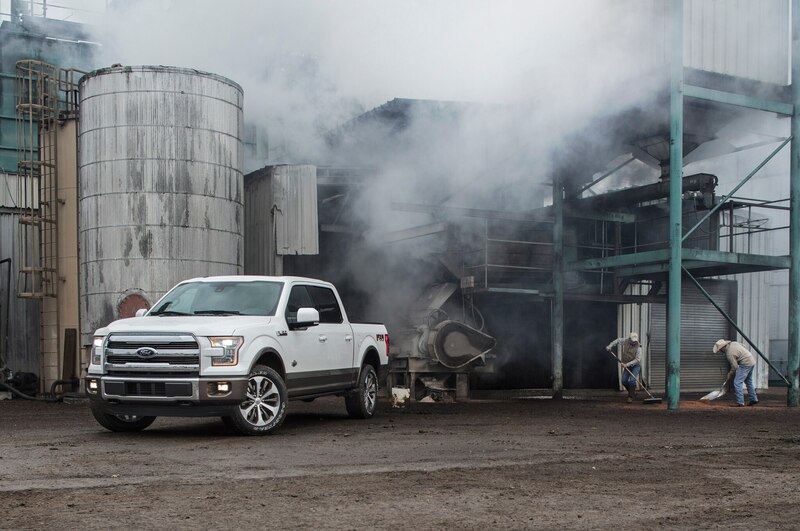 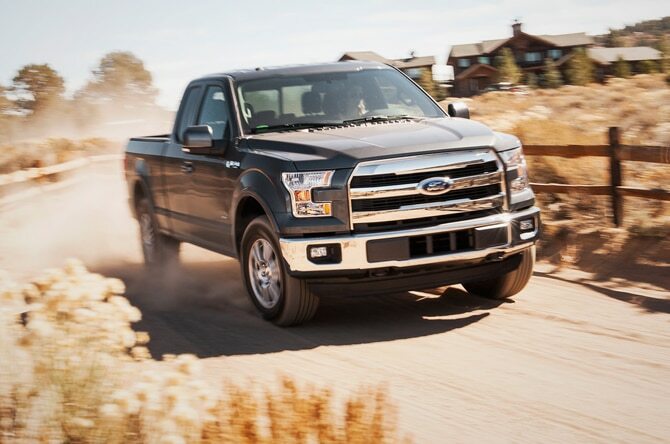 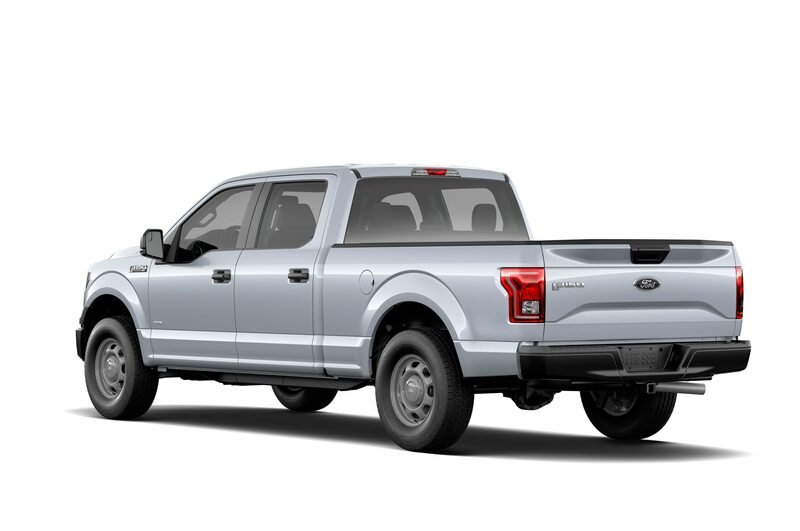 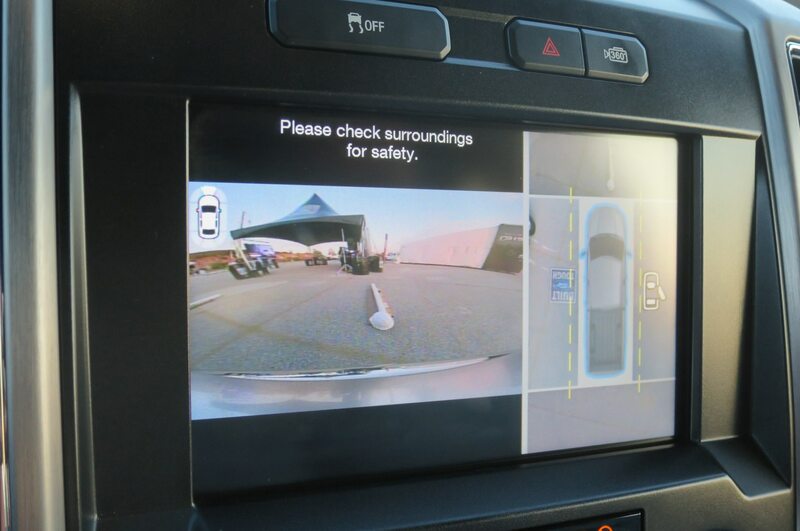 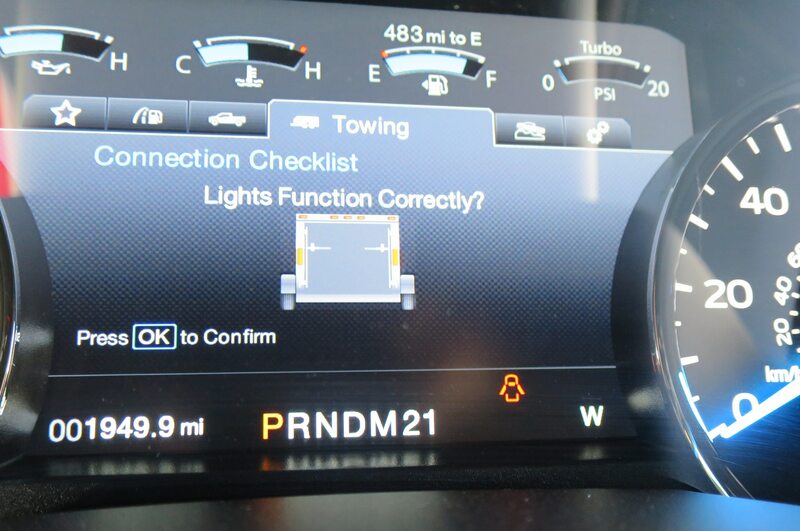 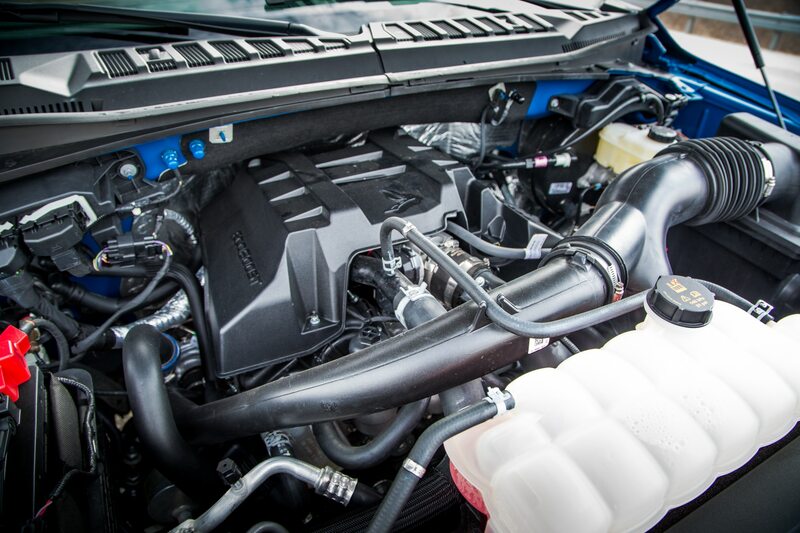 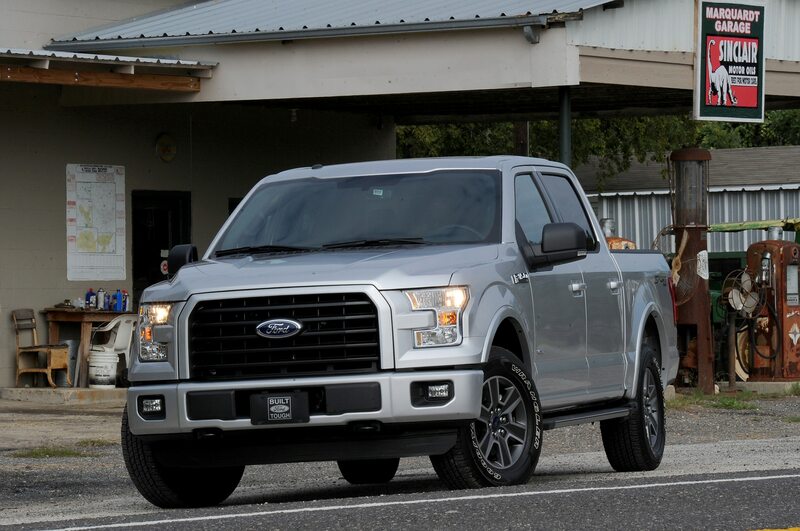 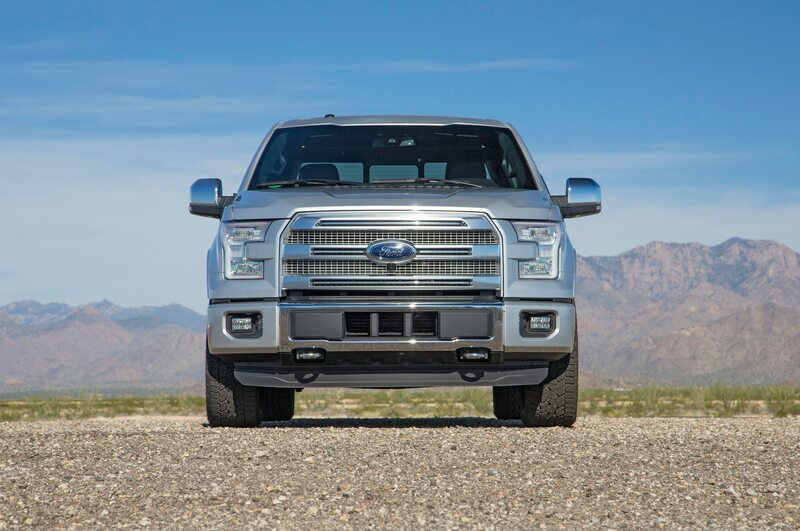 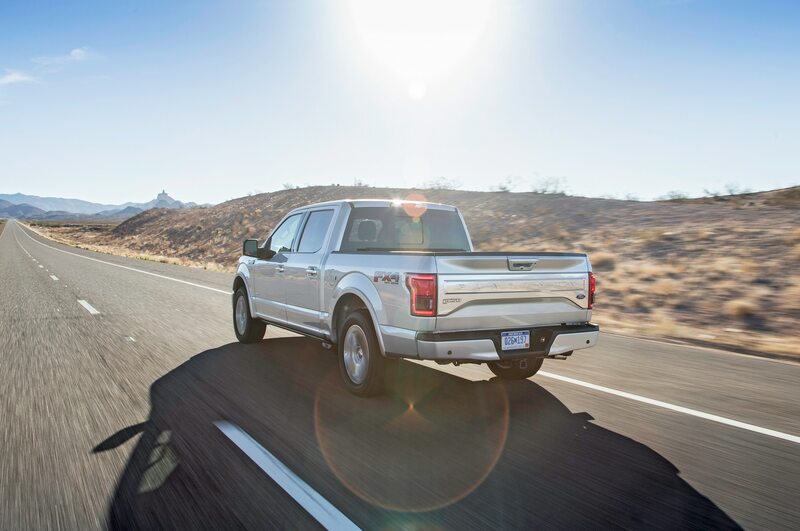 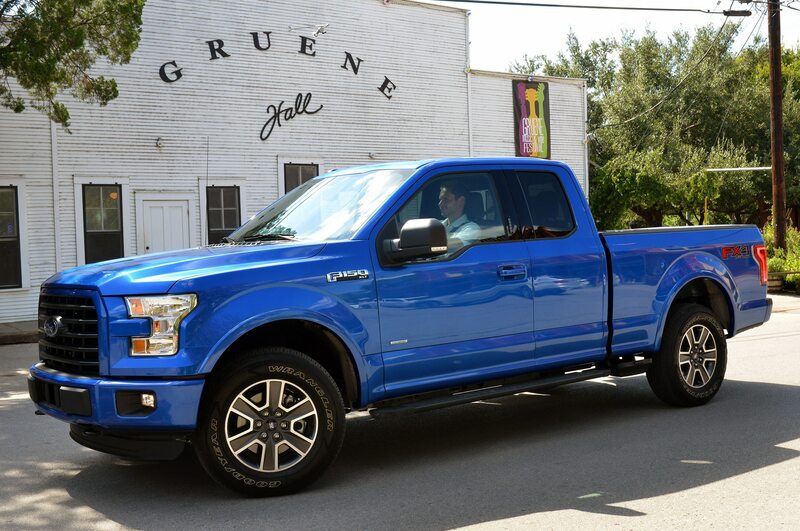 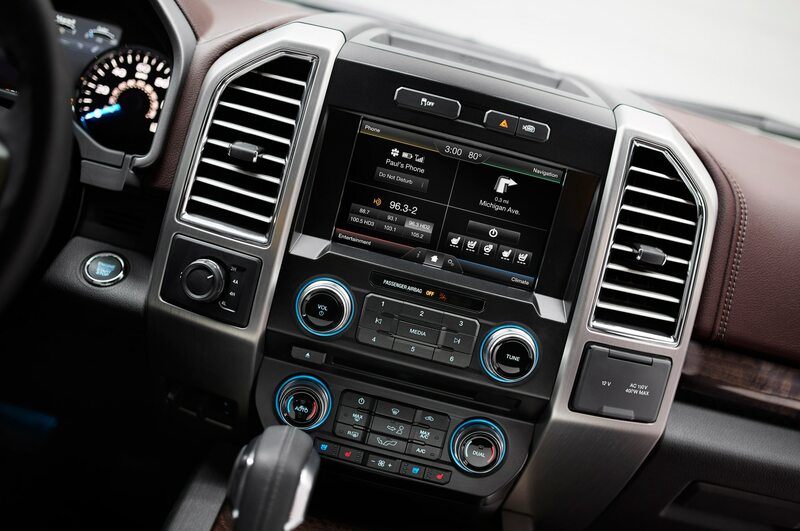 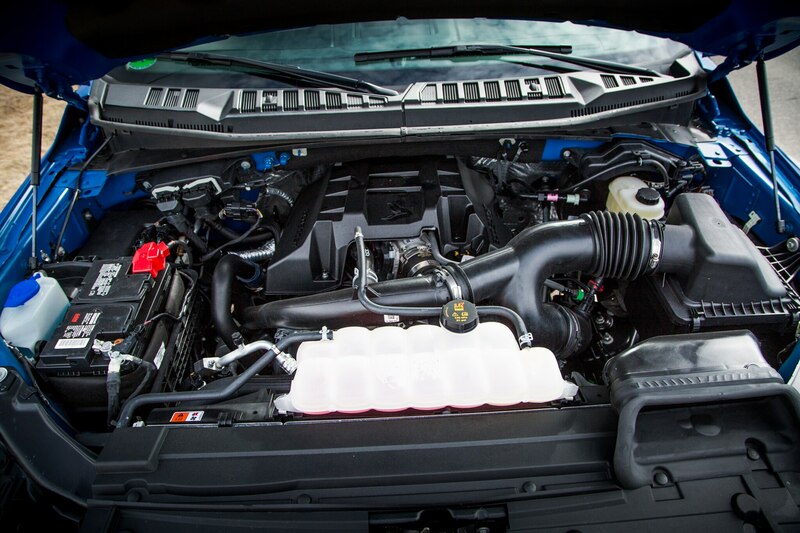 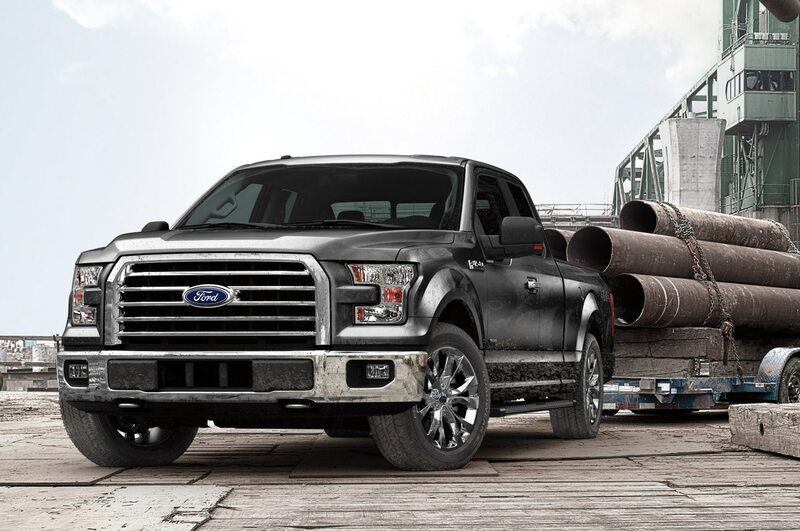 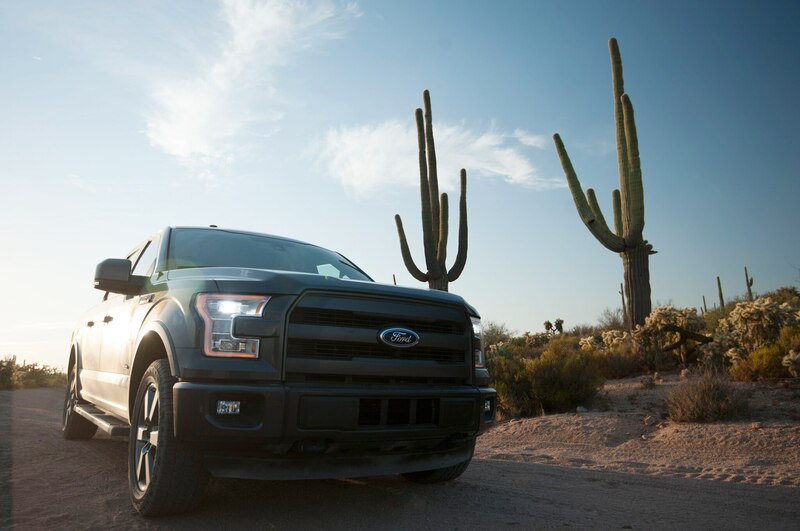 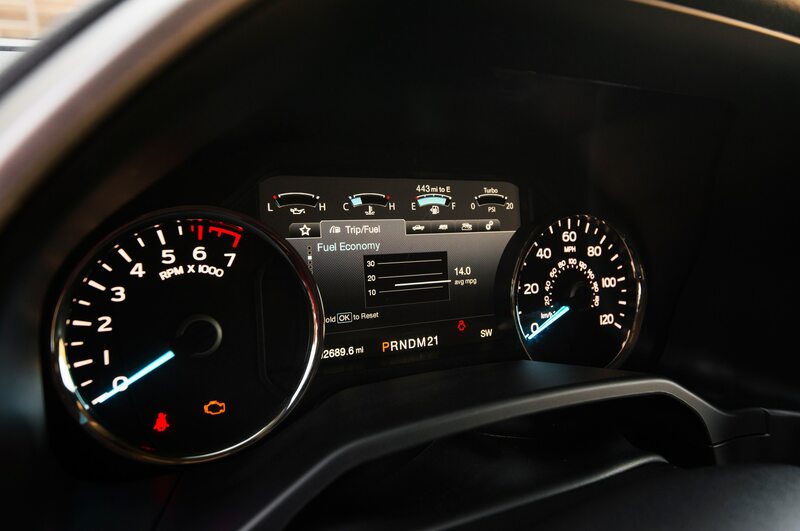 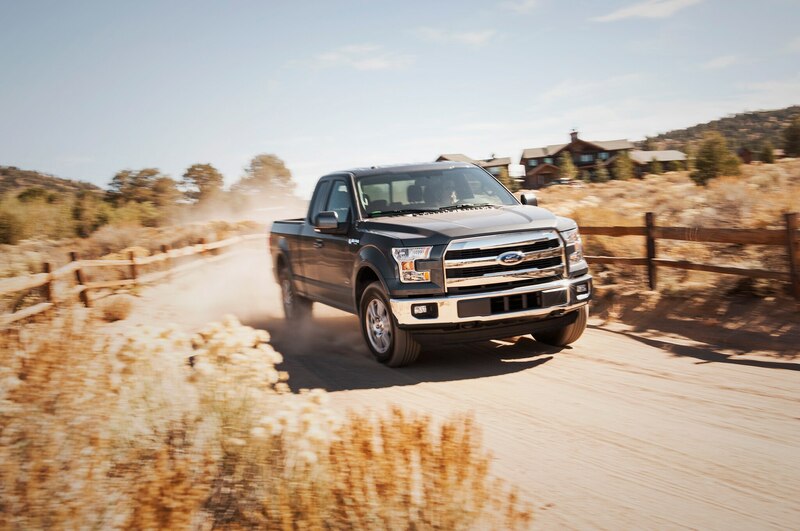 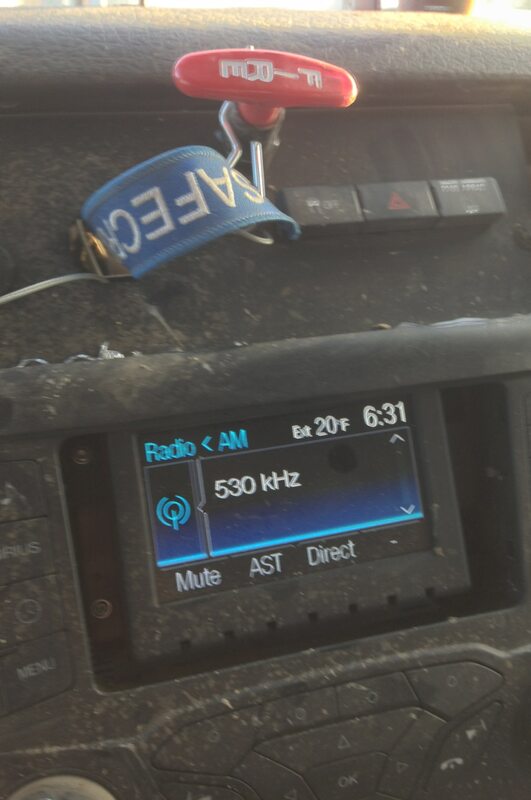 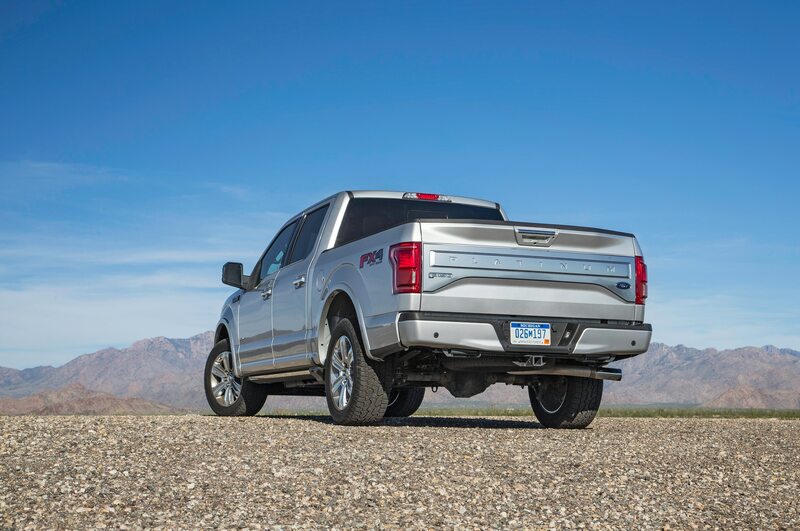 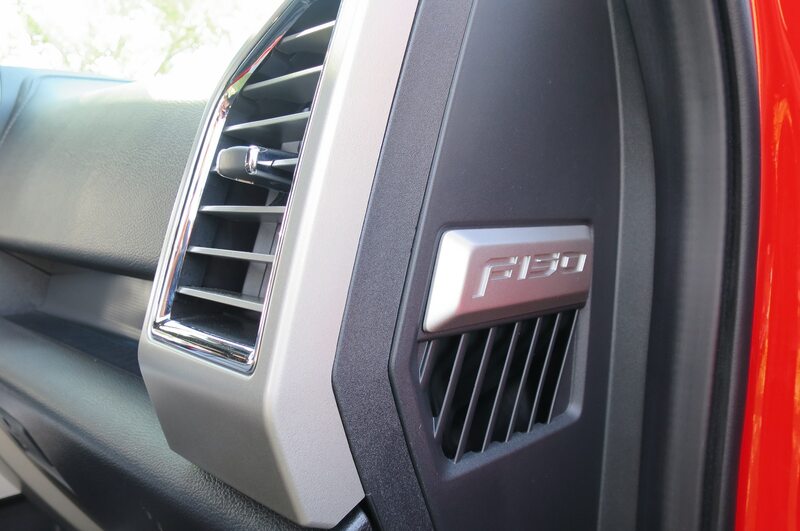 For improved aural sensation, the Roush 2015 Ford F-150 adds a side-exit exhaust system, which Roush says provides a deeper rumble for any of the F-150’s available engines. 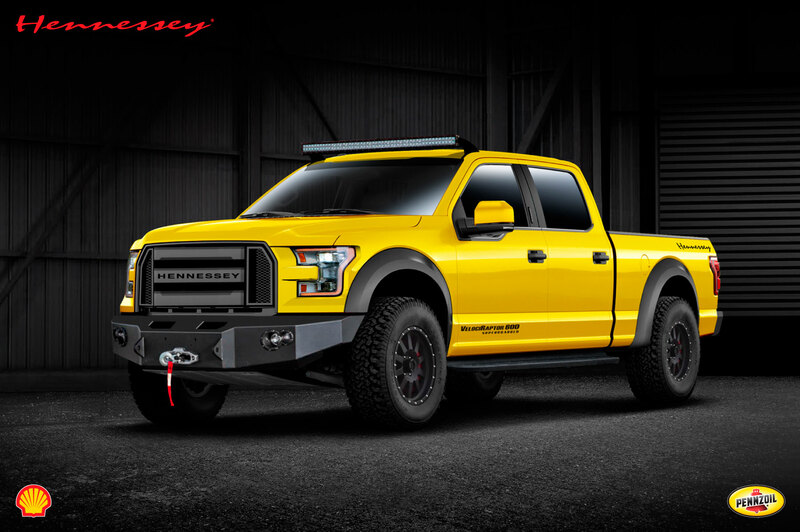 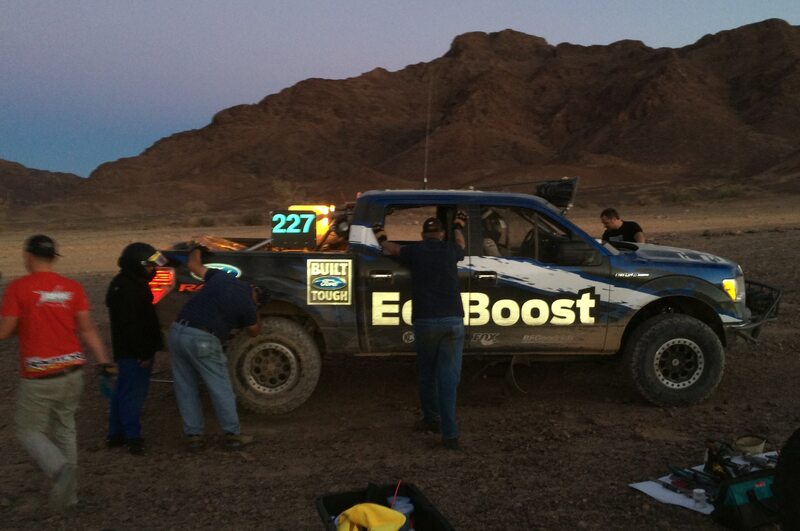 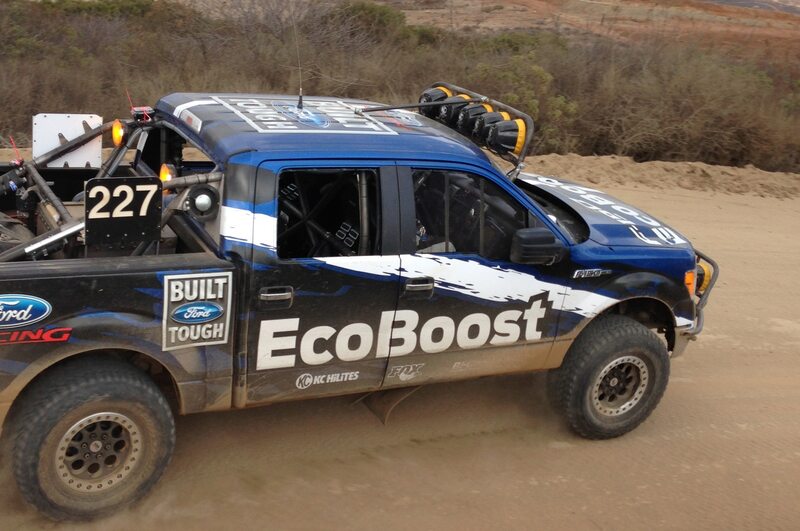 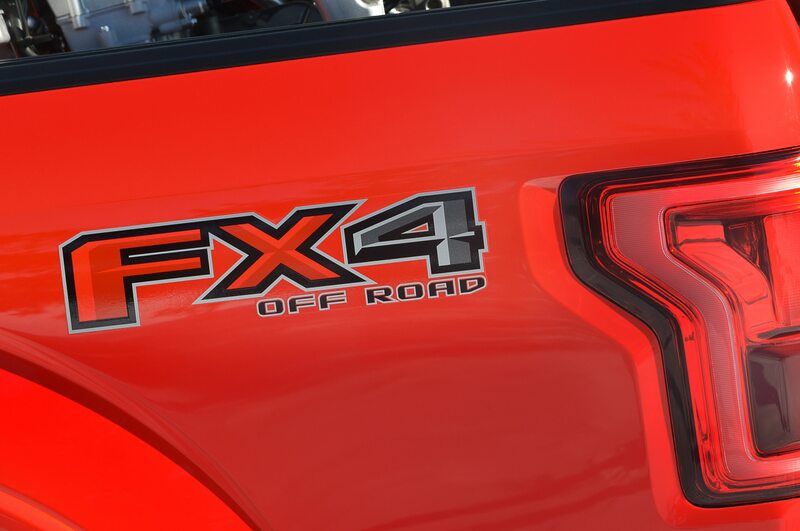 Fox will also provide a custom internal bypass shocks to the suspension on the upcoming 2017 Ford F-150 SVT Raptor. 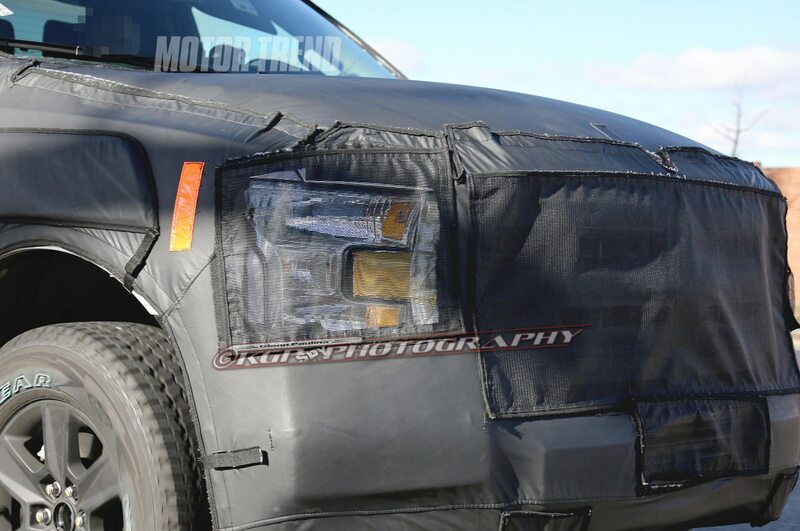 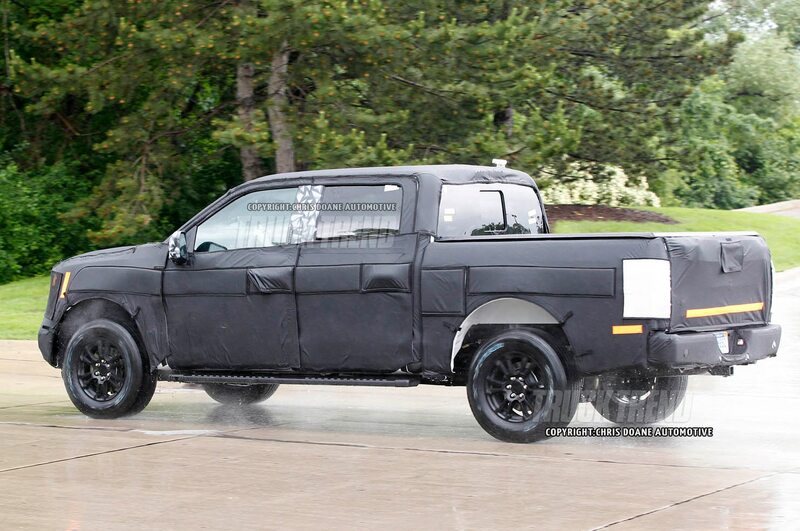 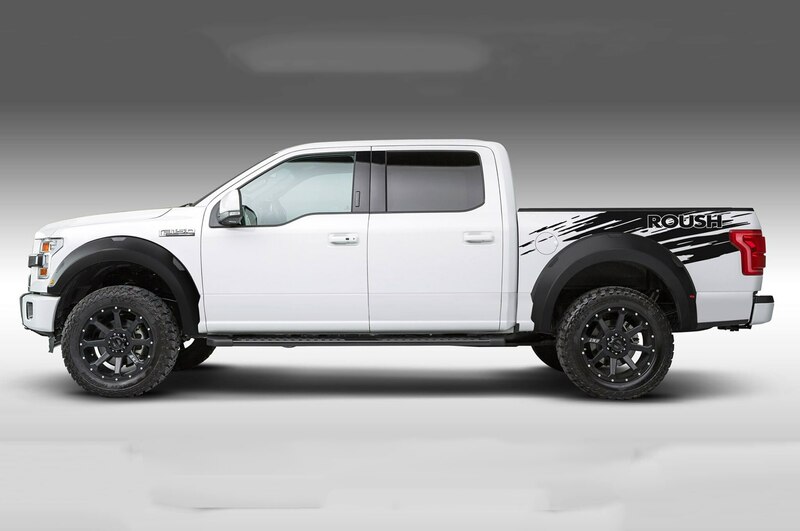 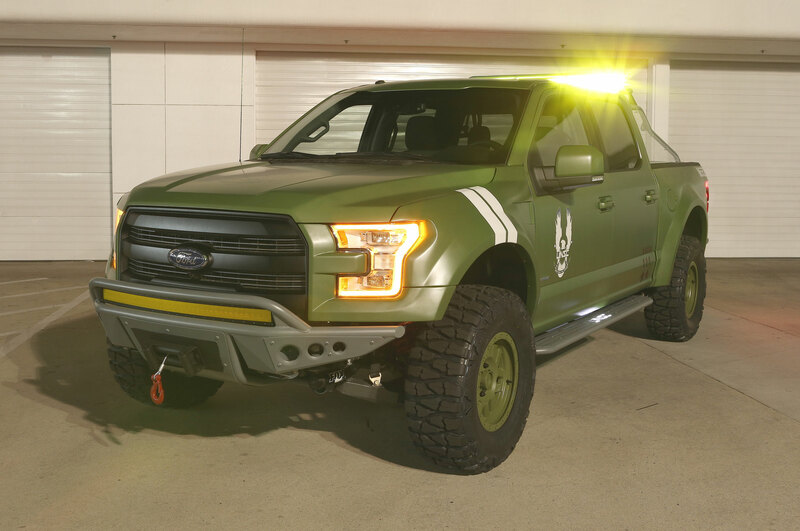 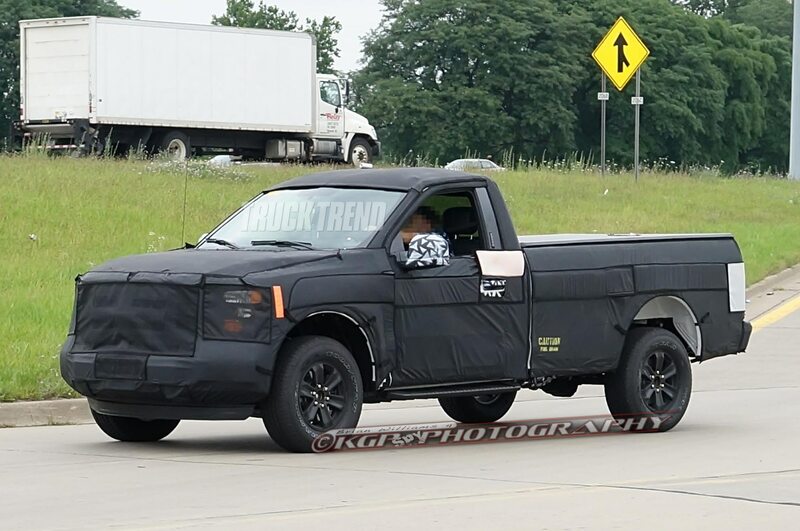 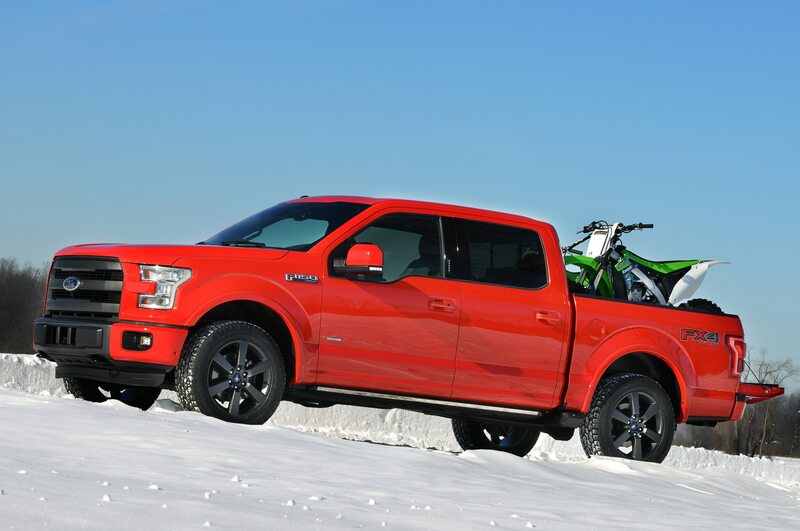 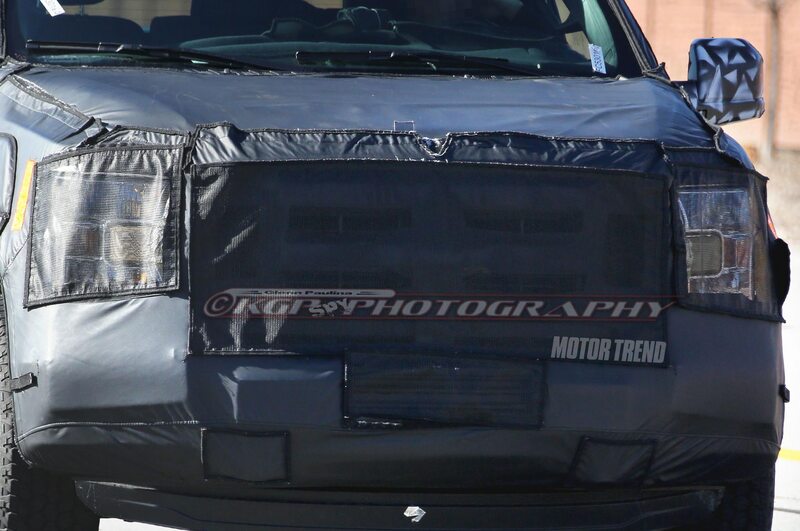 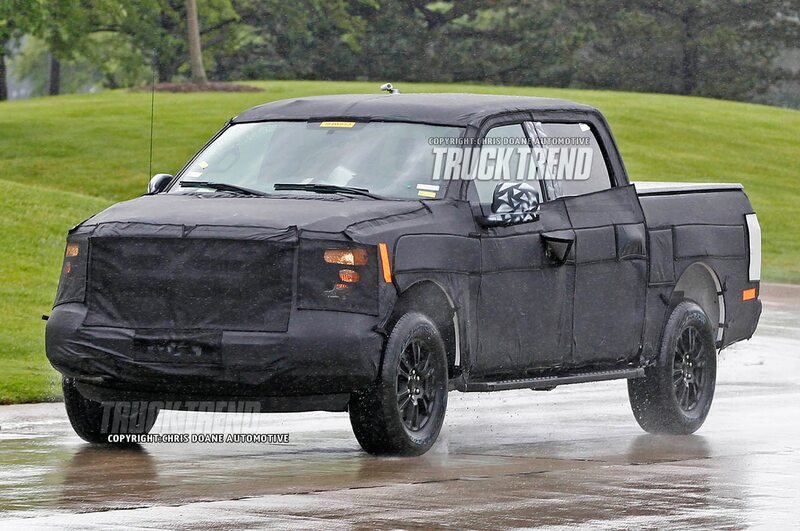 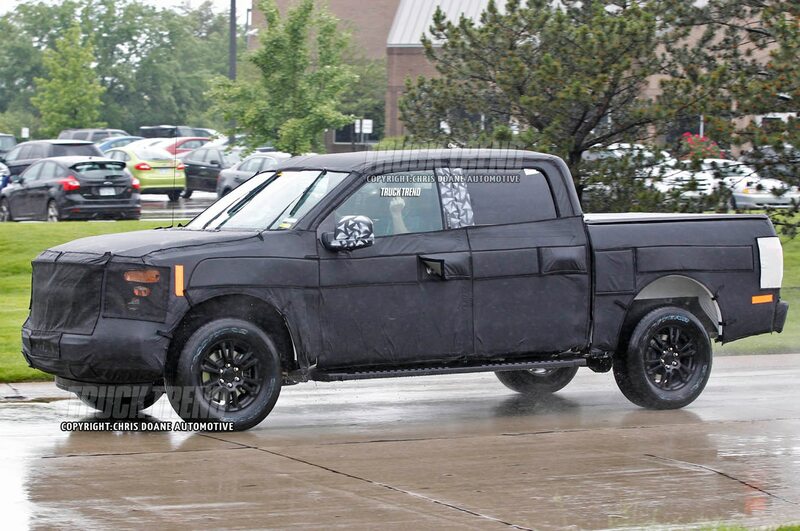 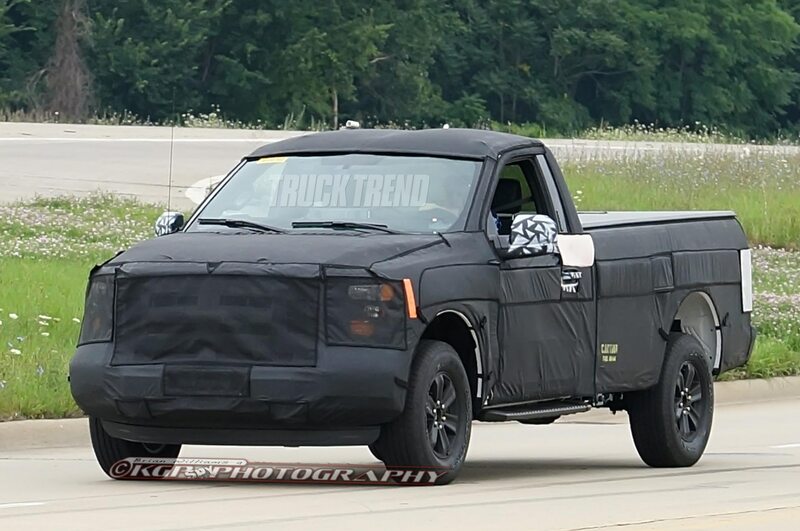 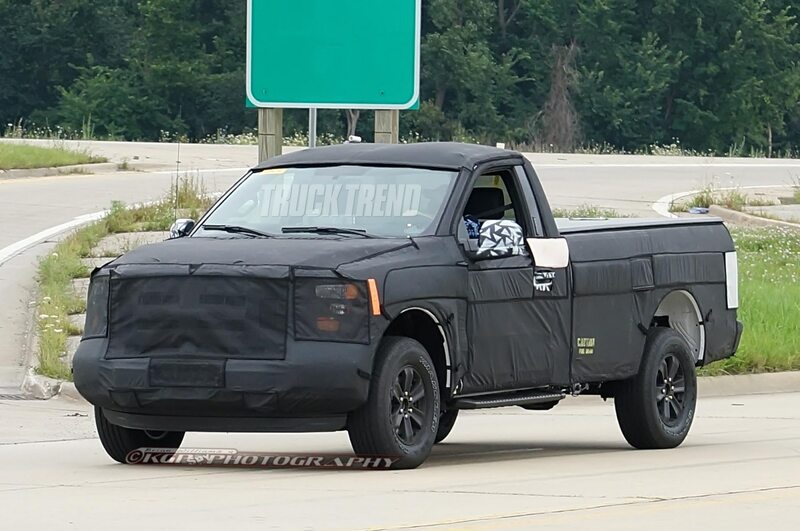 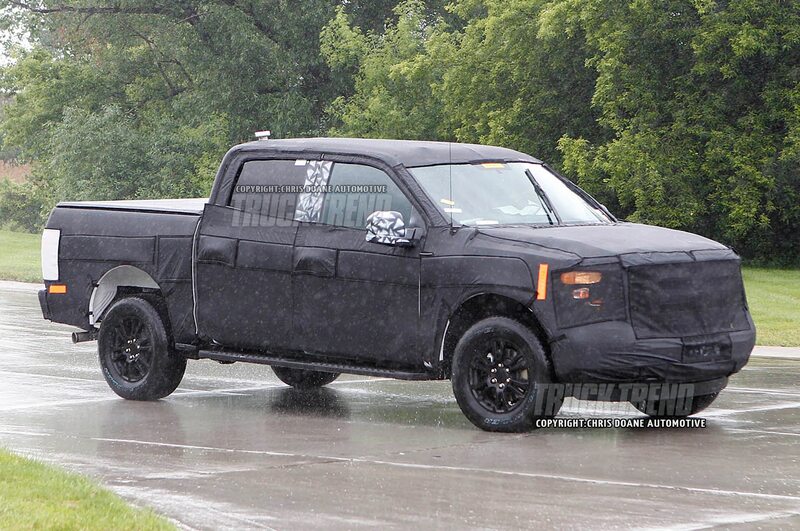 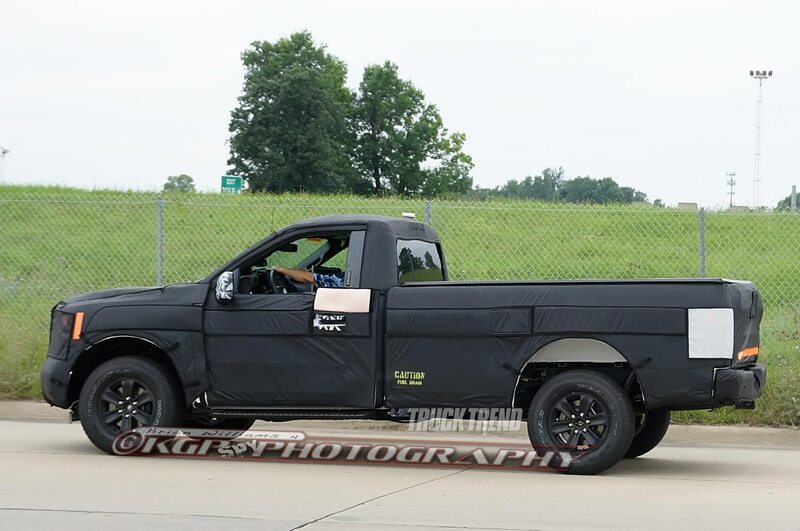 No doubt when the Raptor arrives some time in 2016, Roush will find a way to get a hold of one, like it did with the last F-150 SVT Raptor pickup. 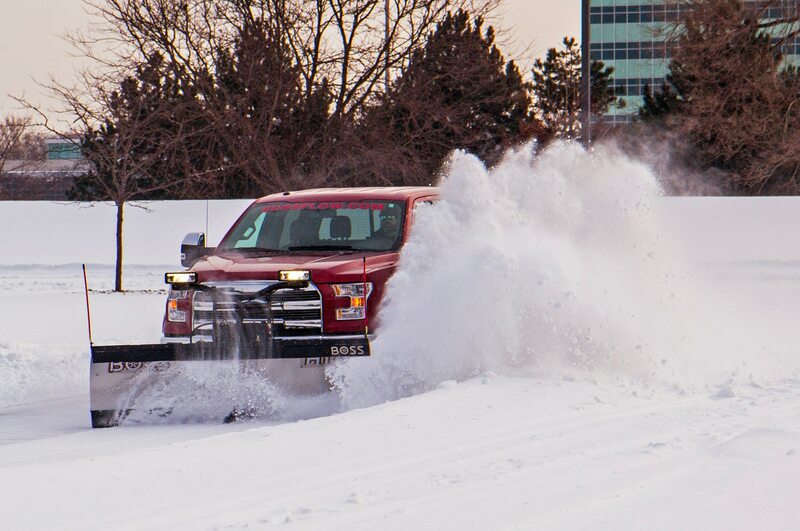 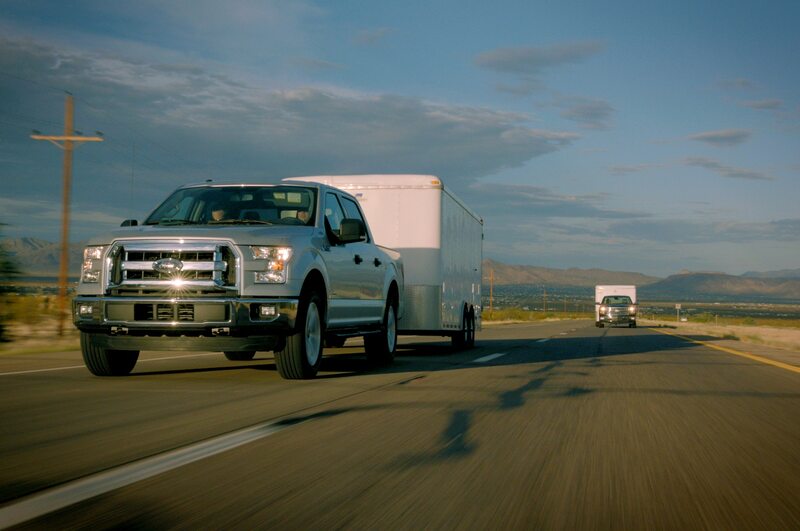 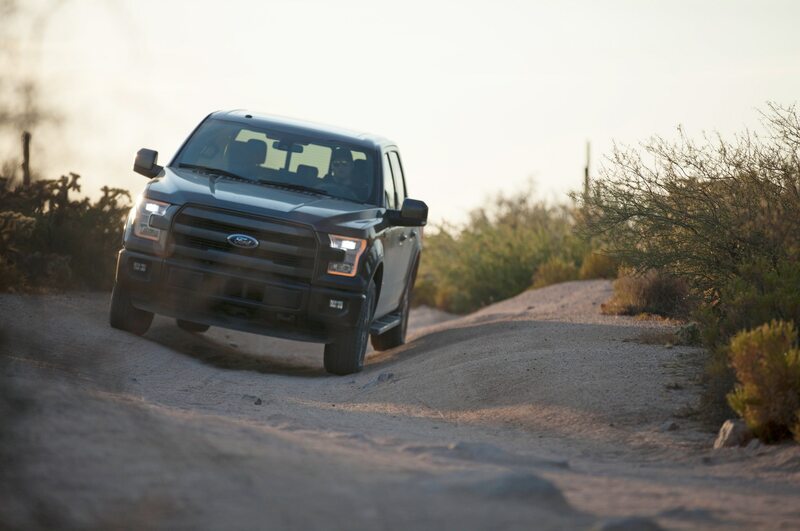 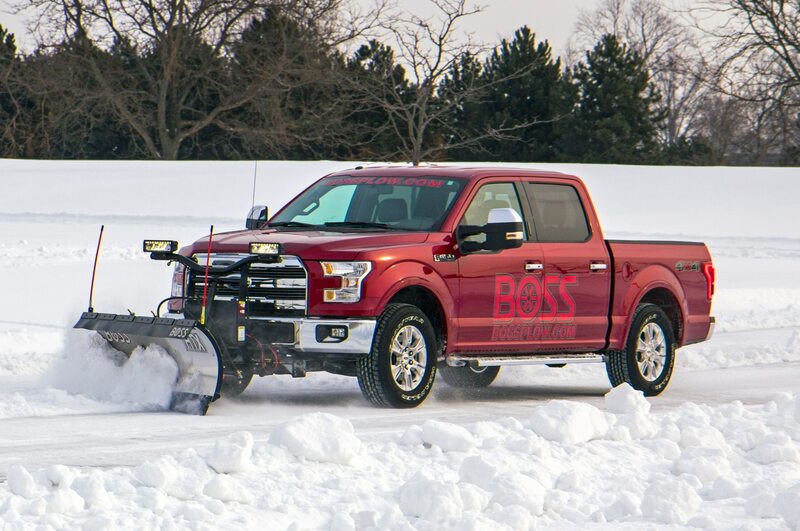 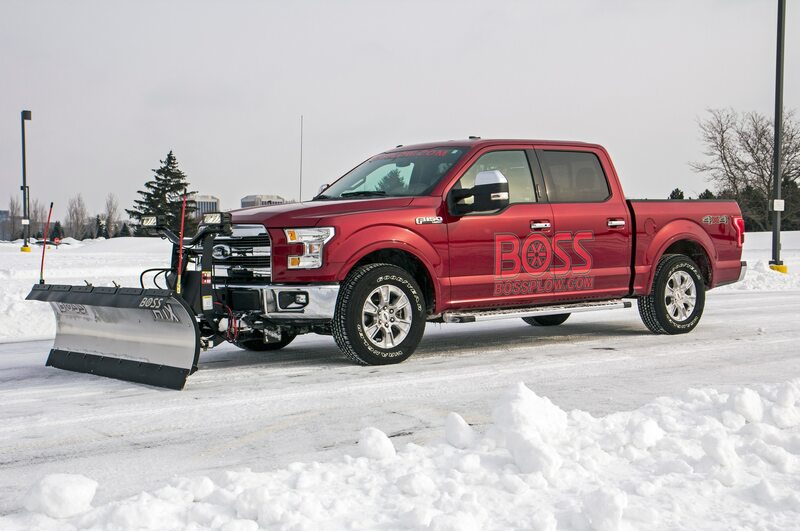 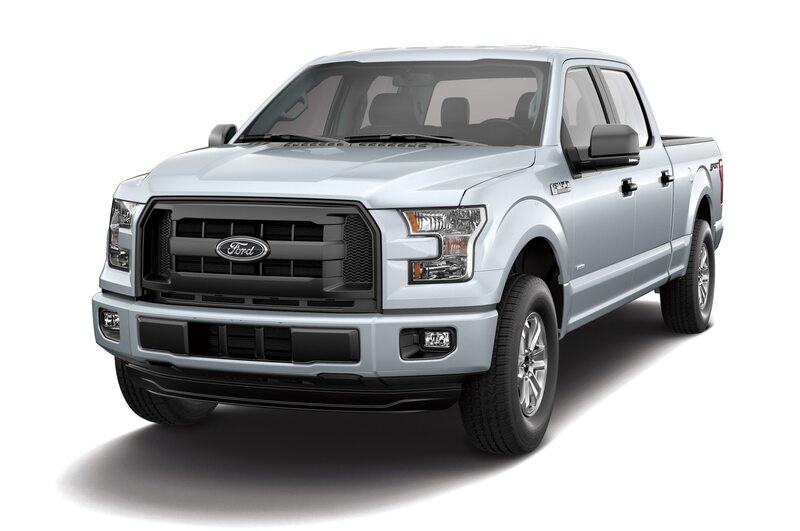 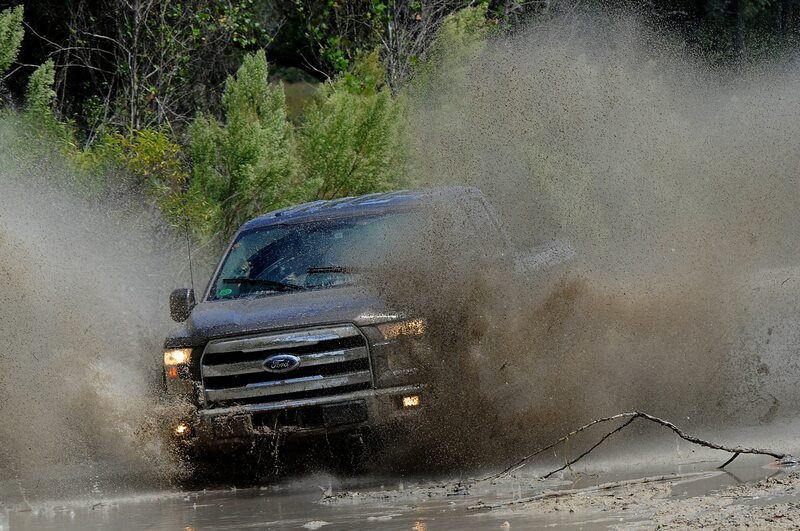 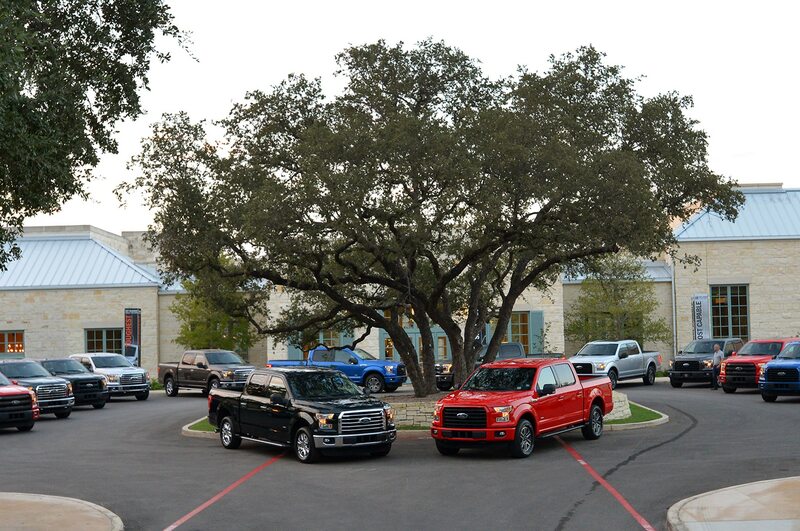 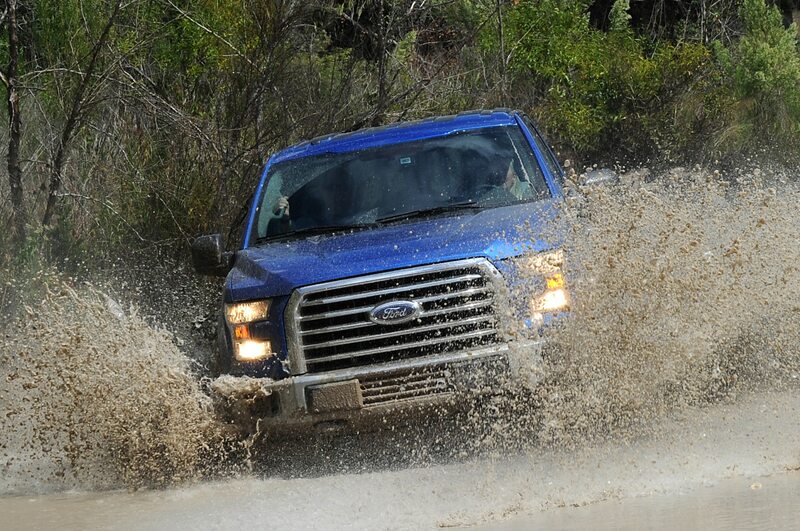 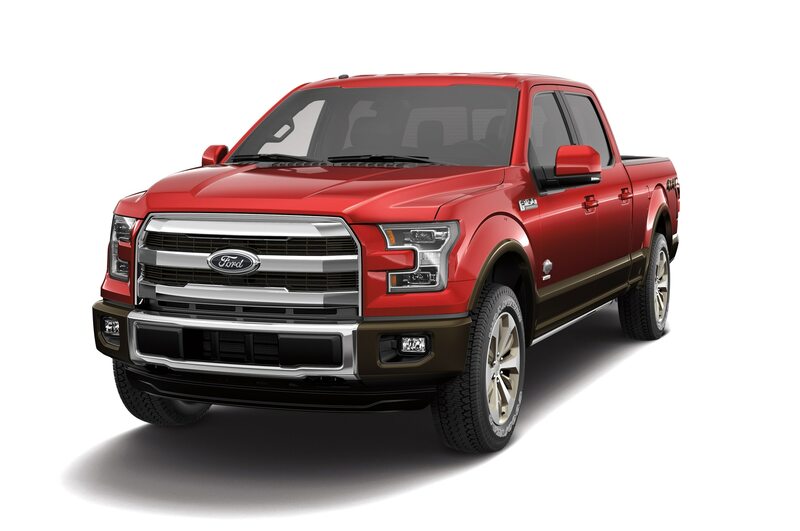 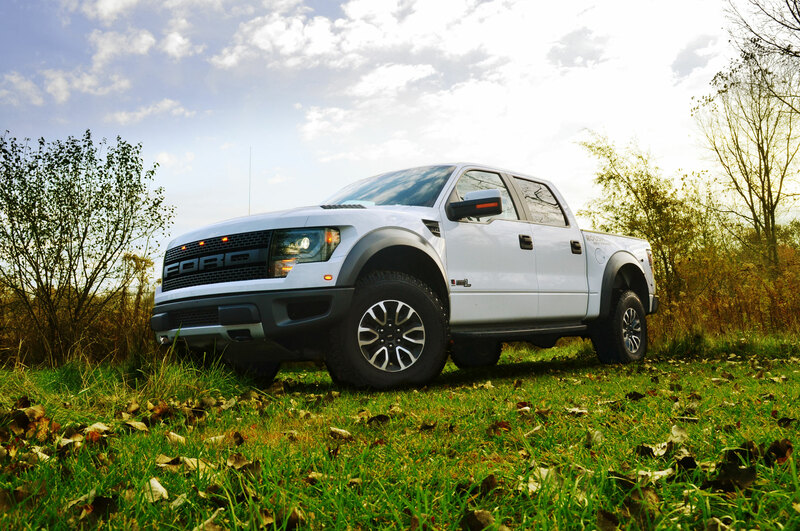 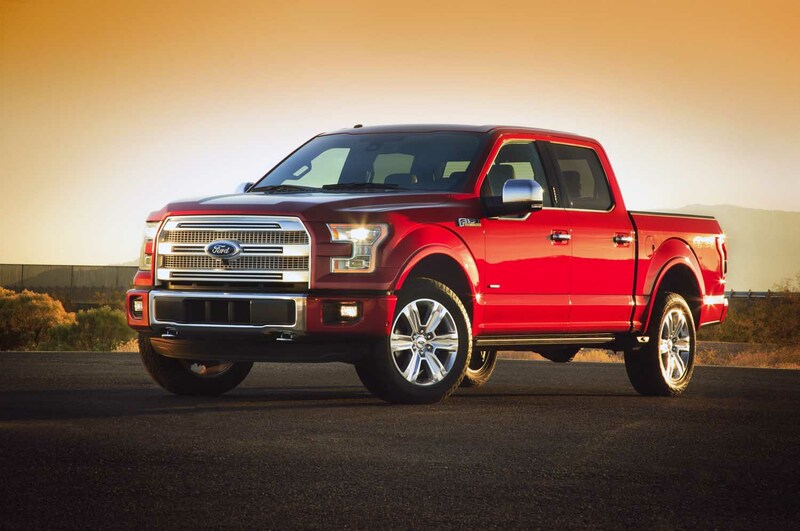 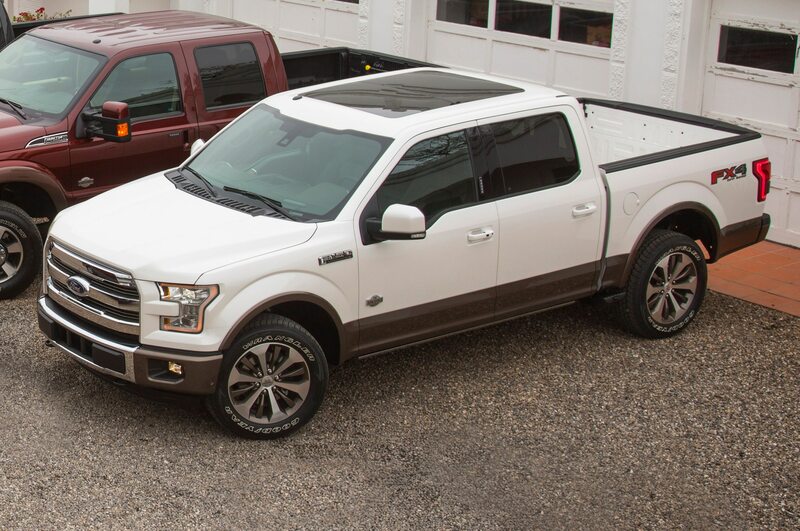 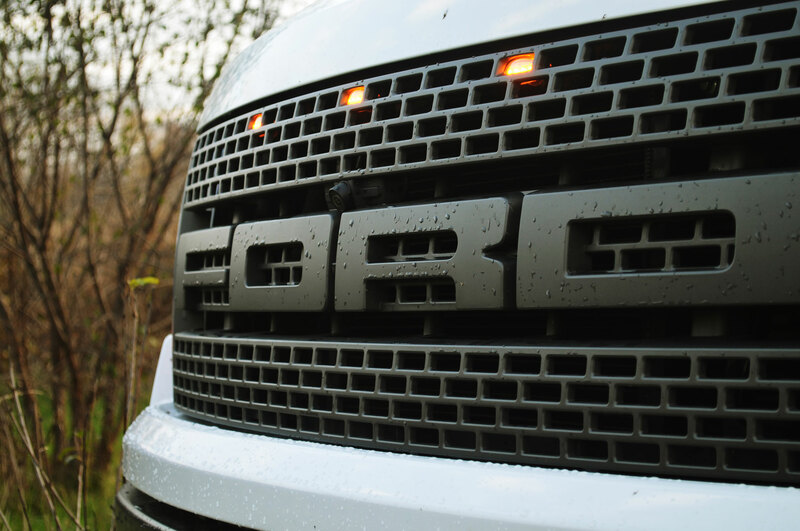 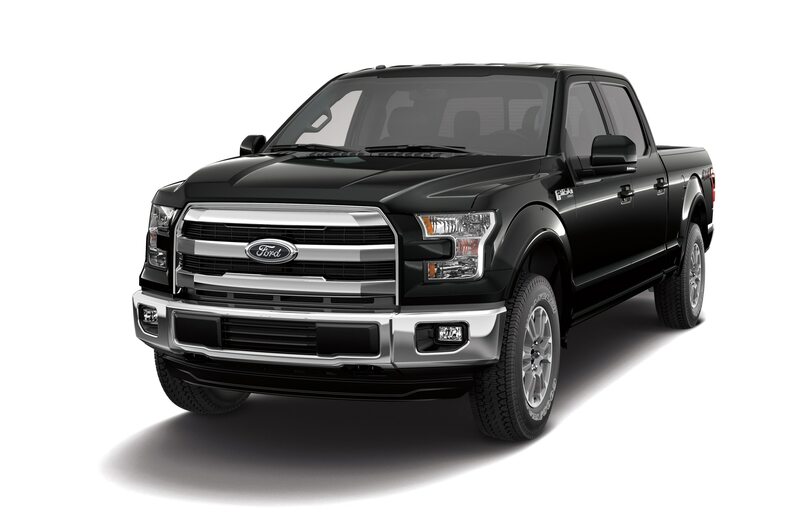 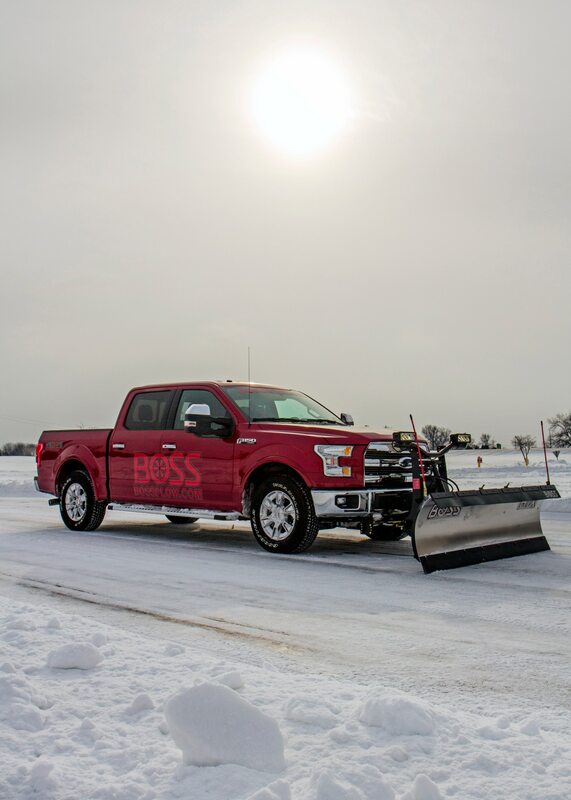 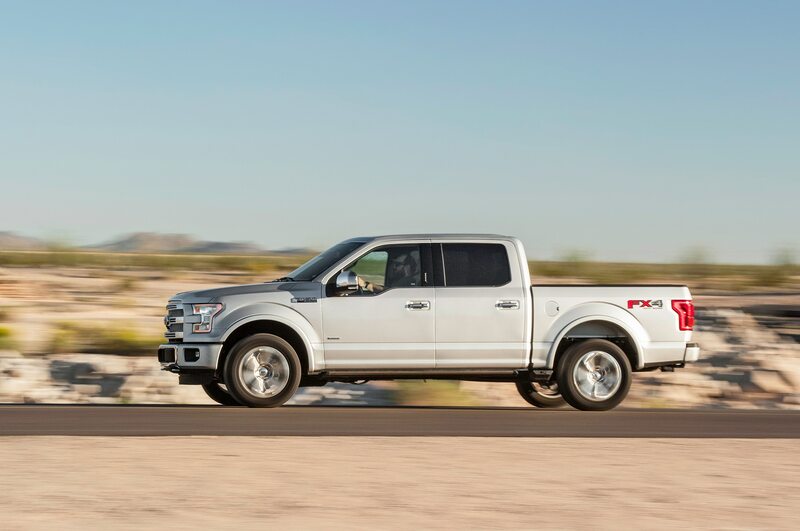 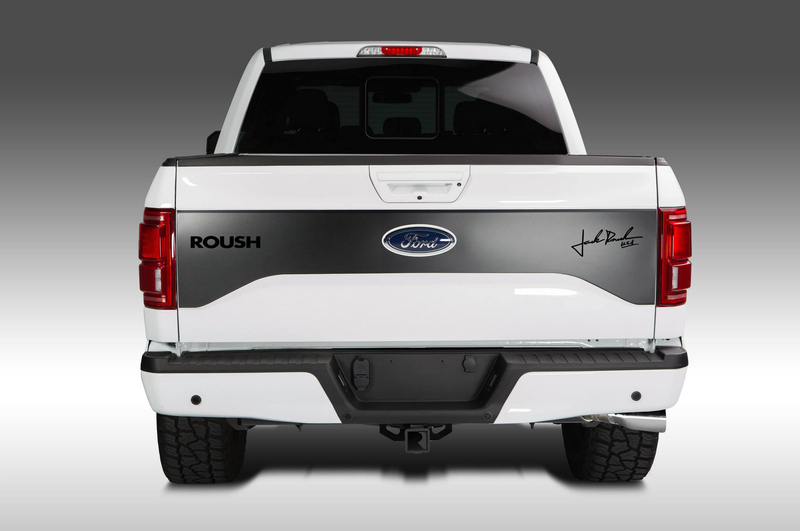 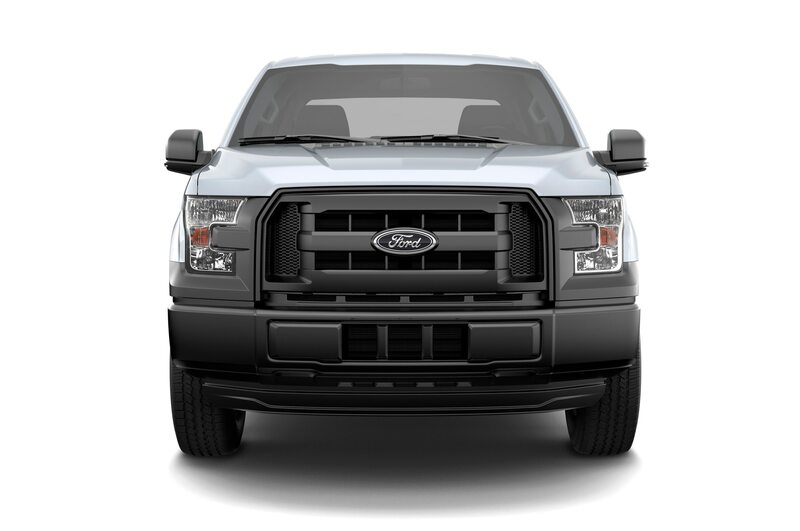 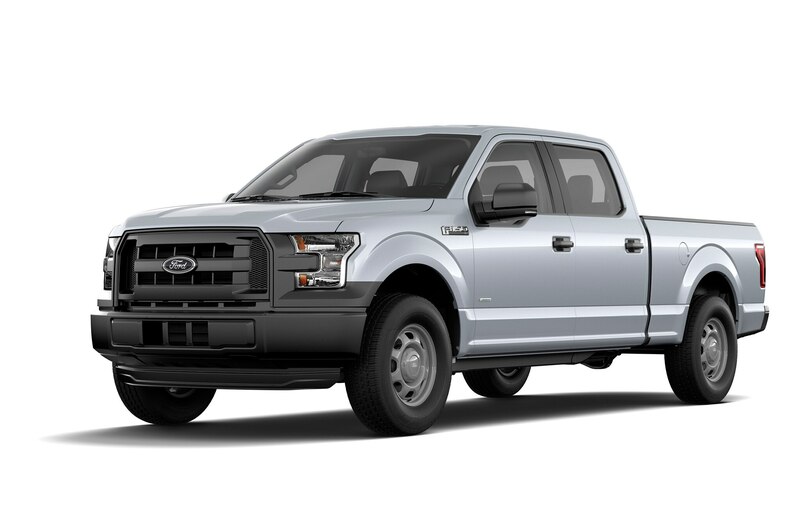 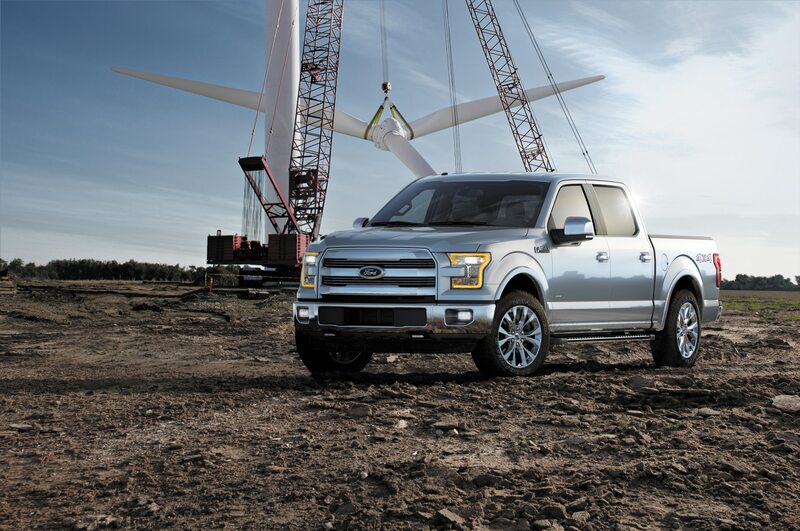 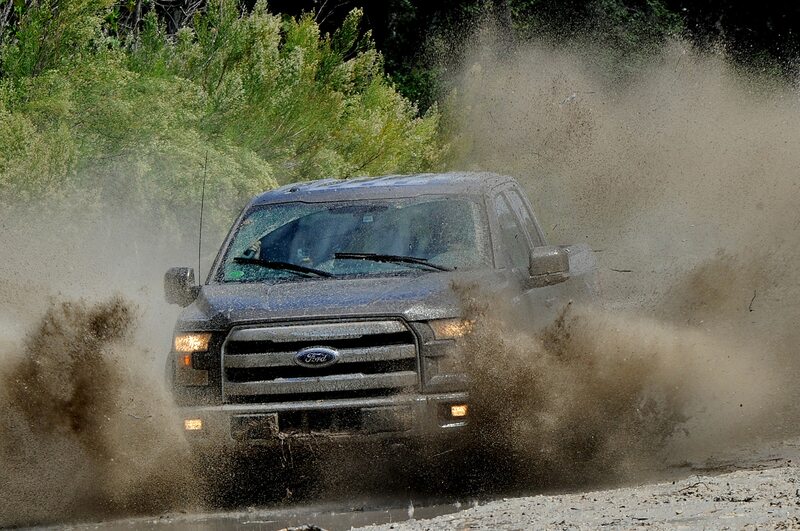 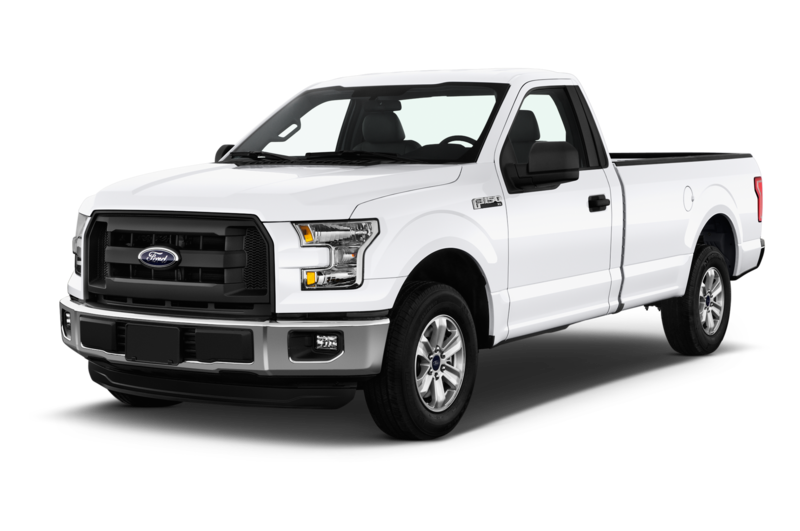 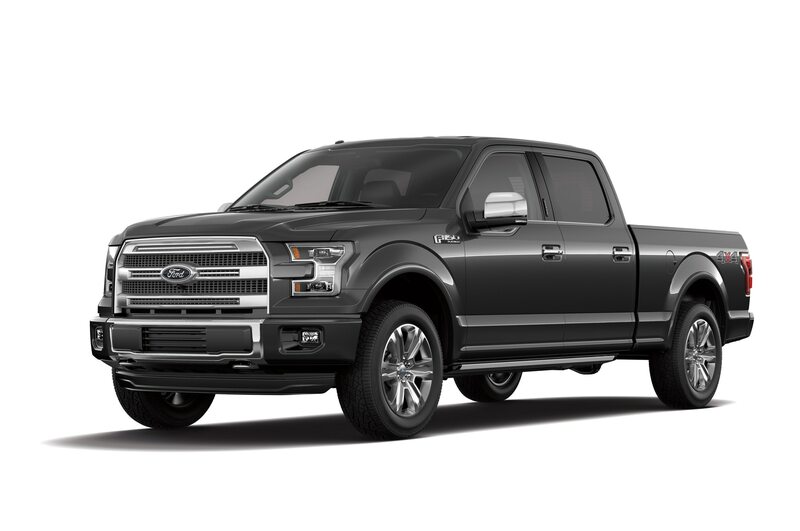 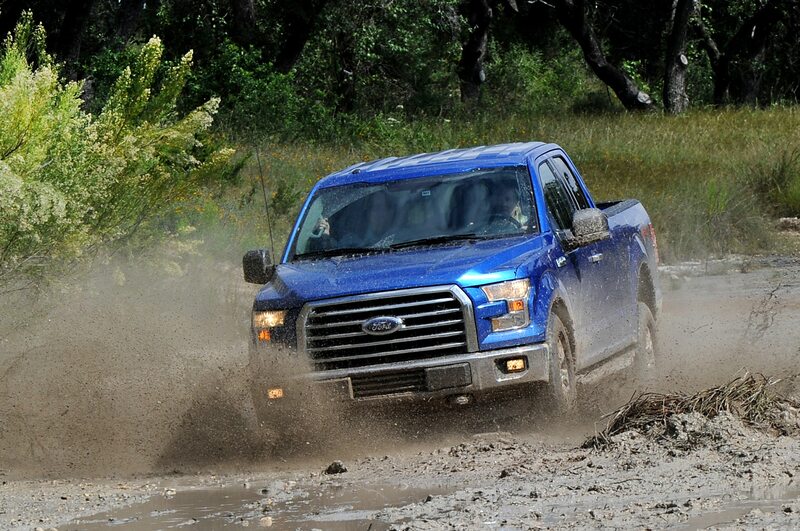 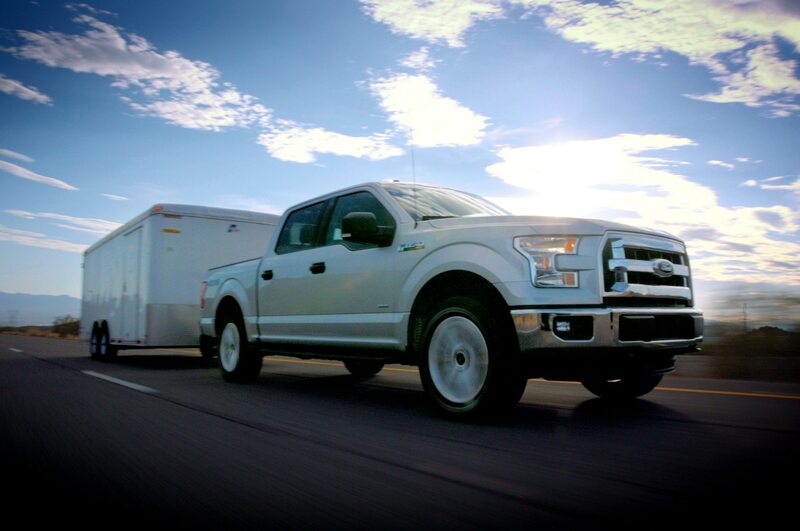 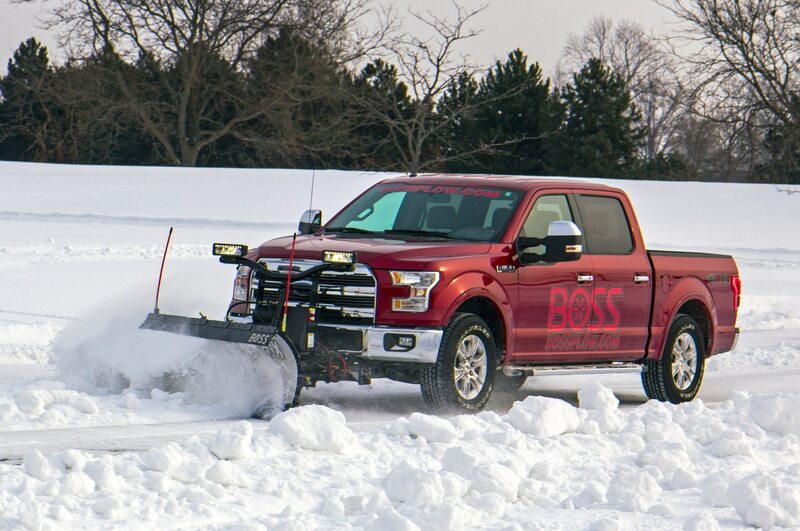 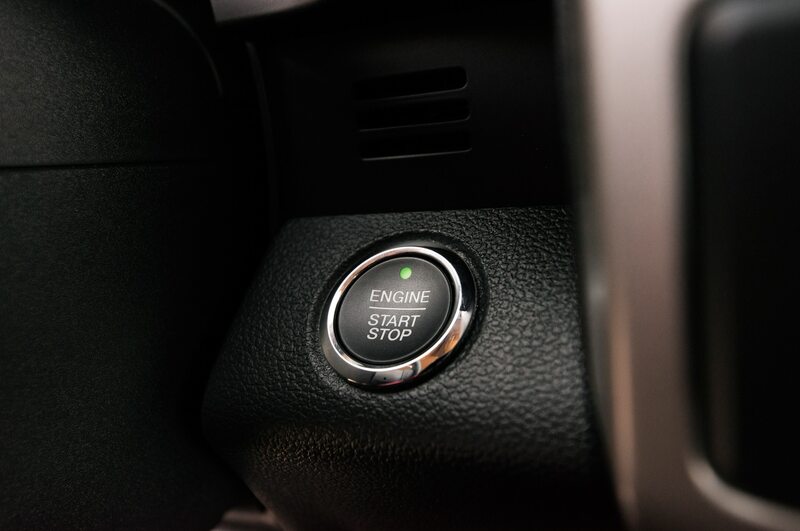 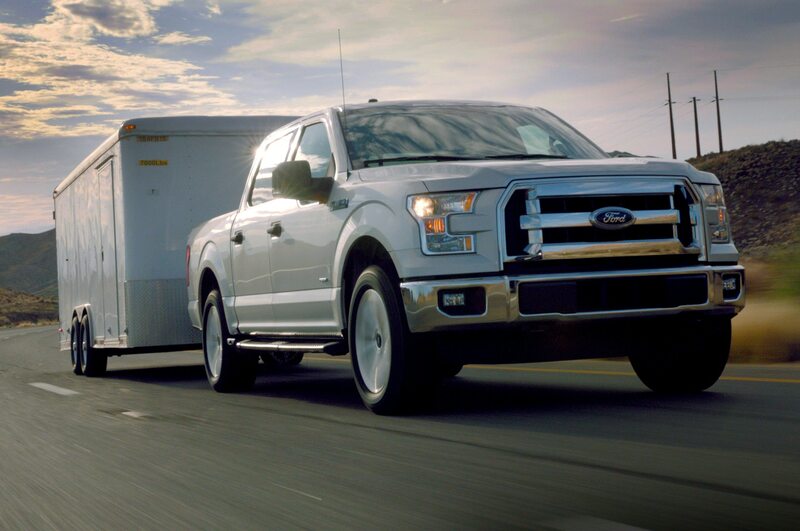 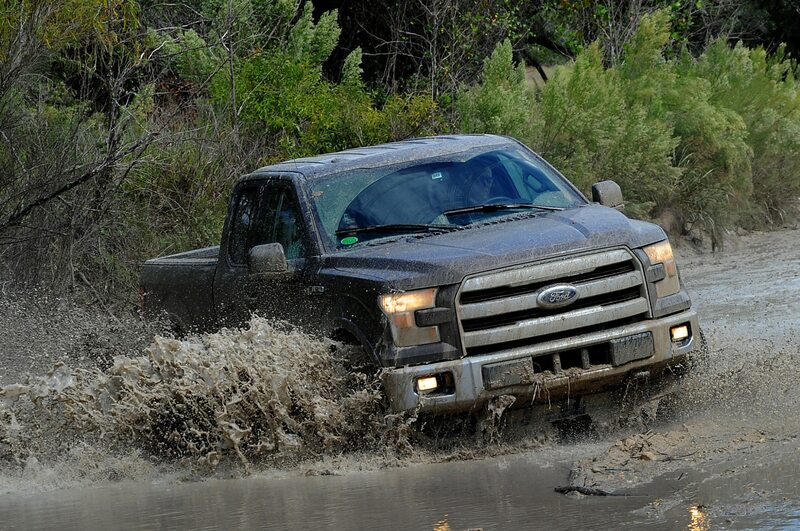 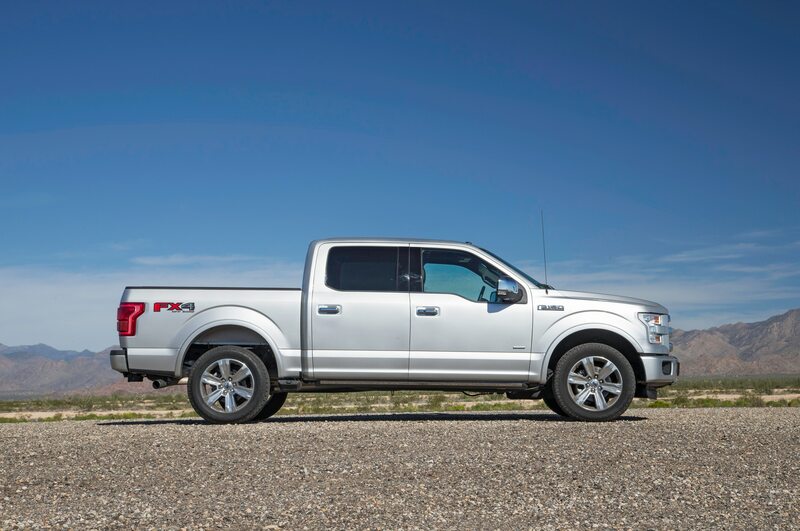 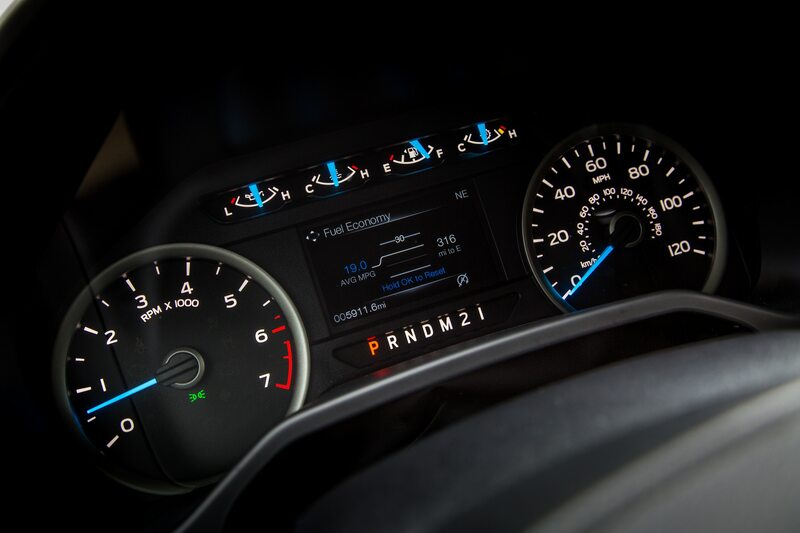 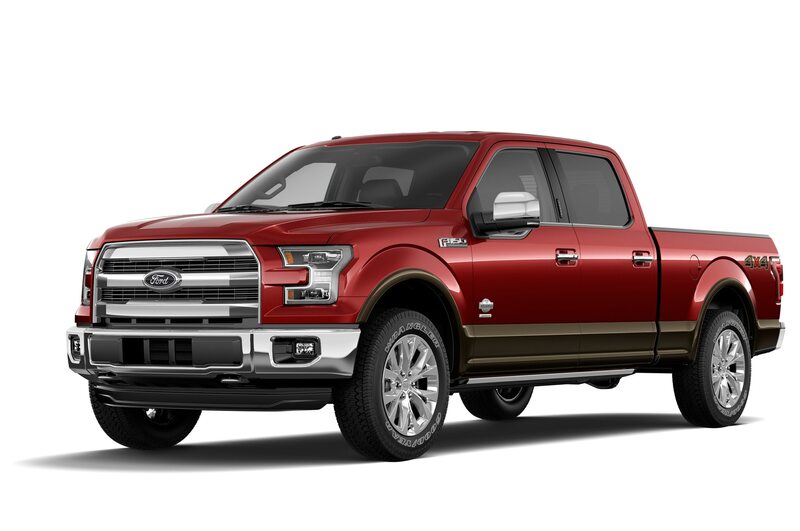 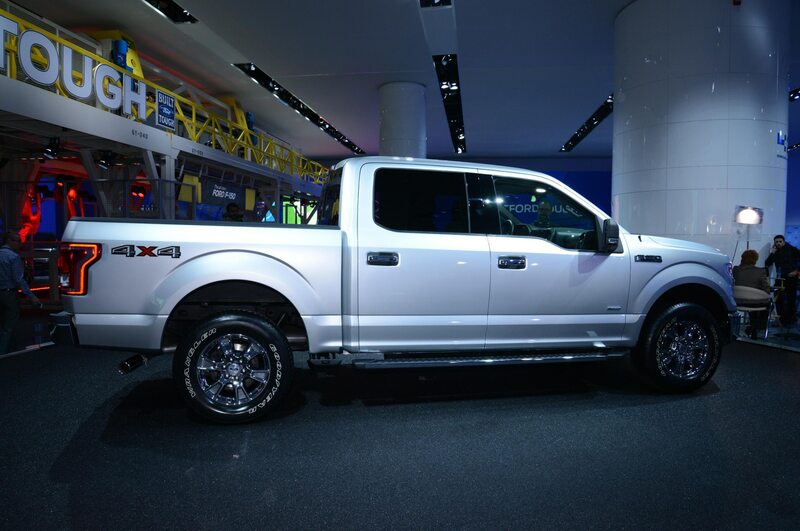 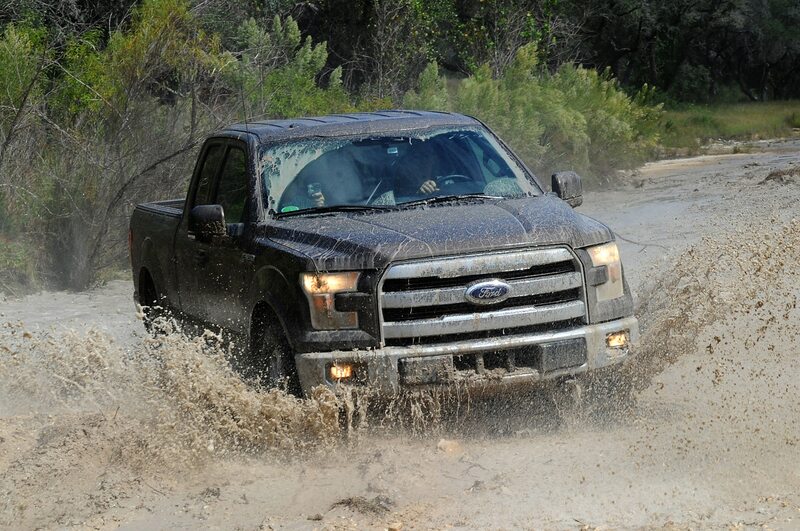 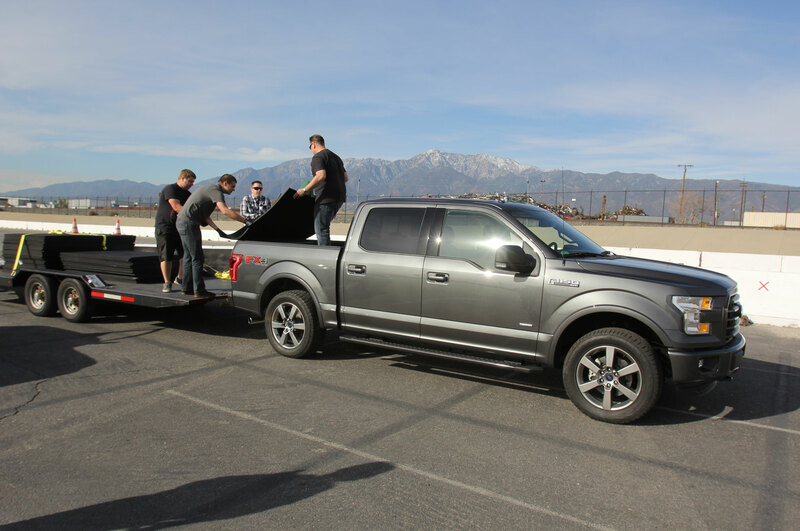 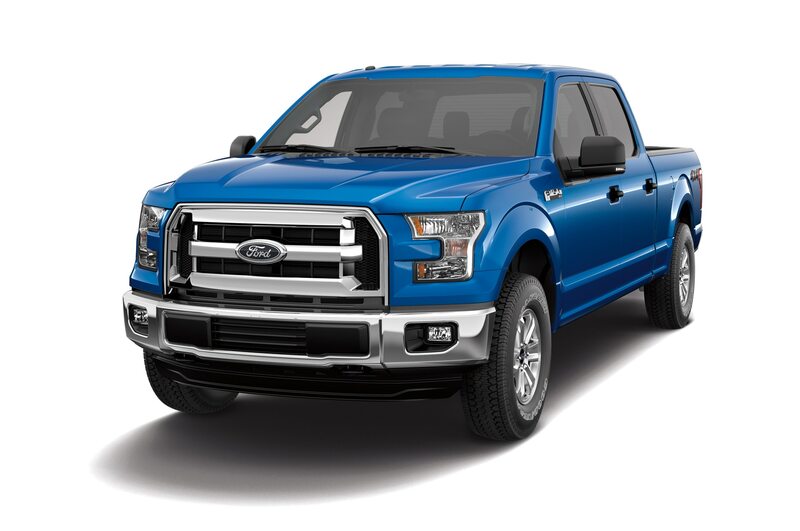 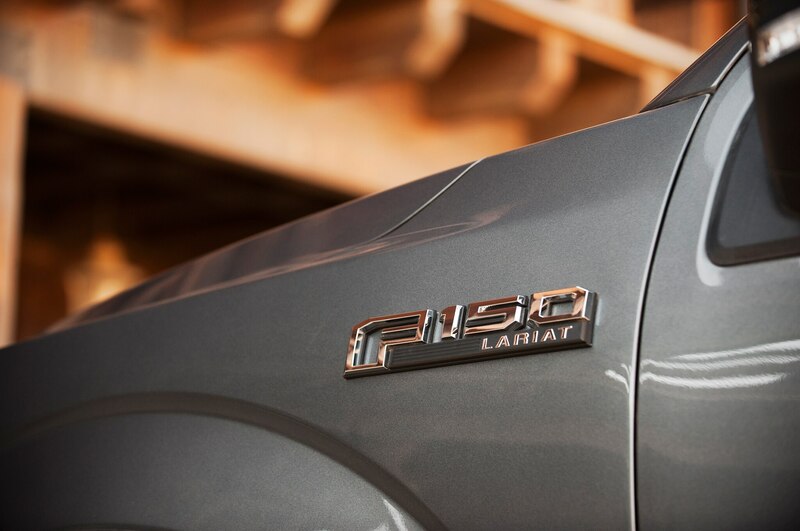 As with other Roush vehicles, you can order one straight from Roush, through a dealer, or upgrade your own 2015 Ford F-150. 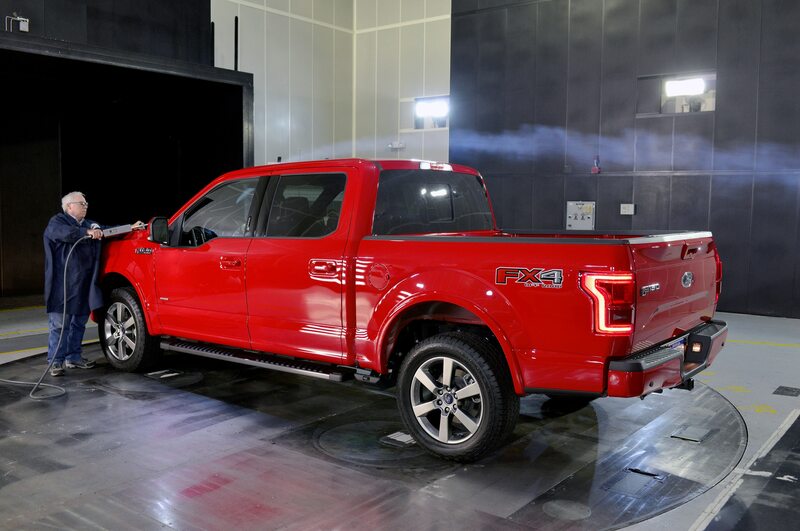 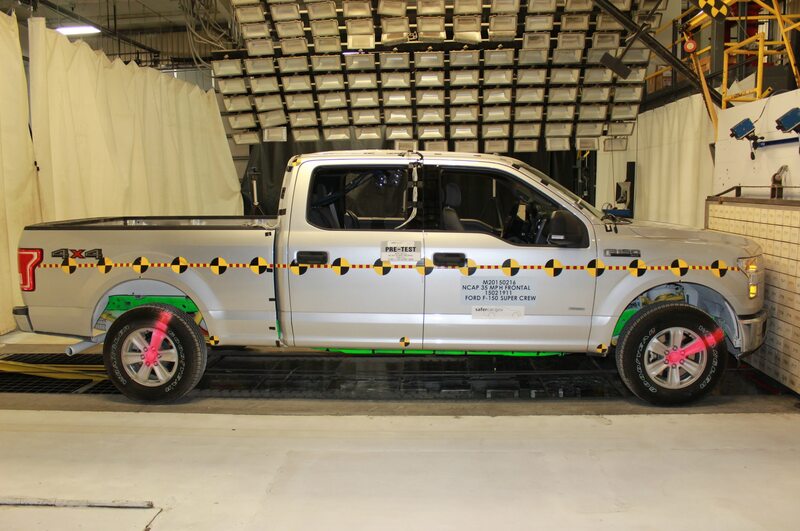 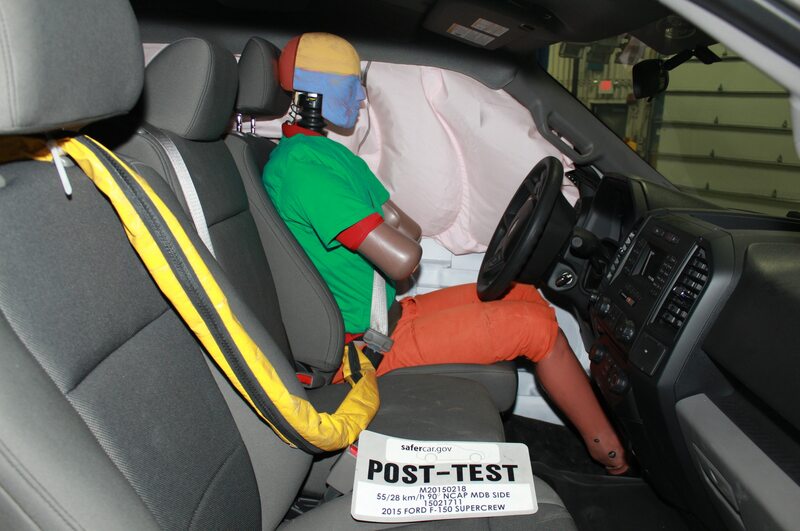 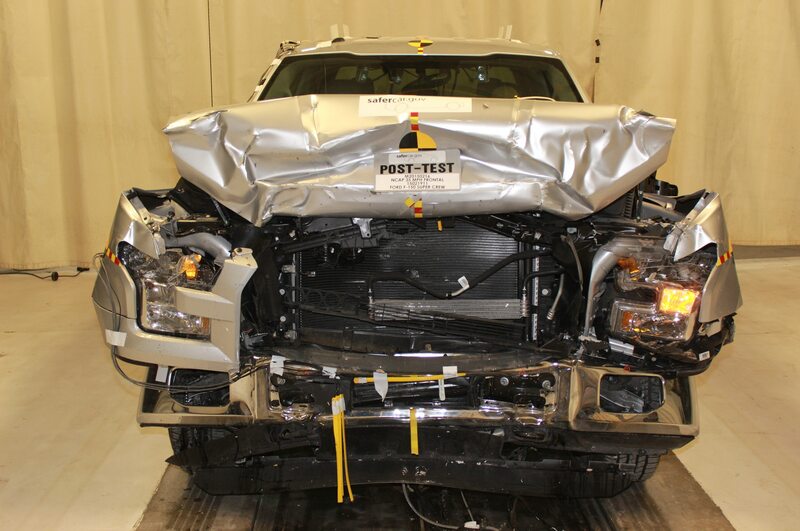 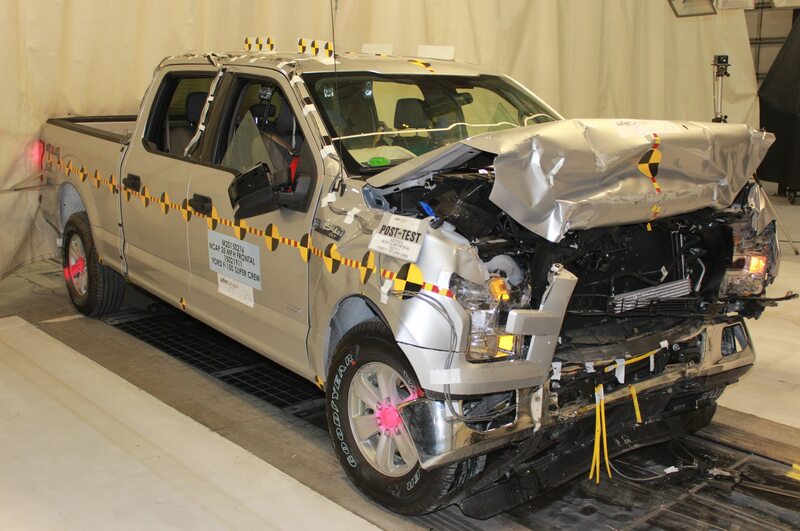 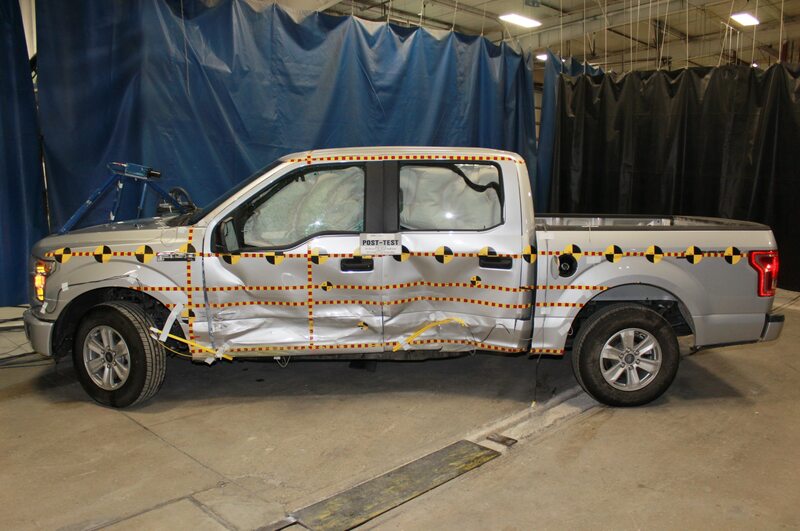 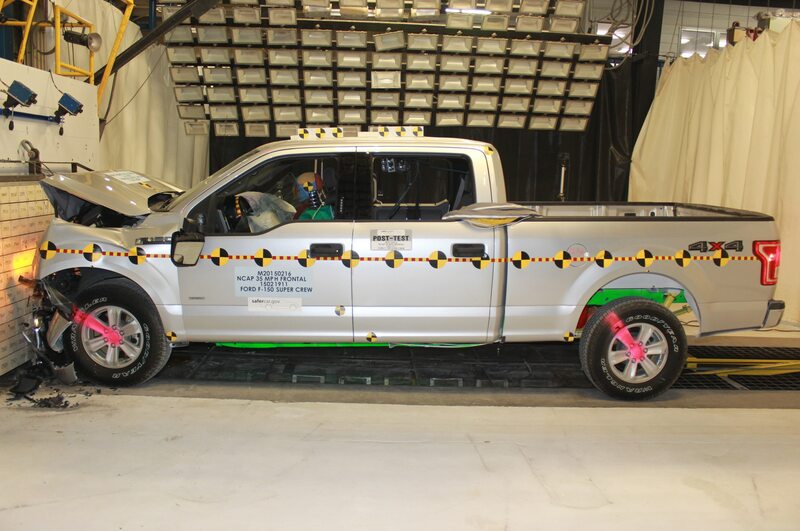 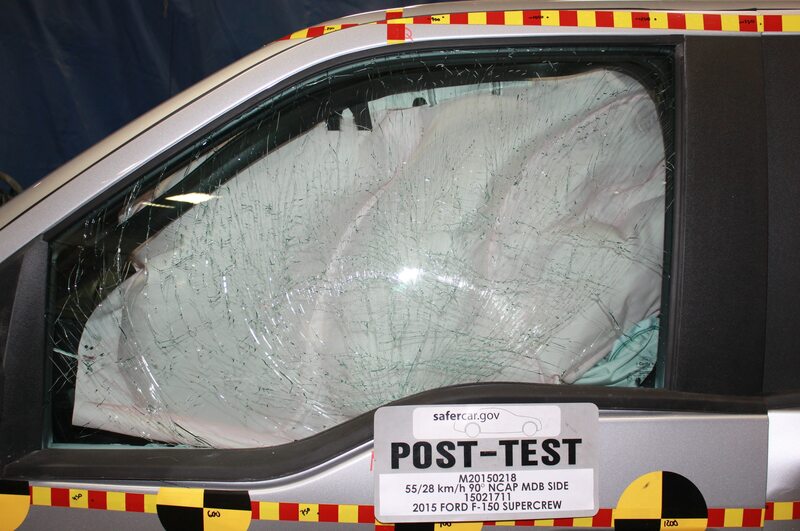 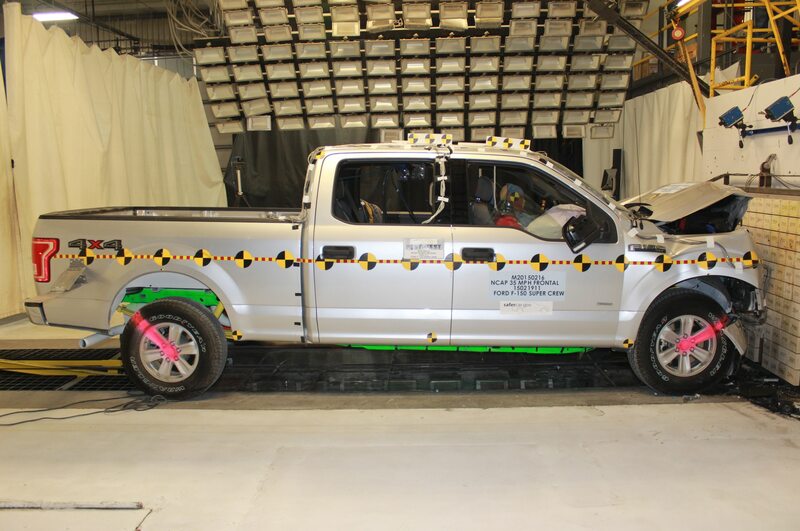 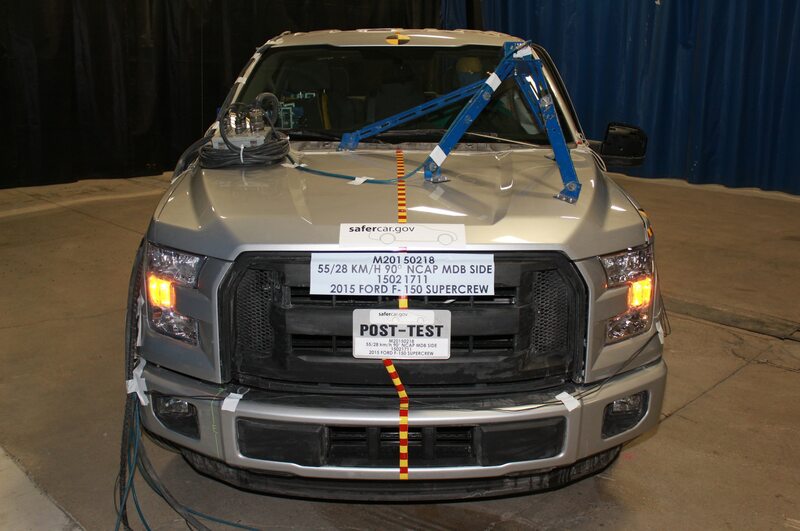 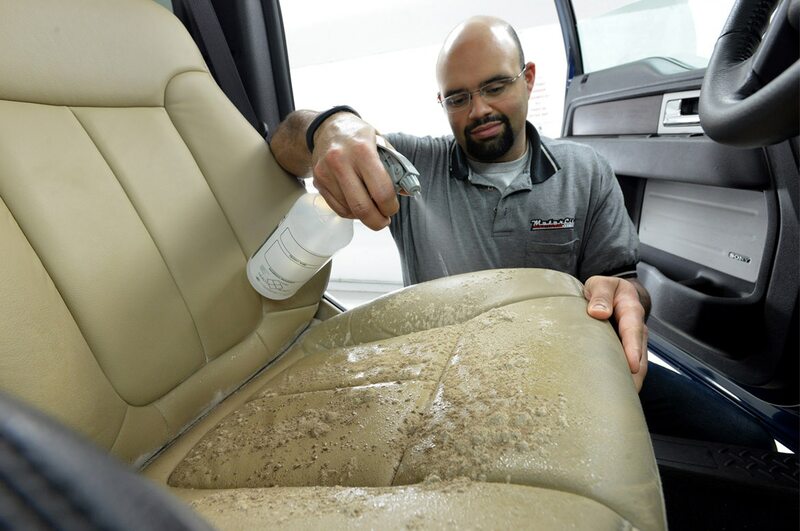 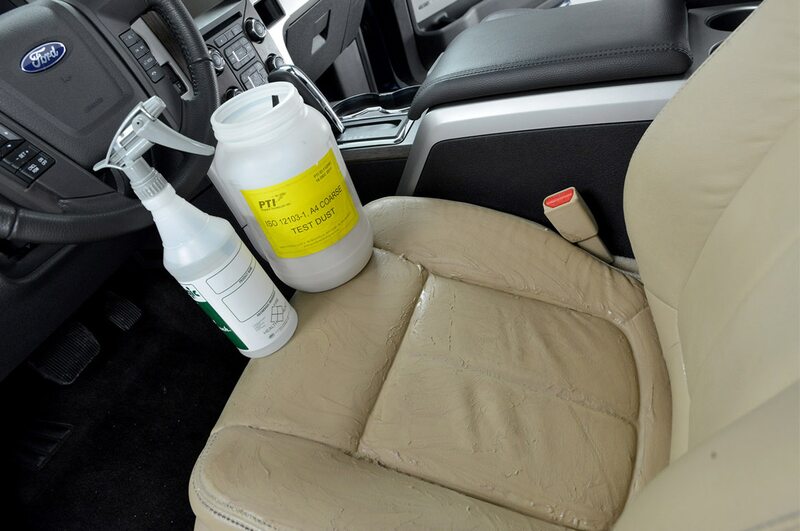 Cost of entry for the Roush treatment is healthy $10,600 over the base cost of the 2015 Ford F-150, which starts at $26,615. 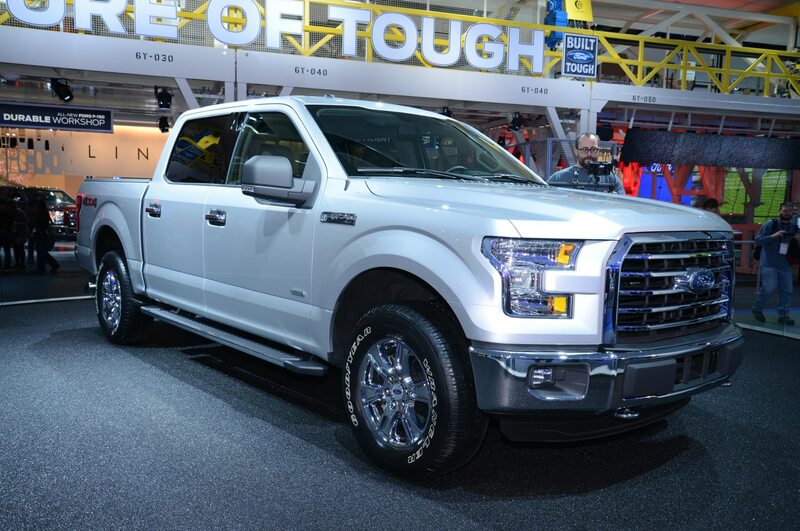 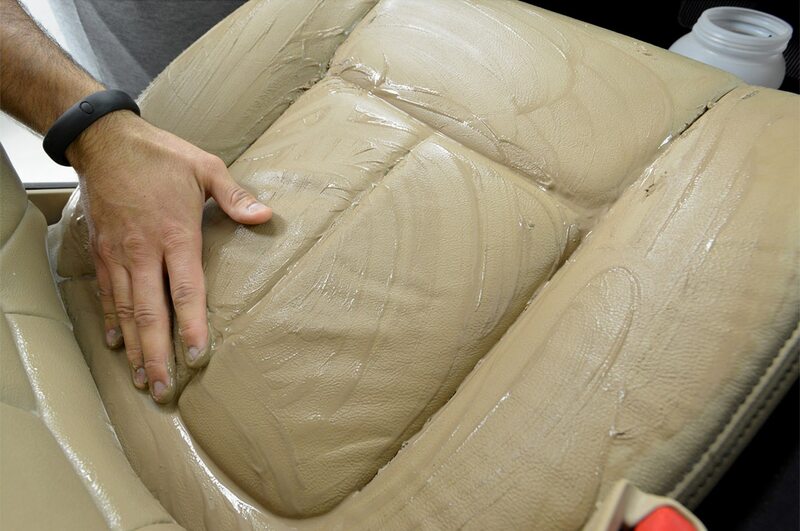 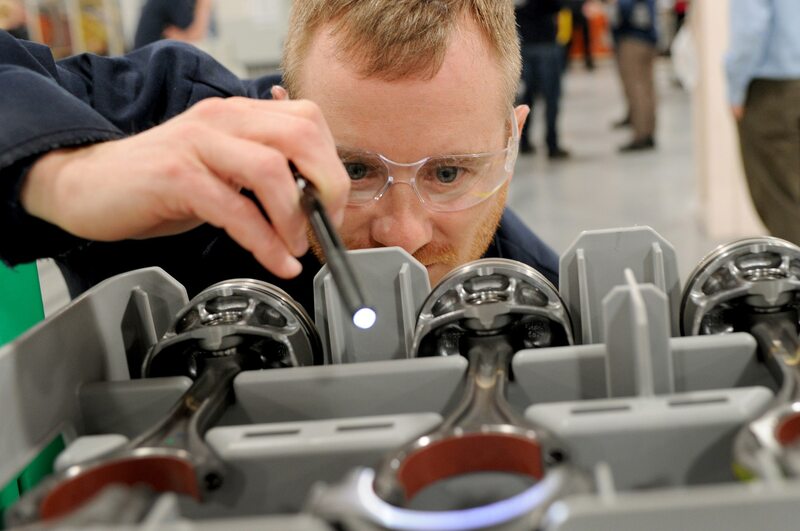 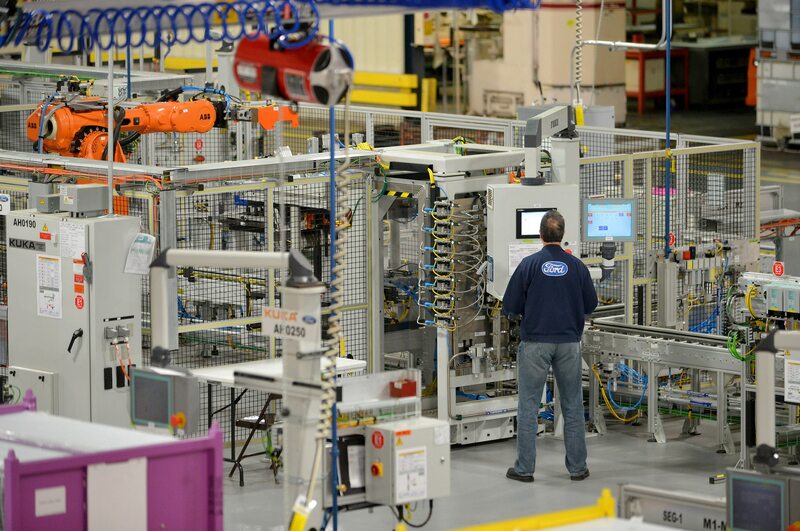 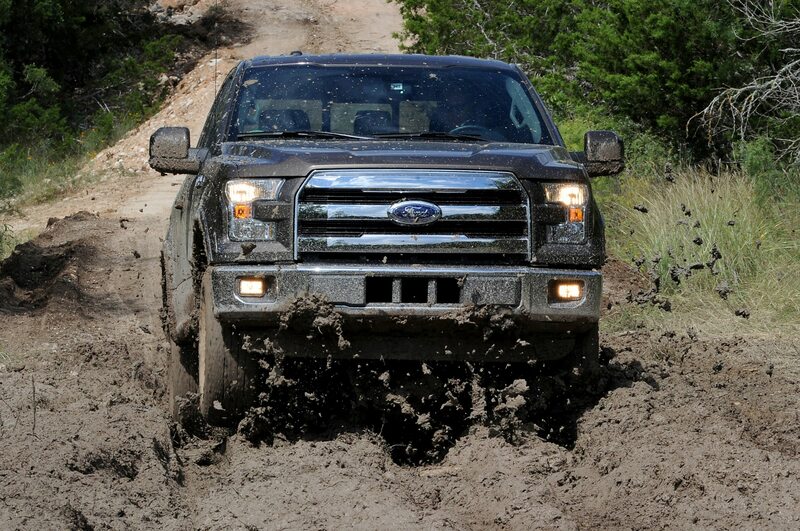 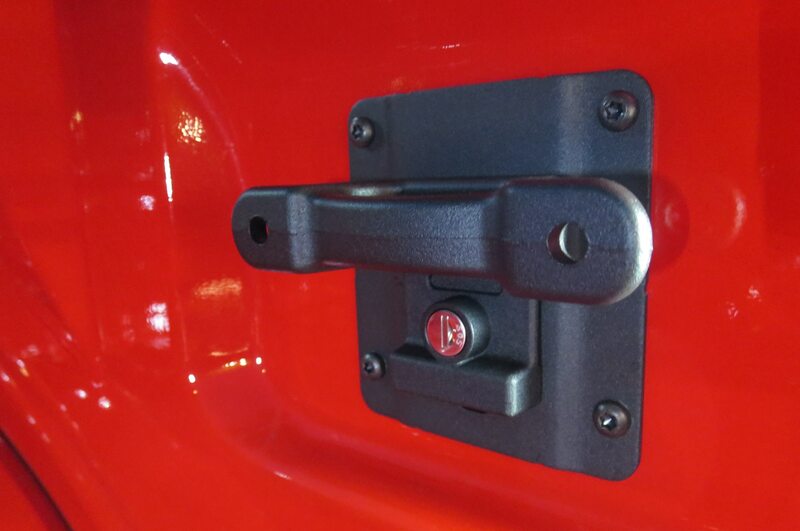 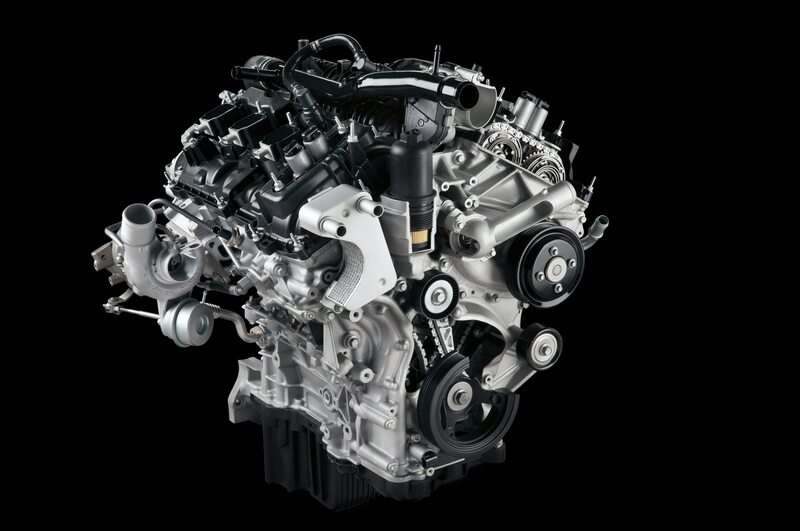 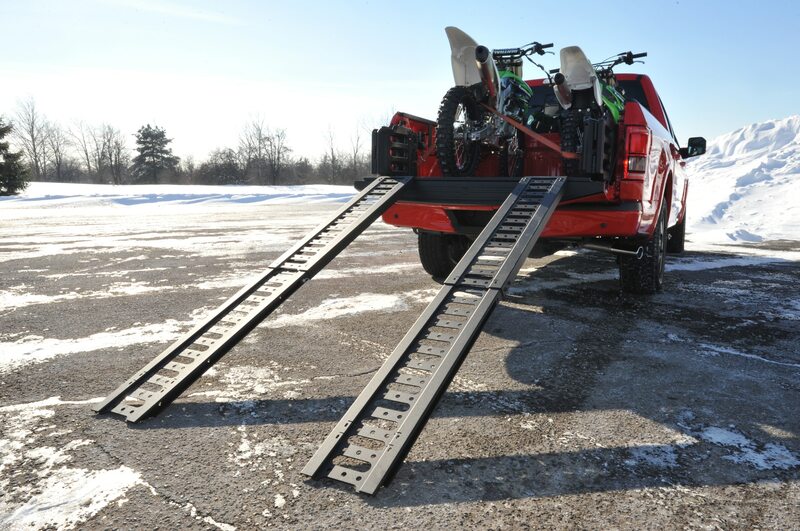 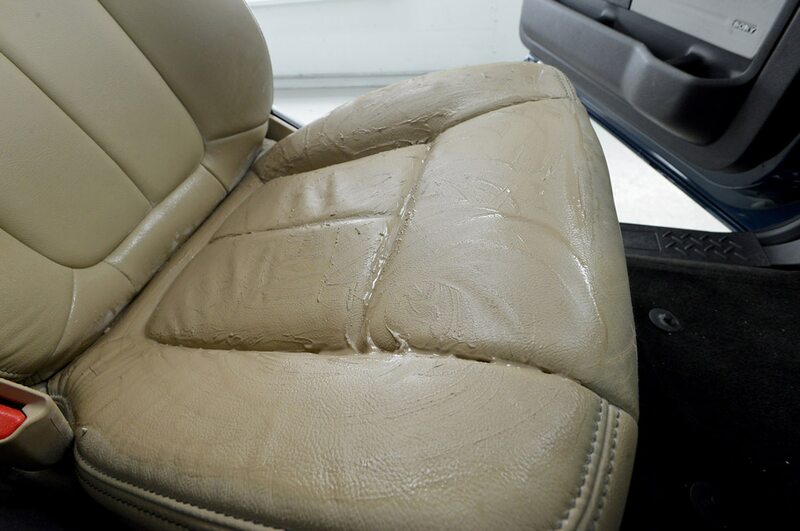 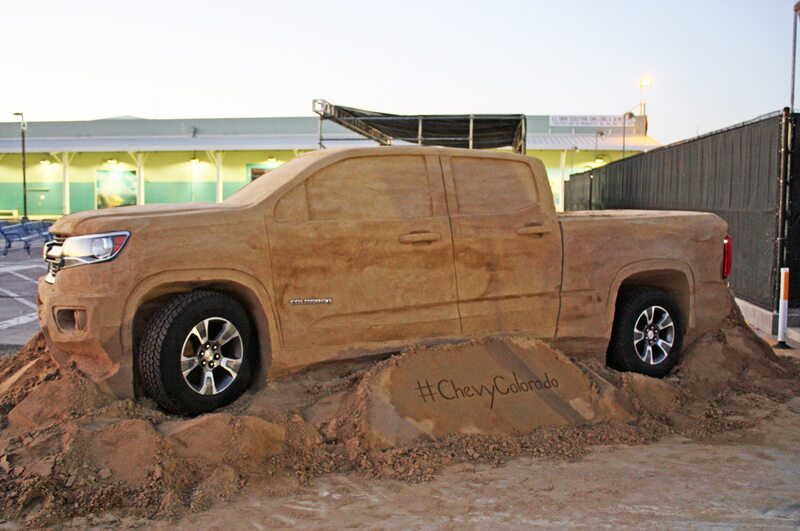 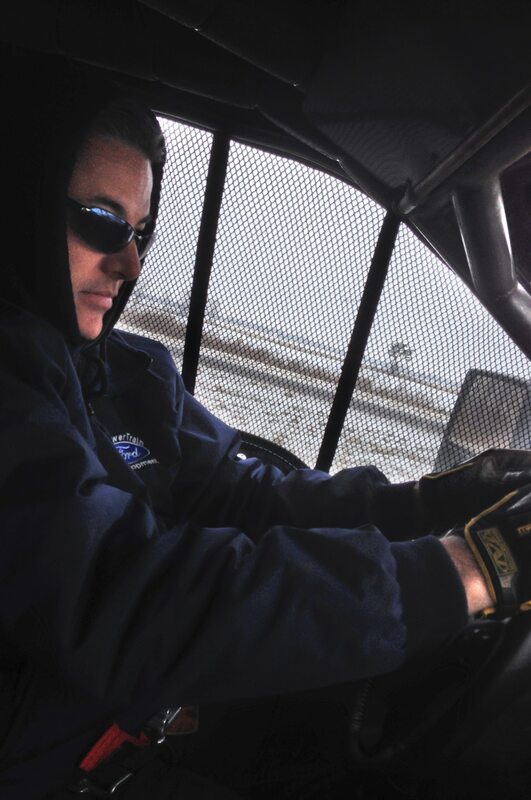 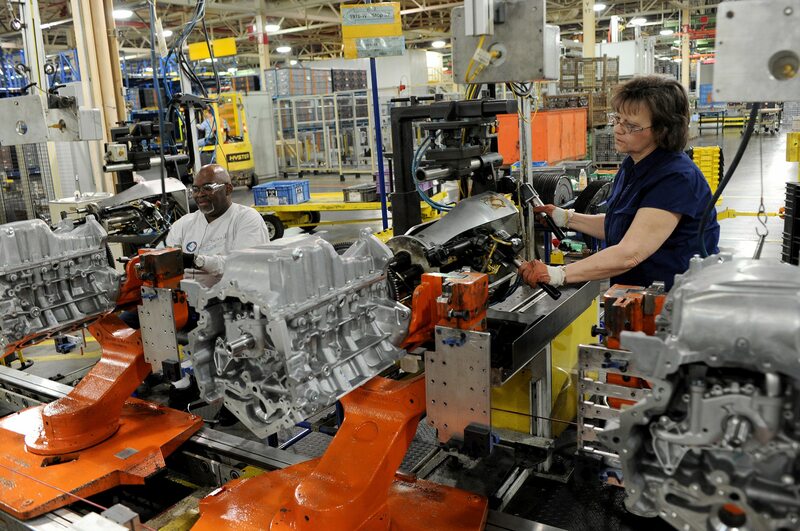 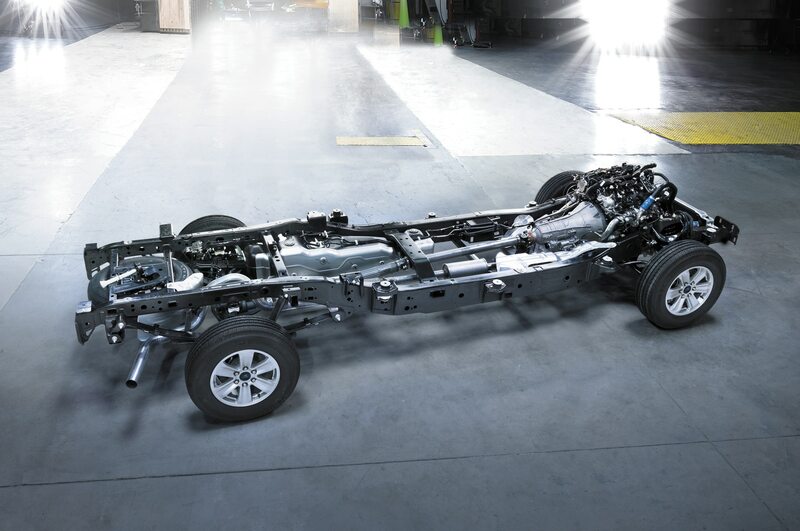 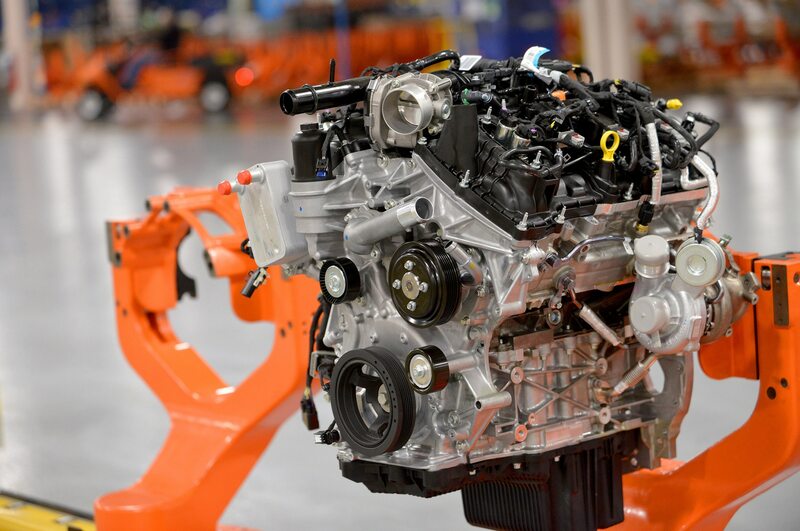 It will be offered for SuperCrew and Super Cab trucks with any engine.